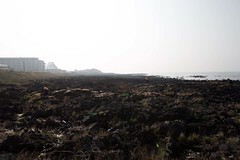 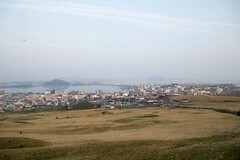 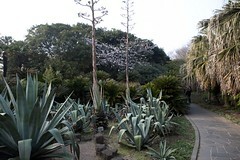 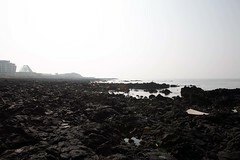 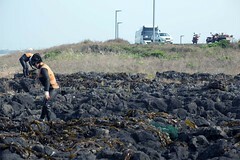 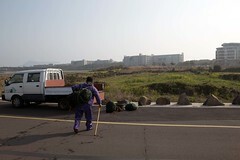 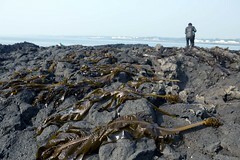 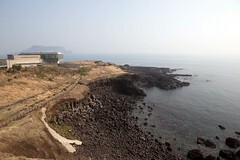 Jeju island is an island south of Seoul. 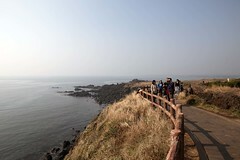 Flights from Seoul to Jeju island is approximate 40 mins. There are a couple of flight carriers to choose from and flight schedule are very frequent. 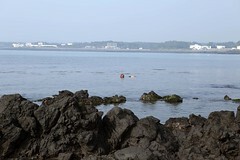 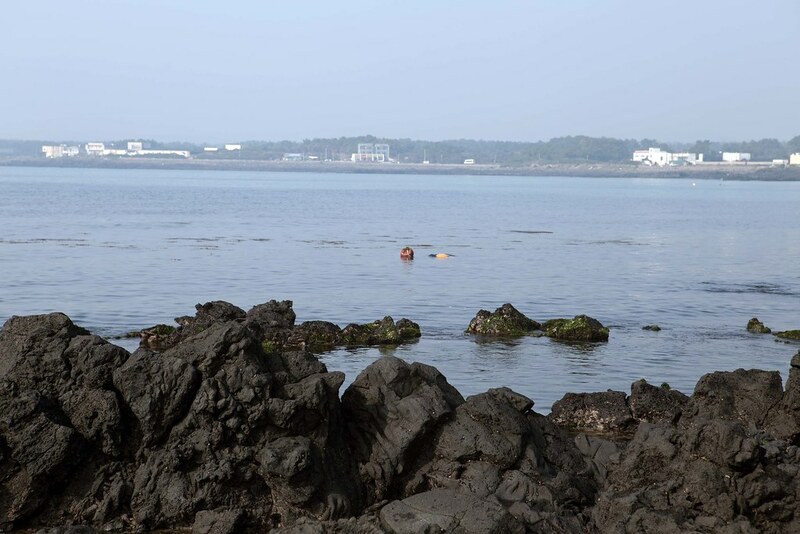 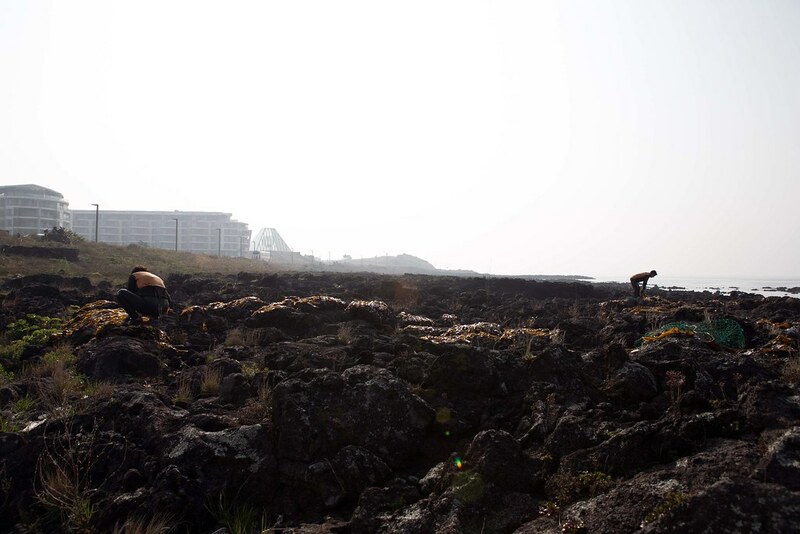 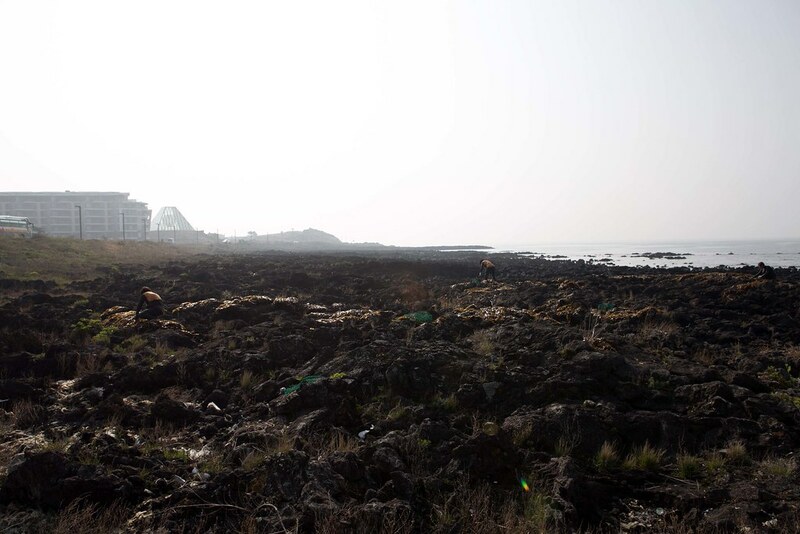 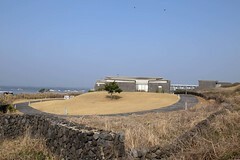 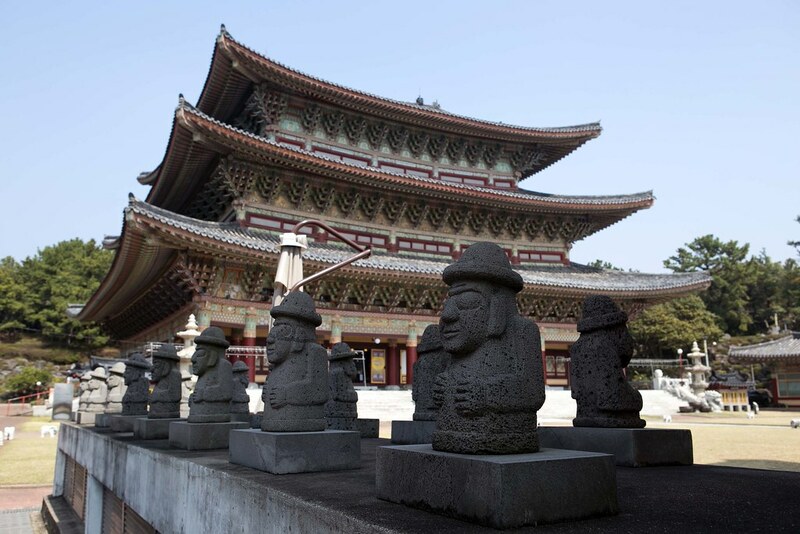 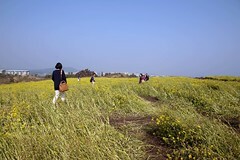 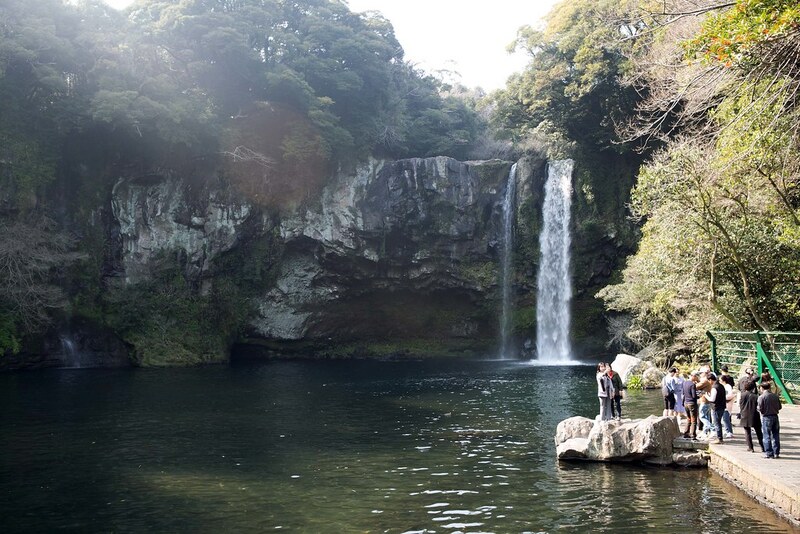 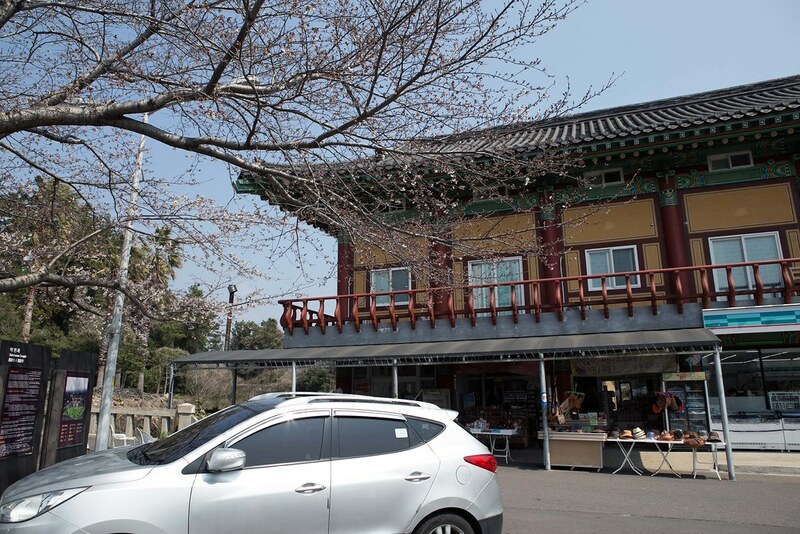 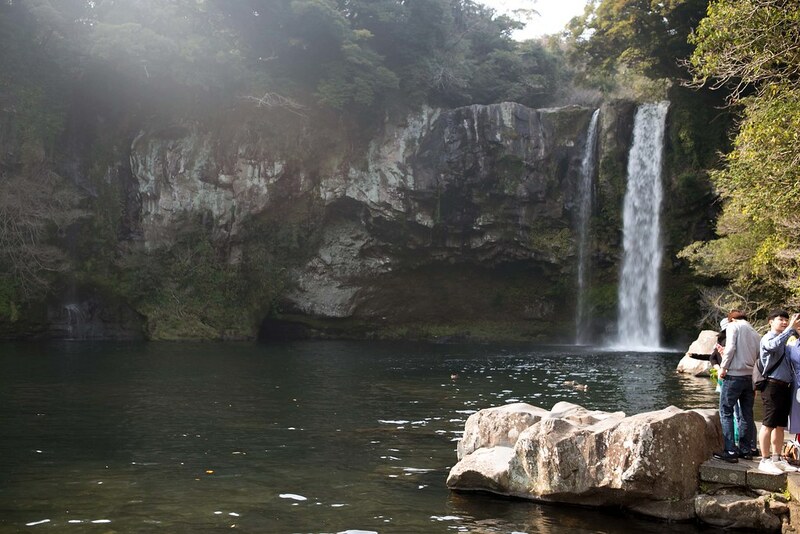 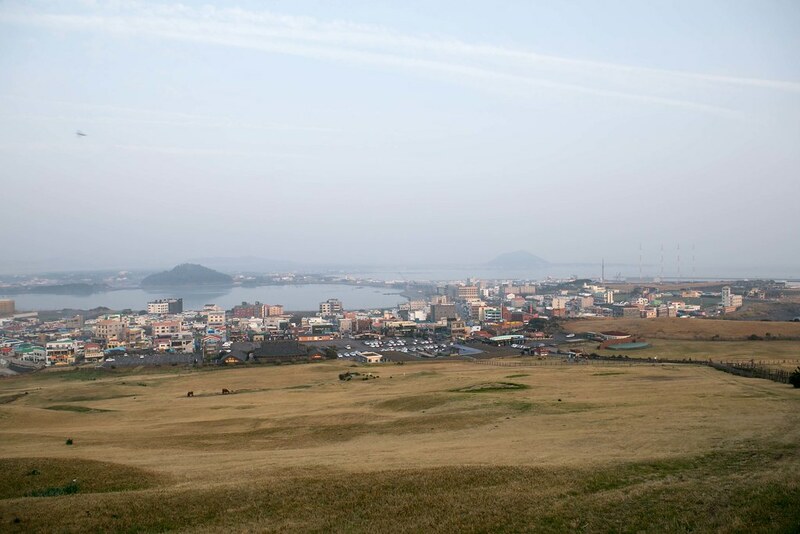 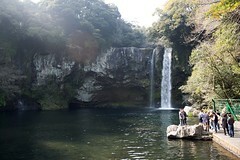 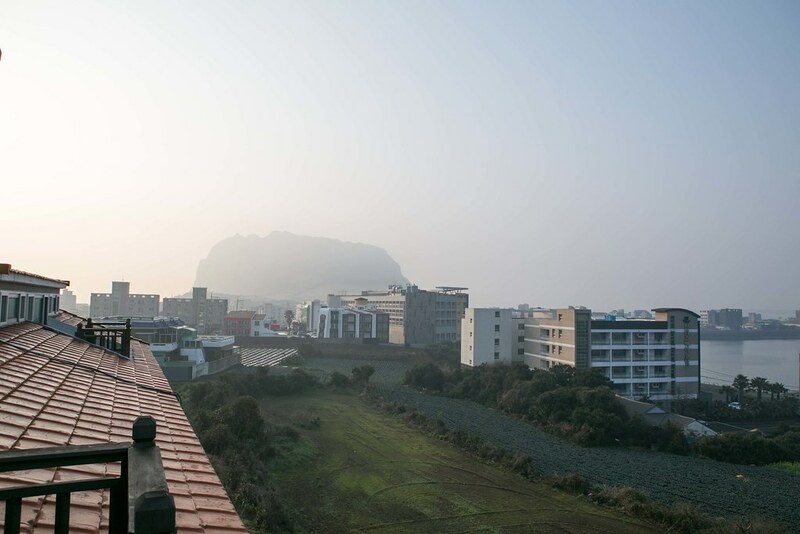 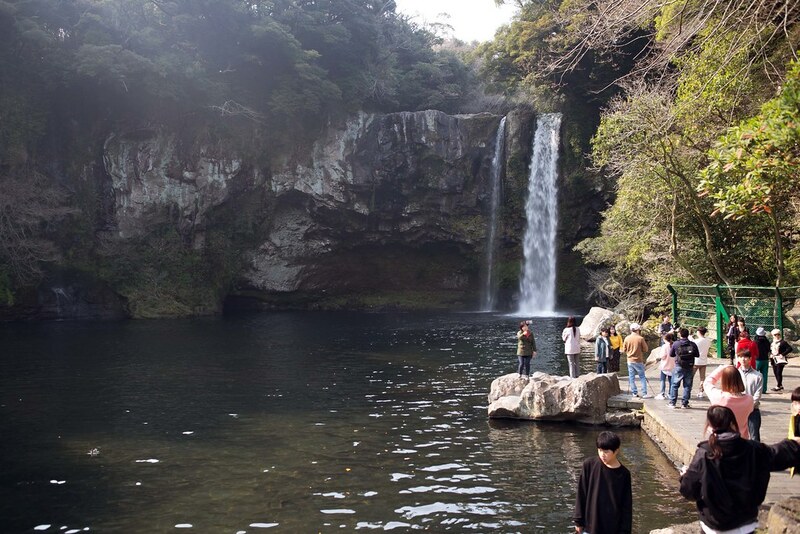 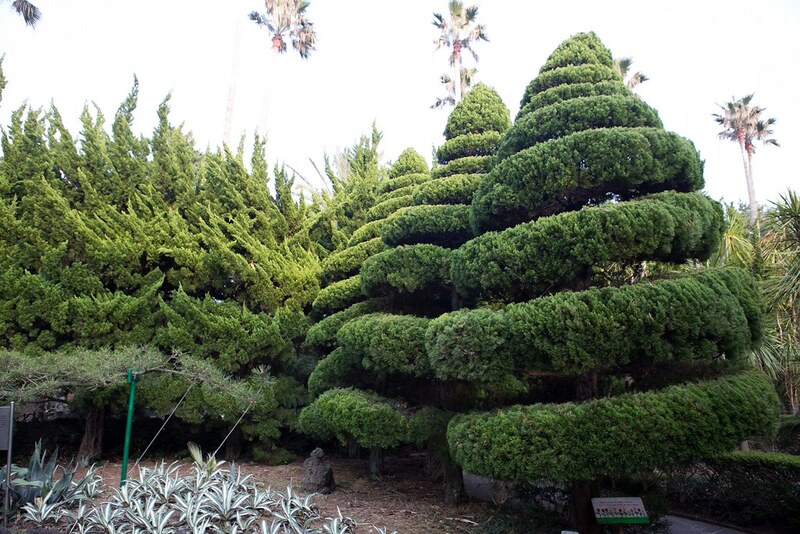 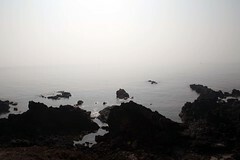 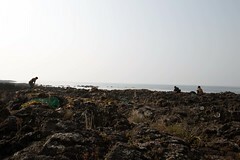 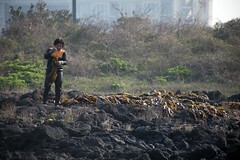 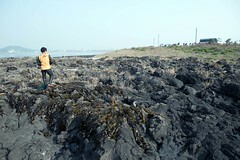 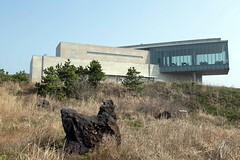 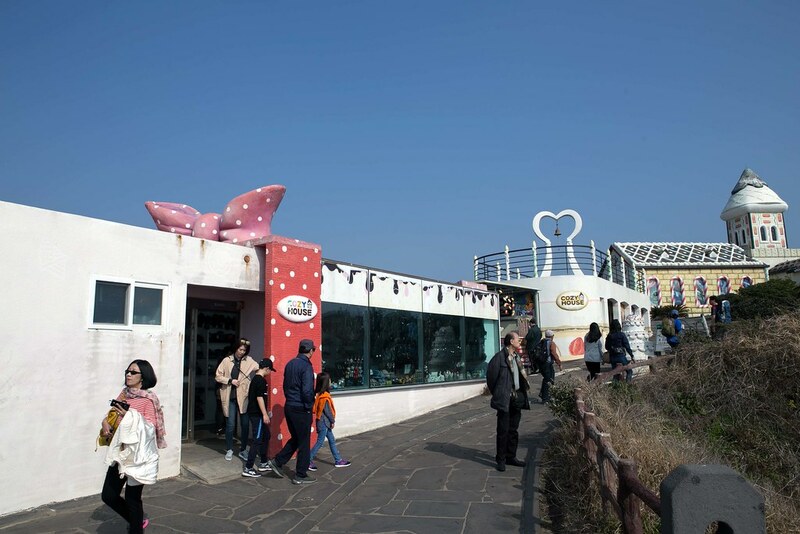 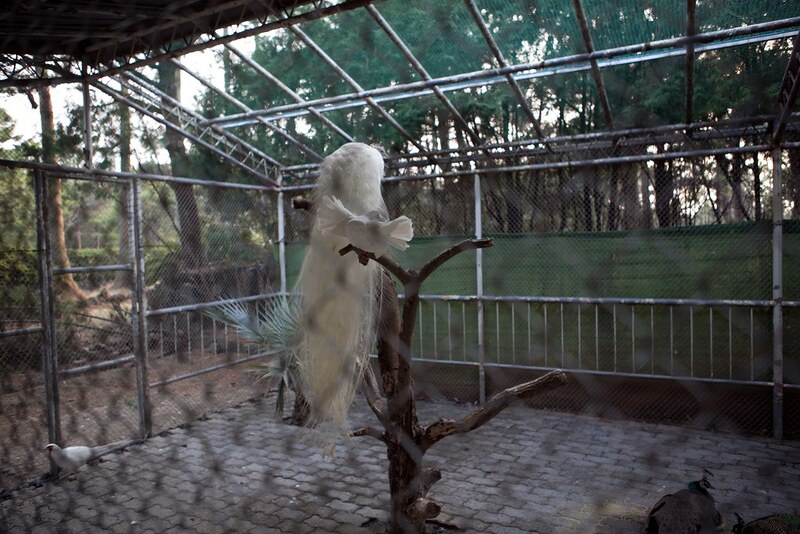 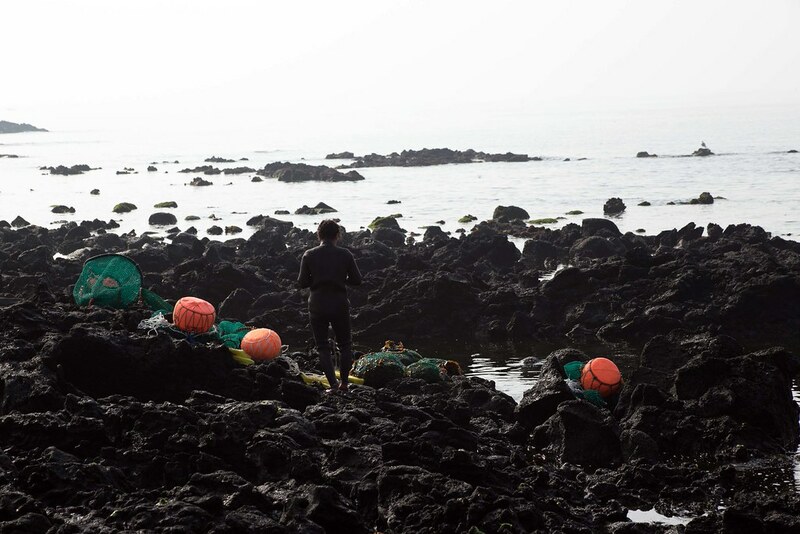 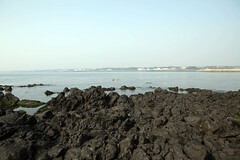 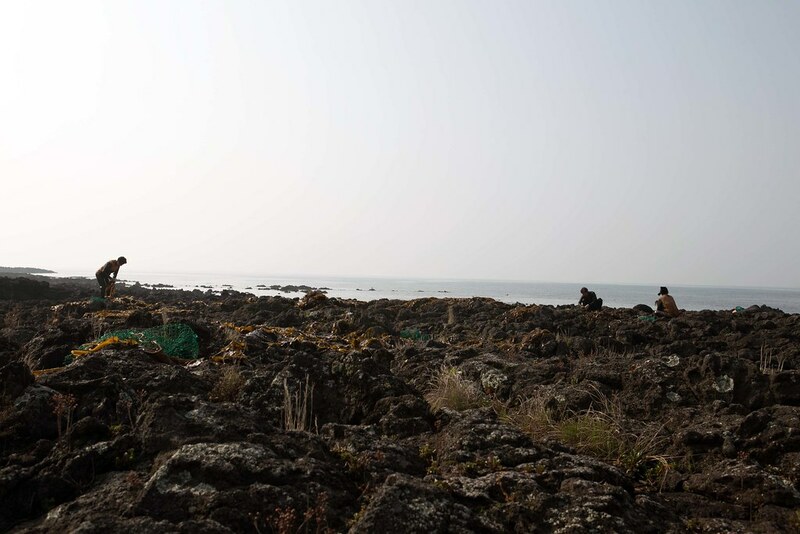 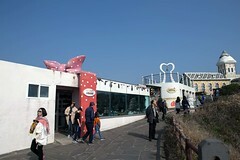 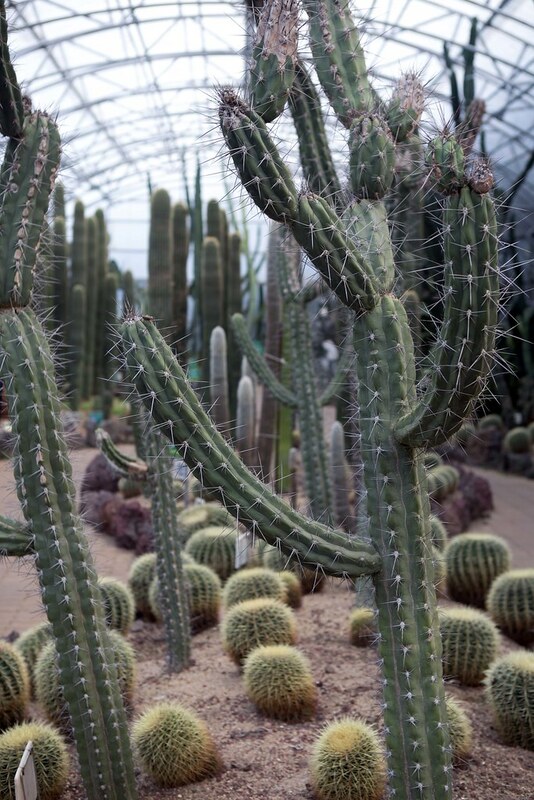 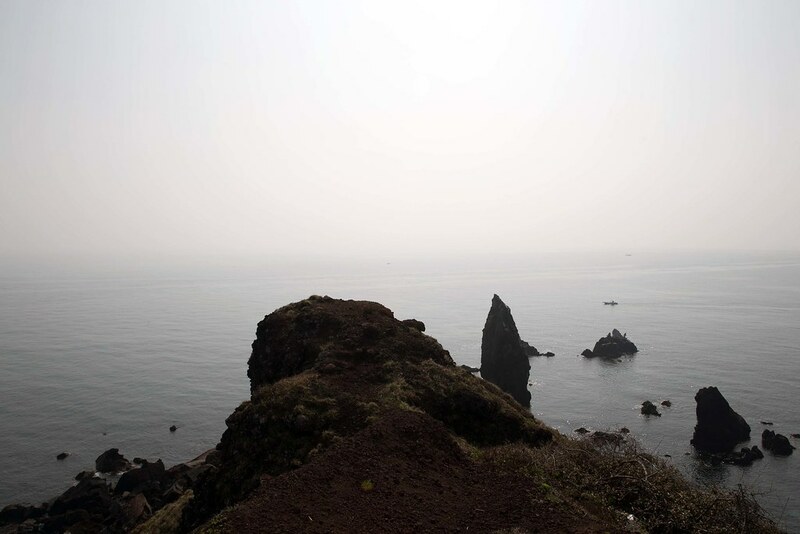 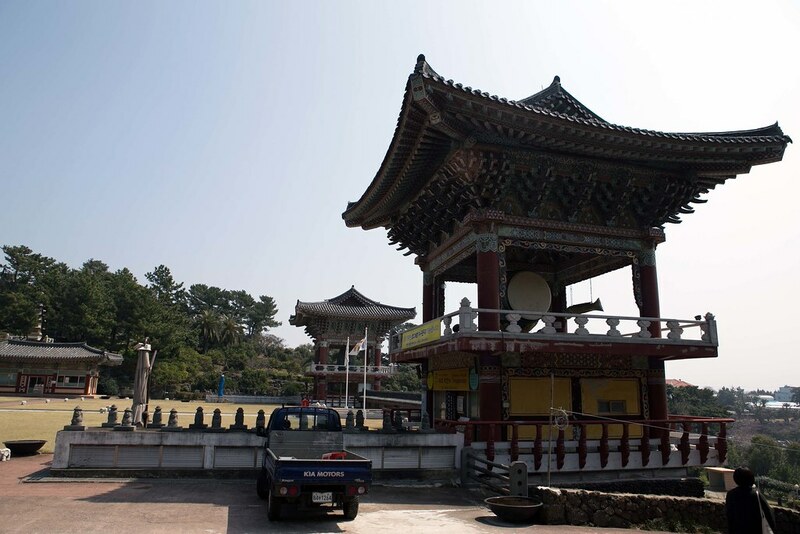 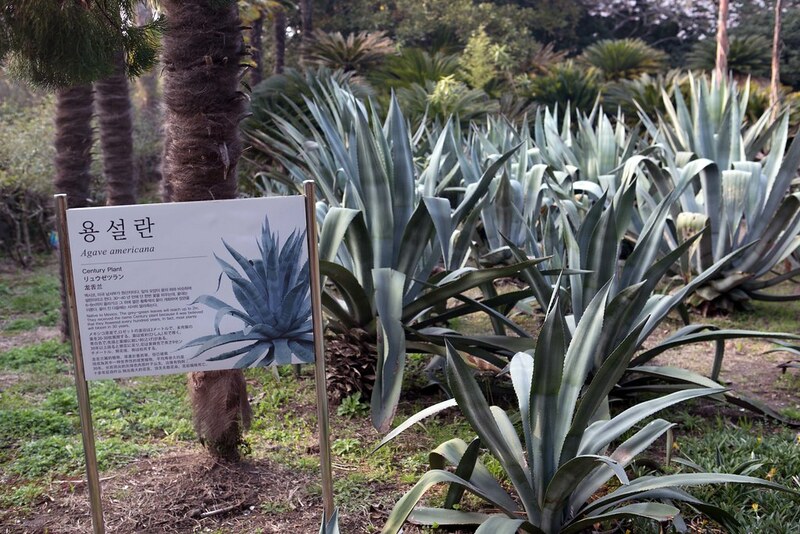 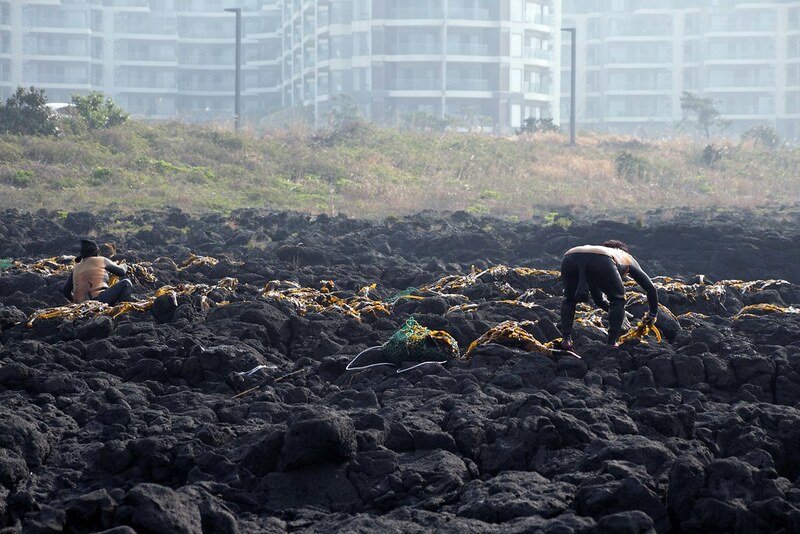 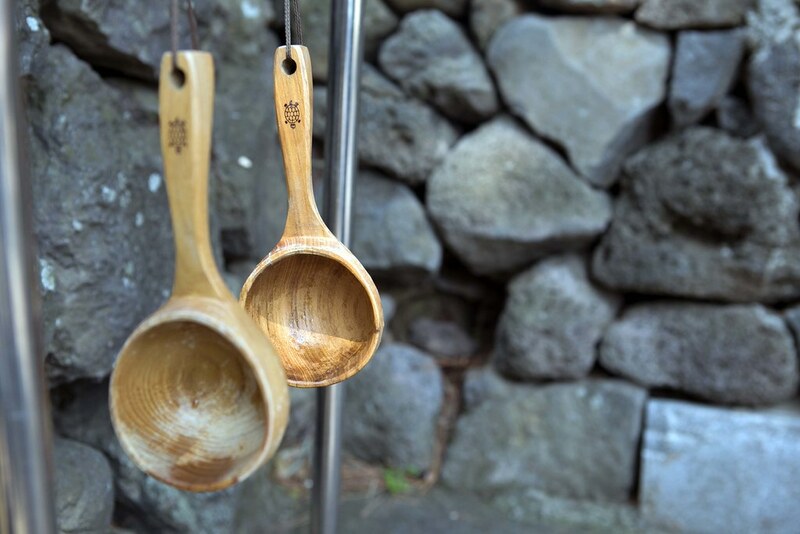 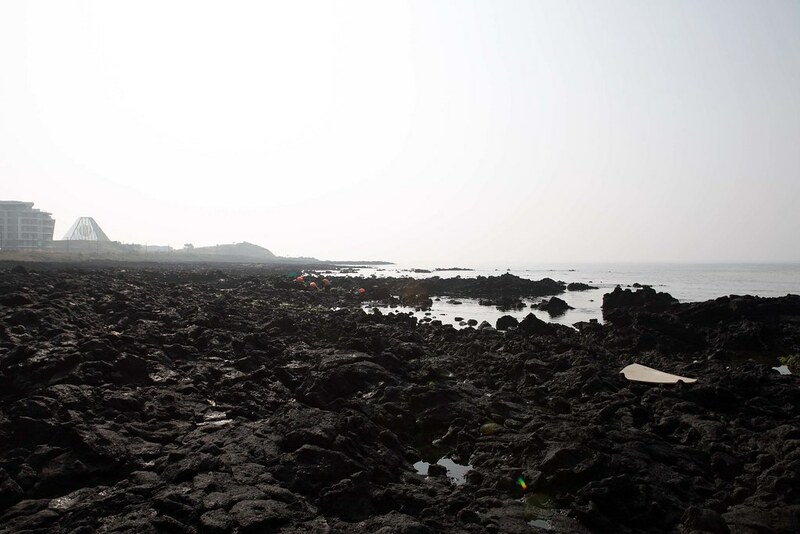 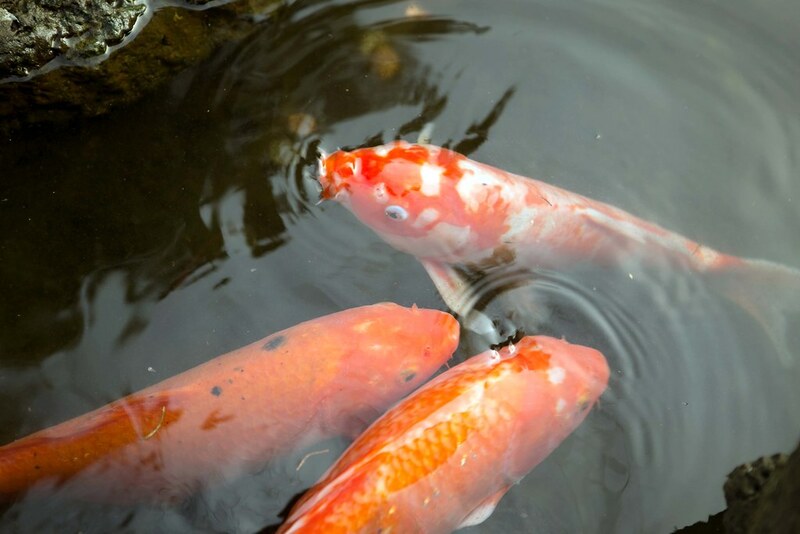 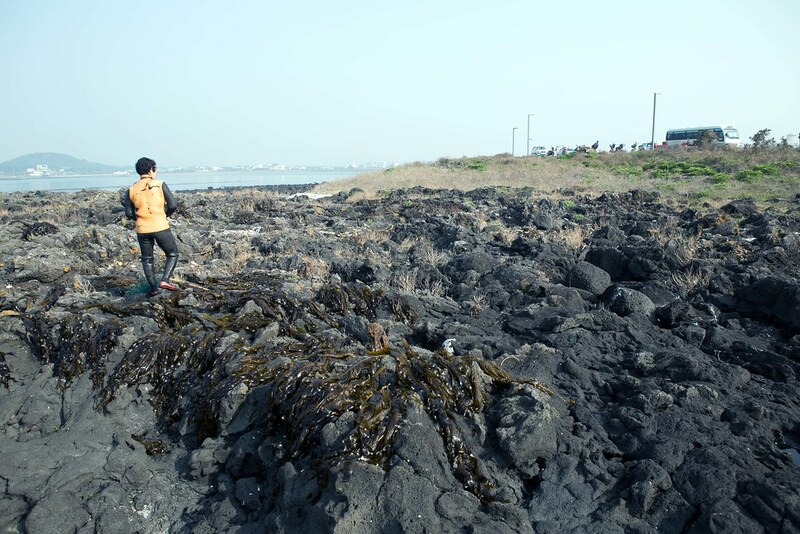 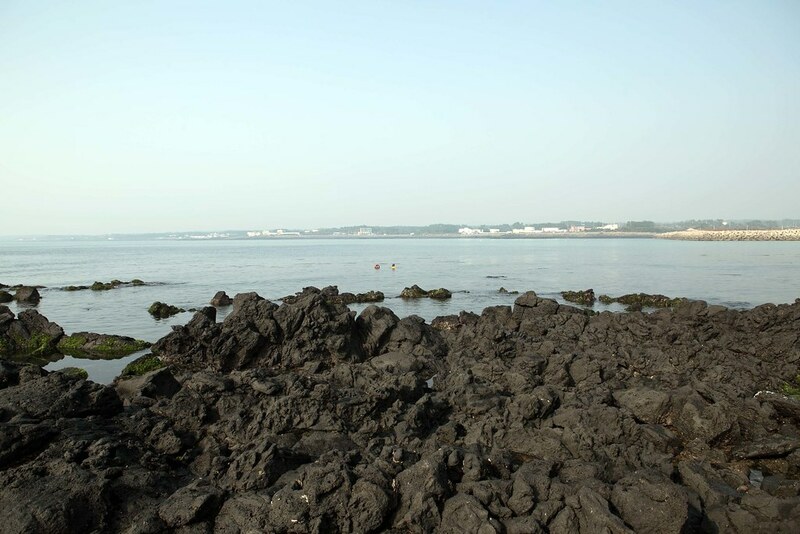 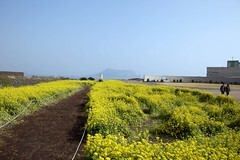 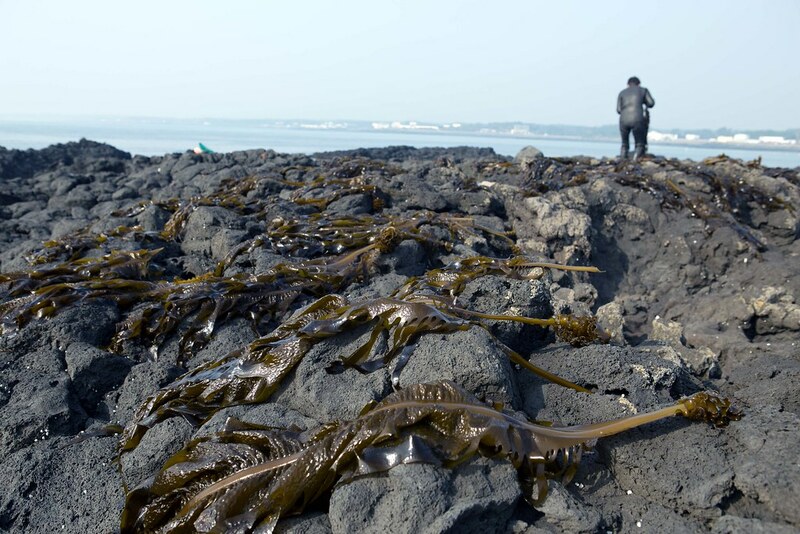 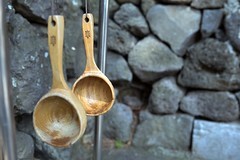 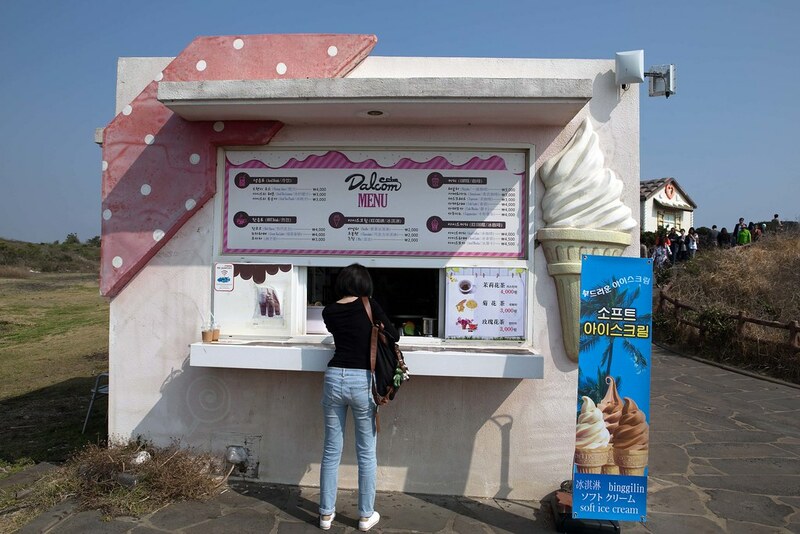 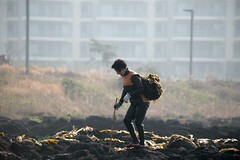 The locals treat Jeju island as a honeymoon island and it’s a good place to relax. 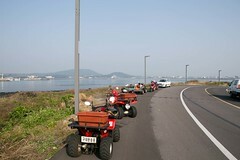 Driving on this island is easy and there is not much traffic. 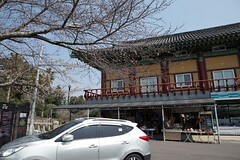 We rented a car and travel starting from the airport to the east, around the island and back to the airport. 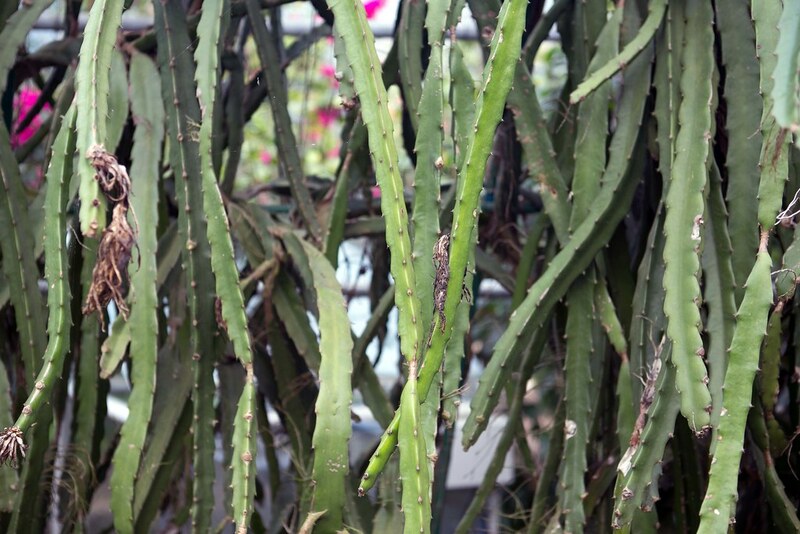 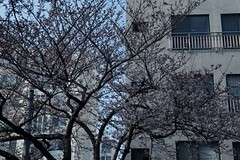 This post is written according to this sequence. 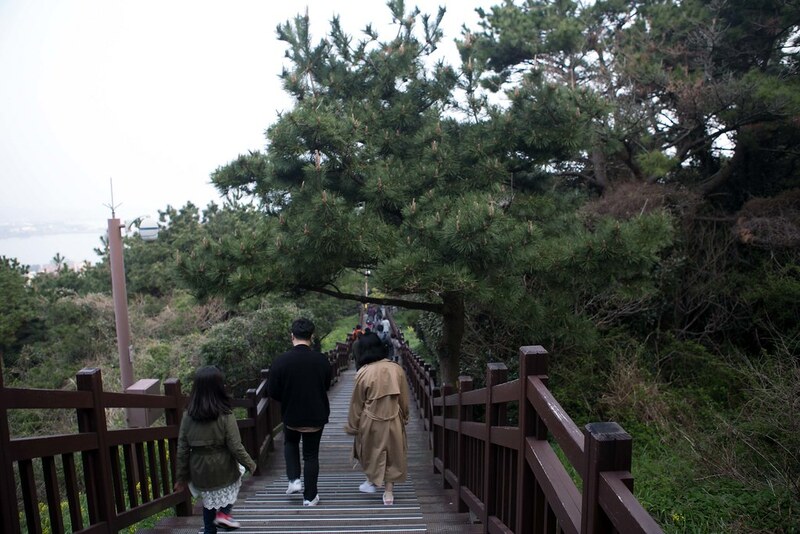 We stayed for 2d1n. 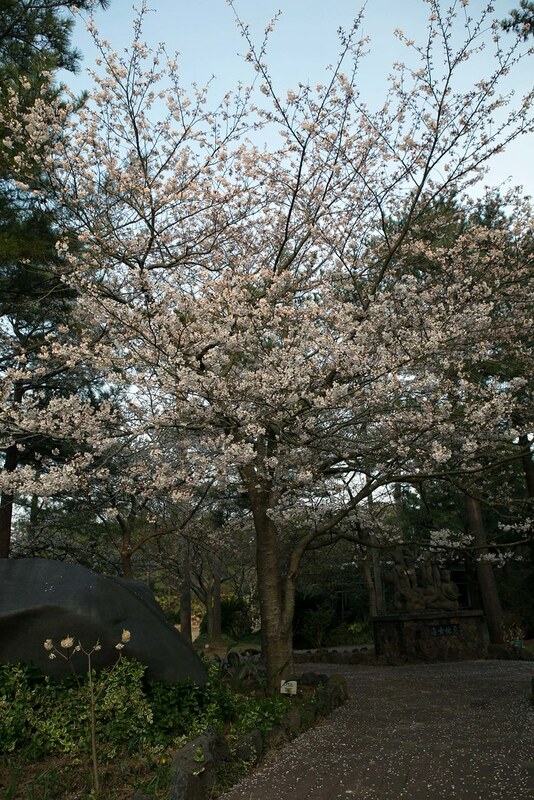 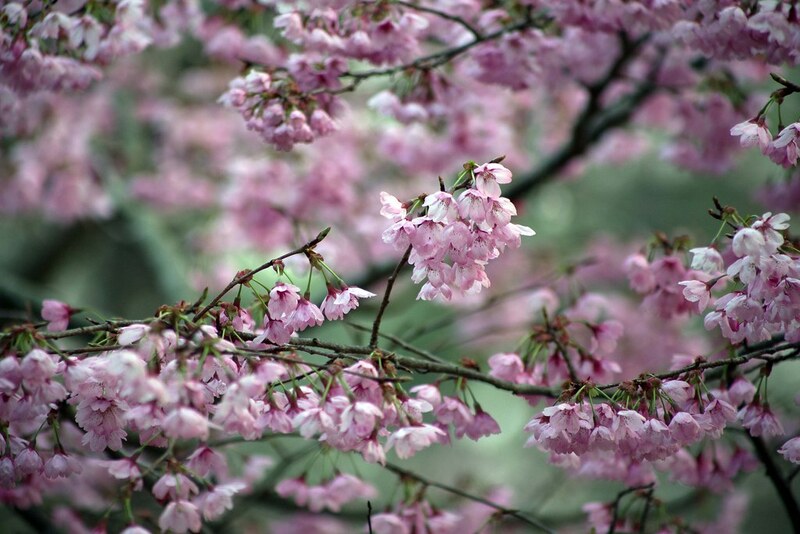 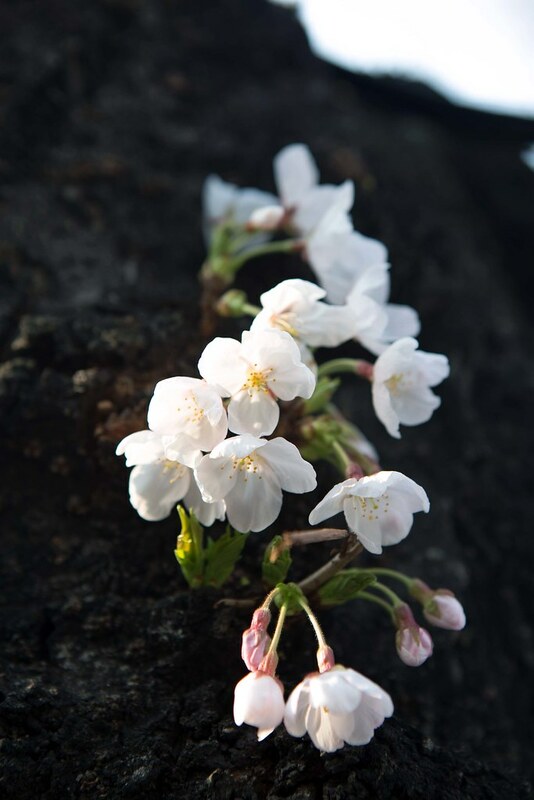 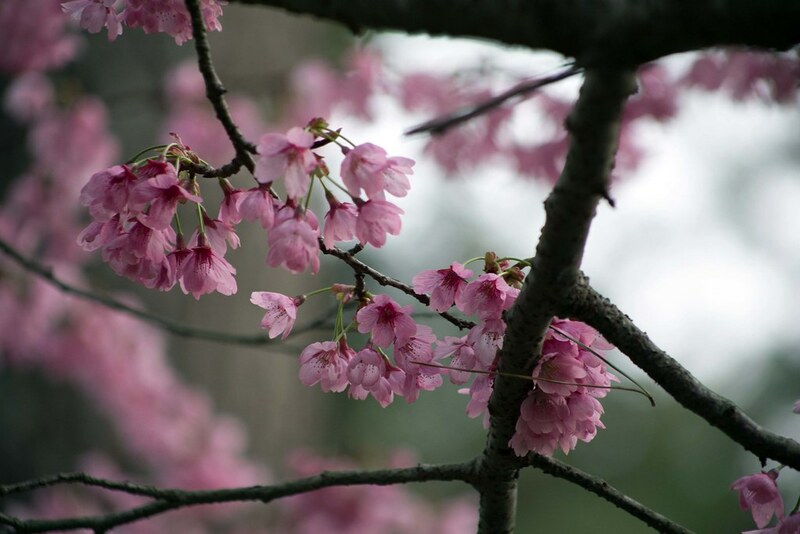 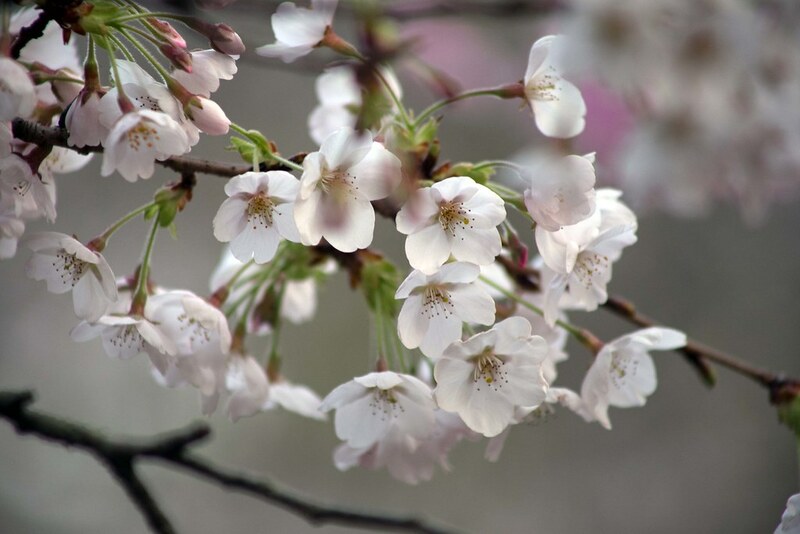 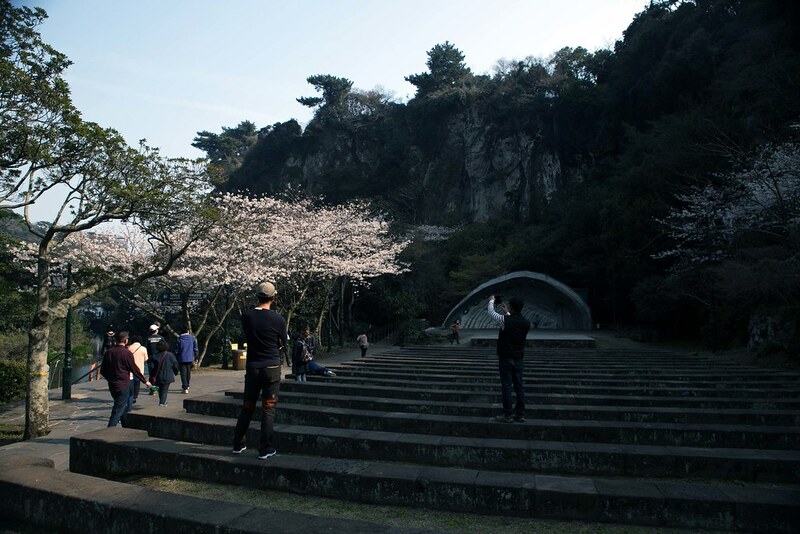 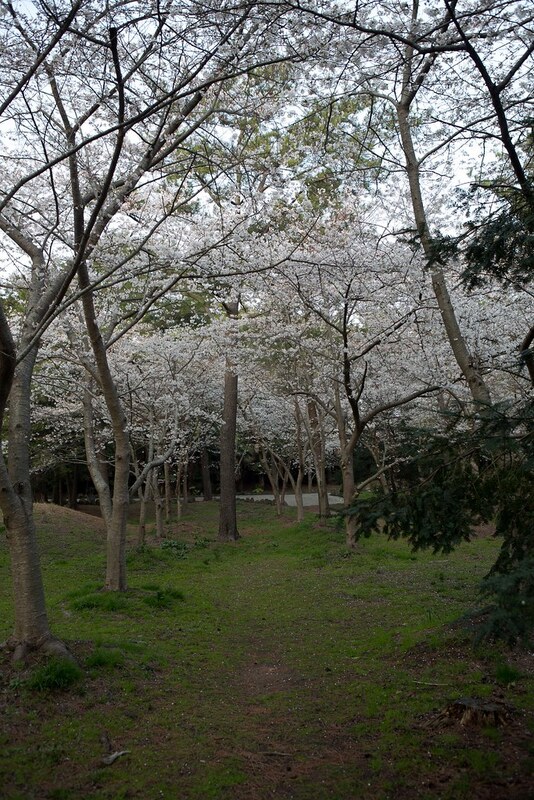 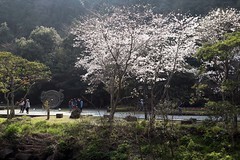 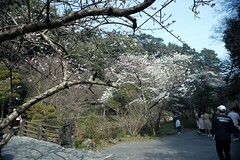 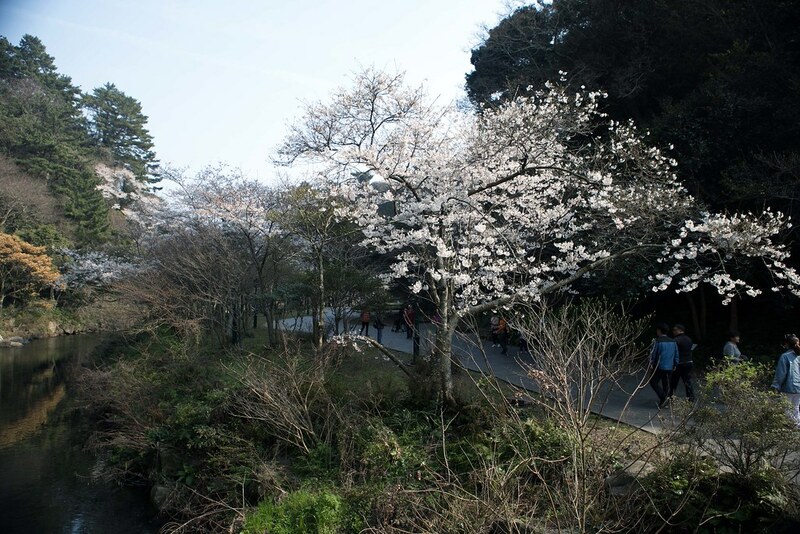 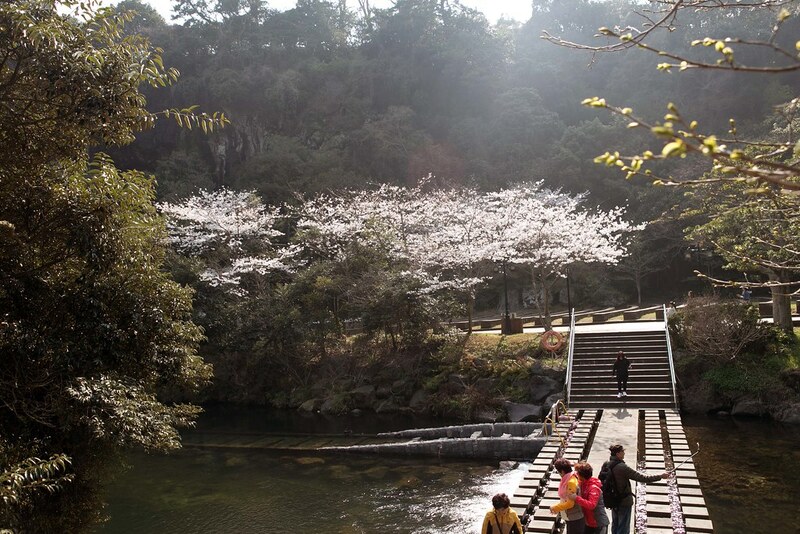 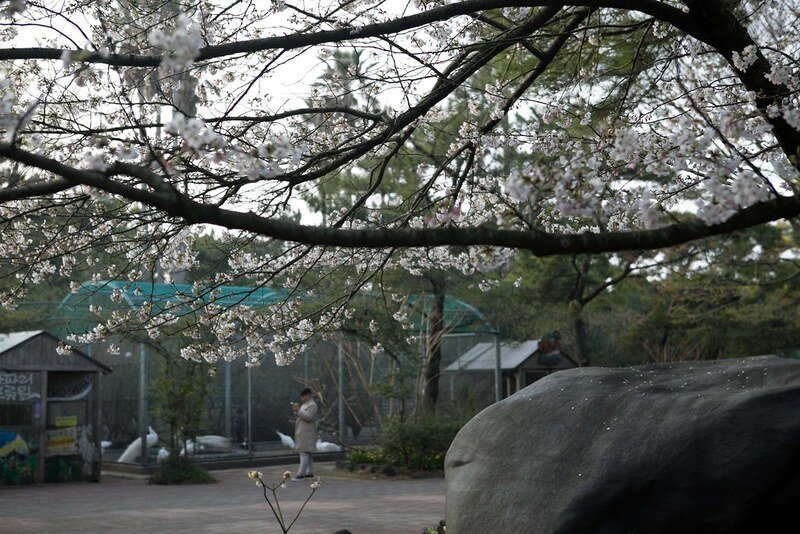 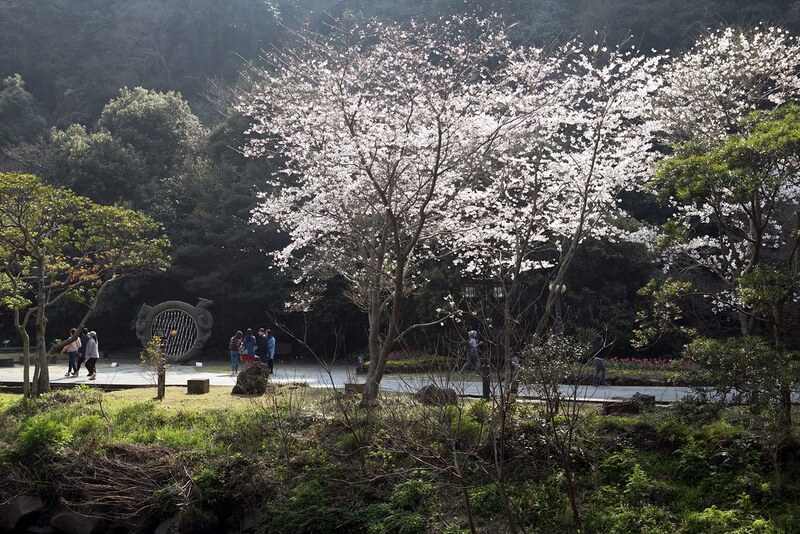 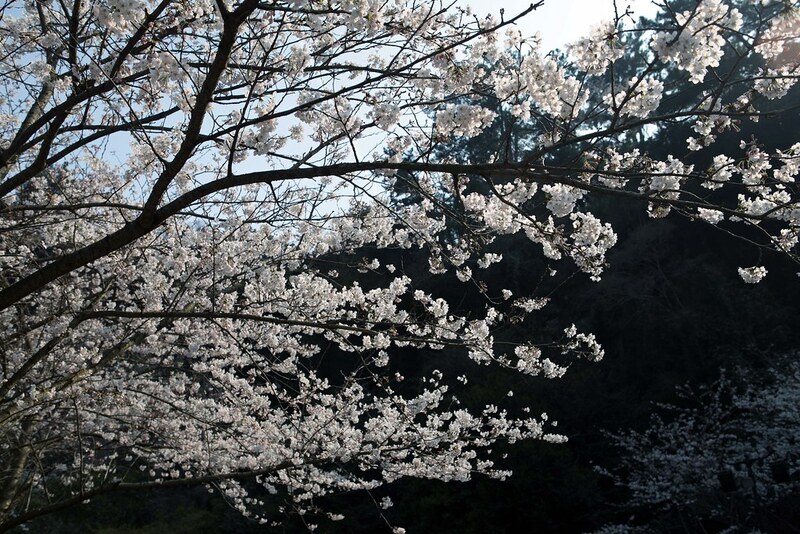 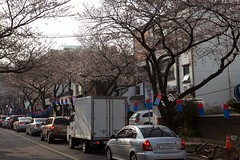 Cherry blossom street is a must go attraction during spring. 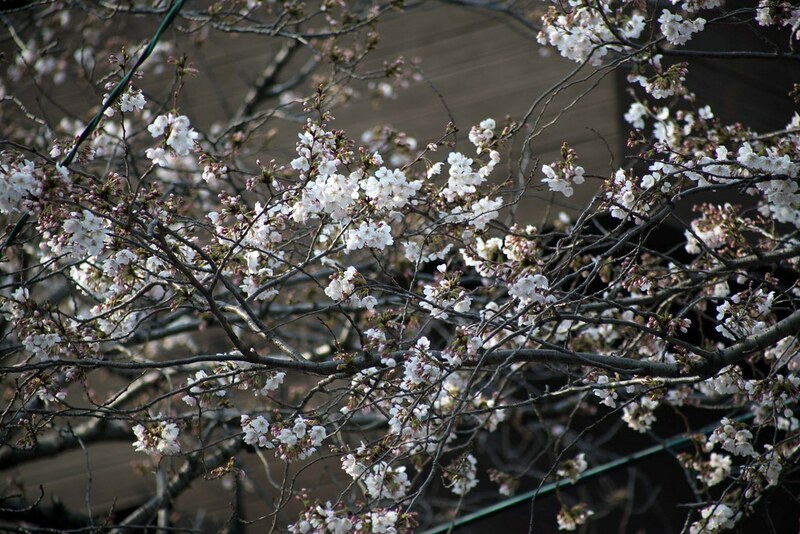 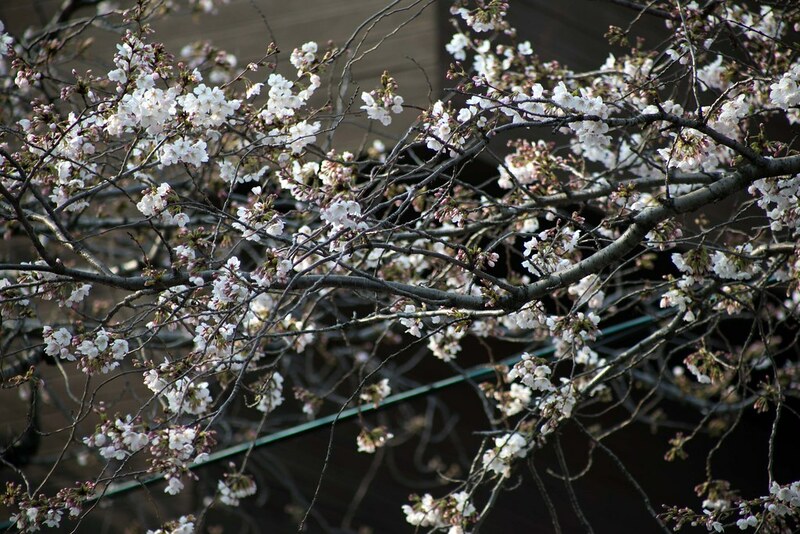 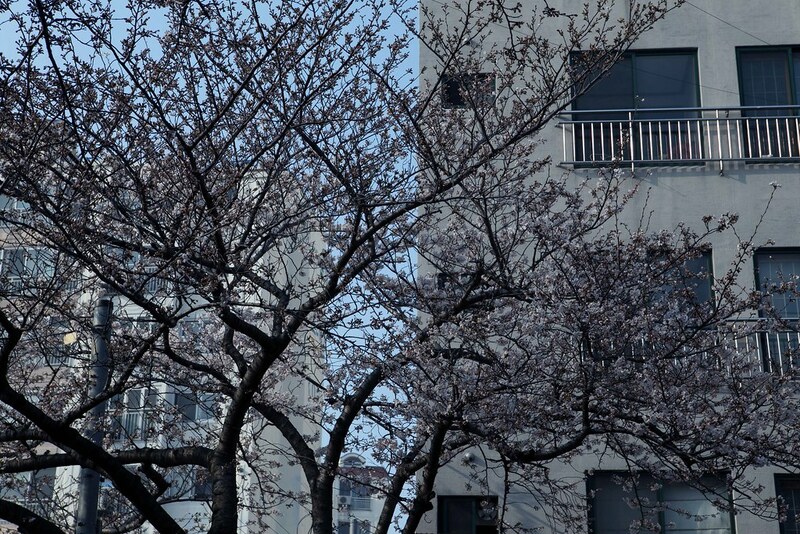 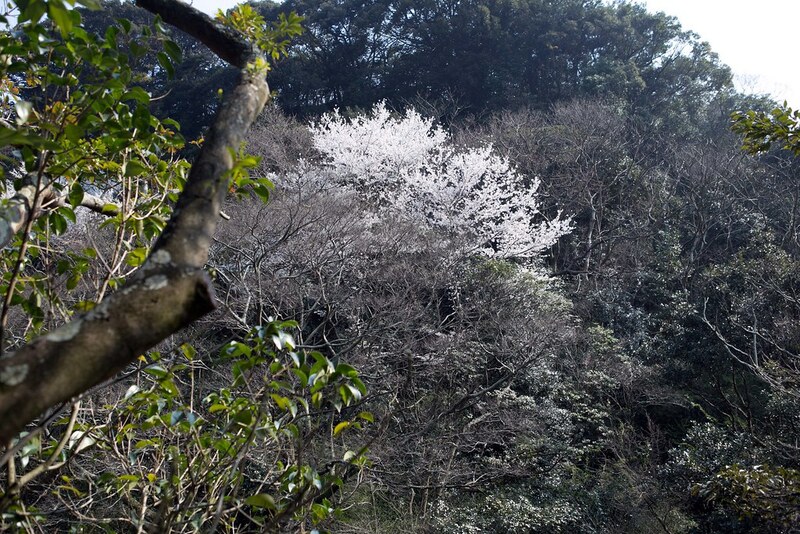 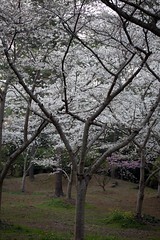 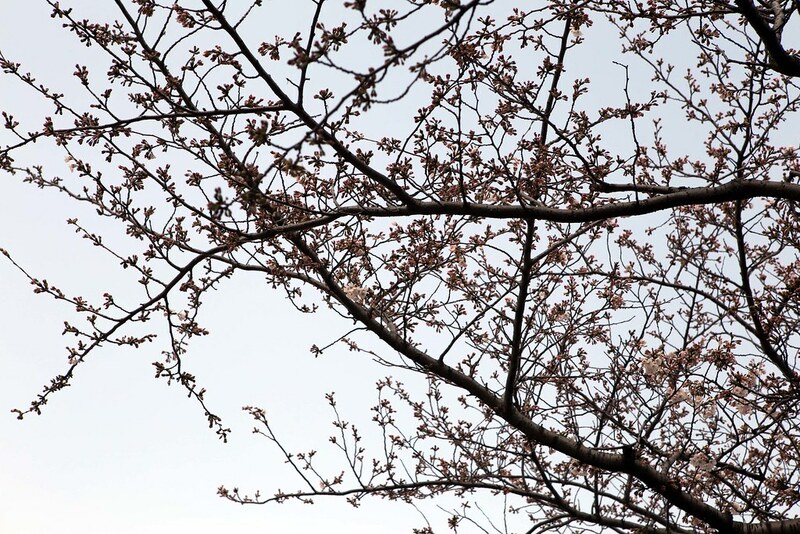 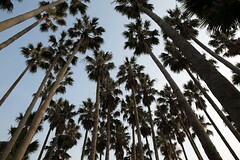 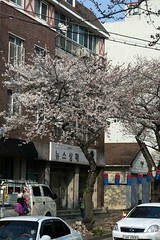 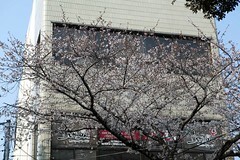 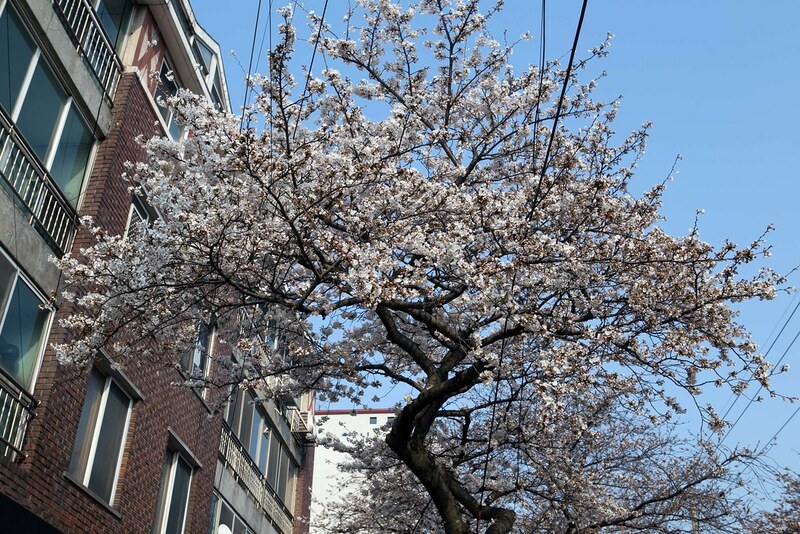 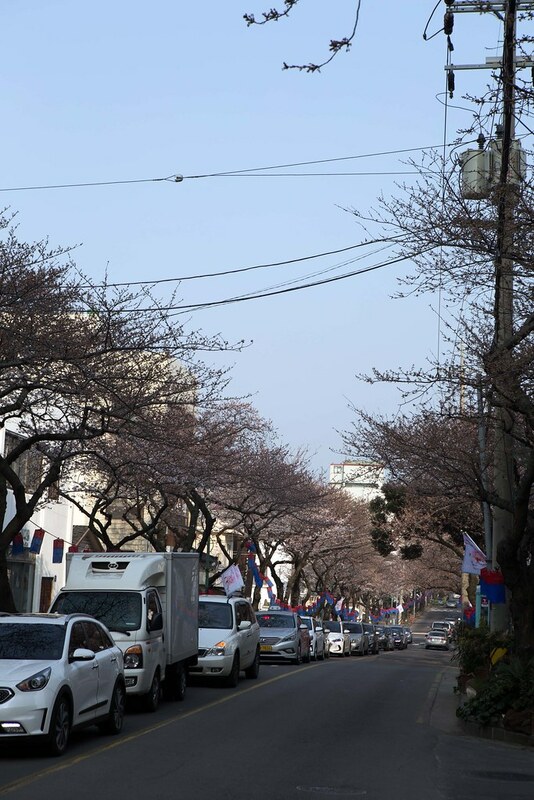 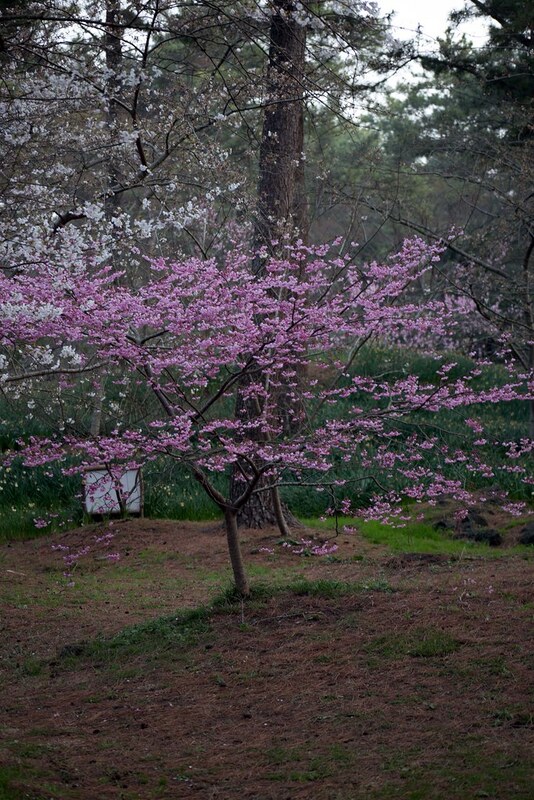 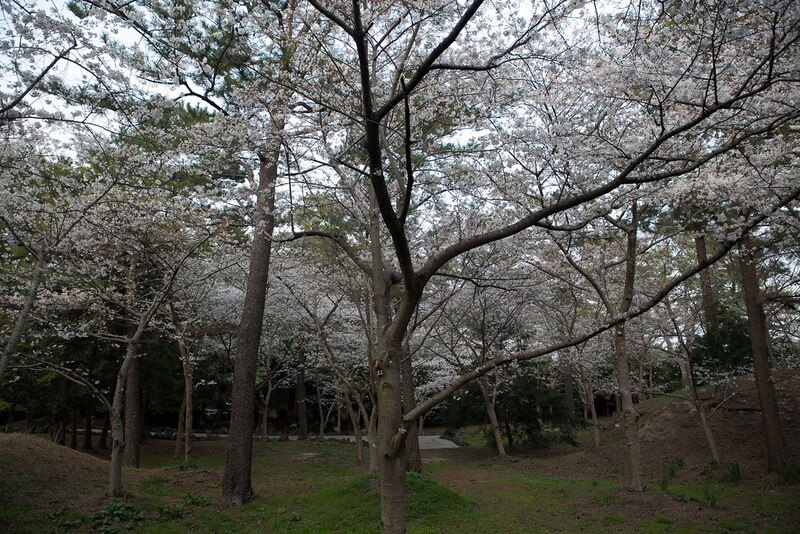 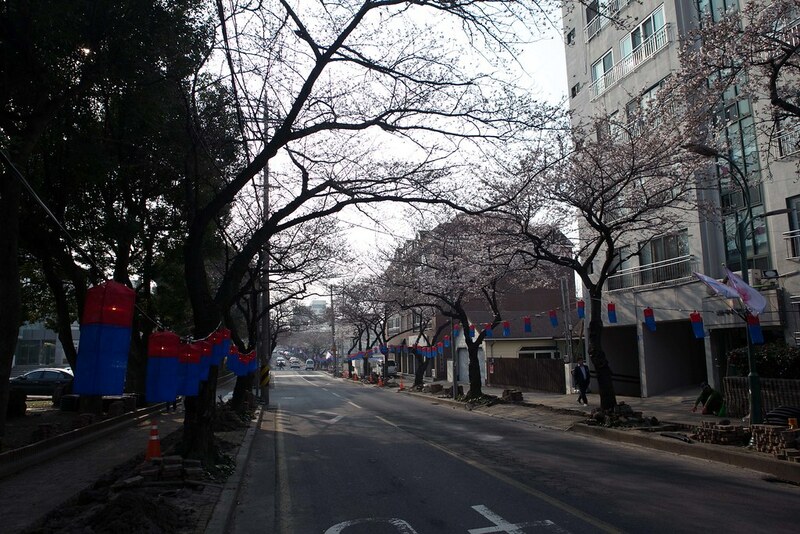 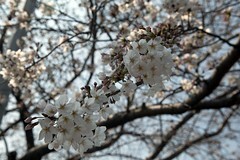 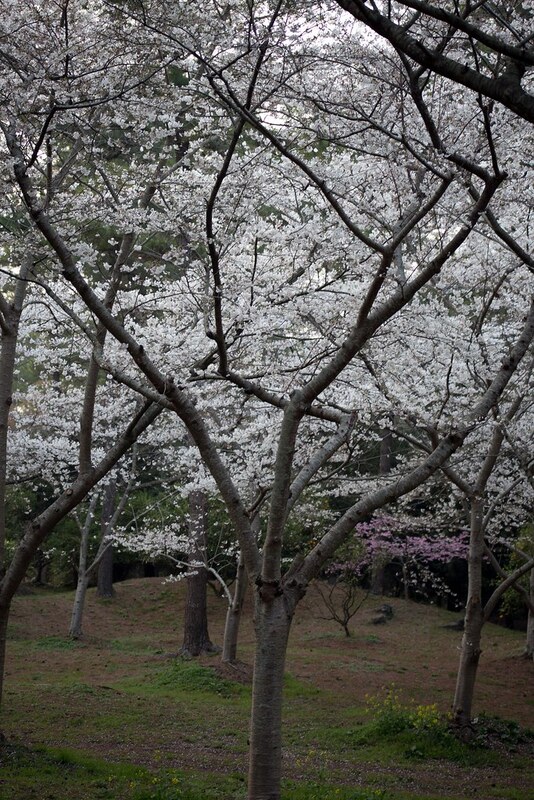 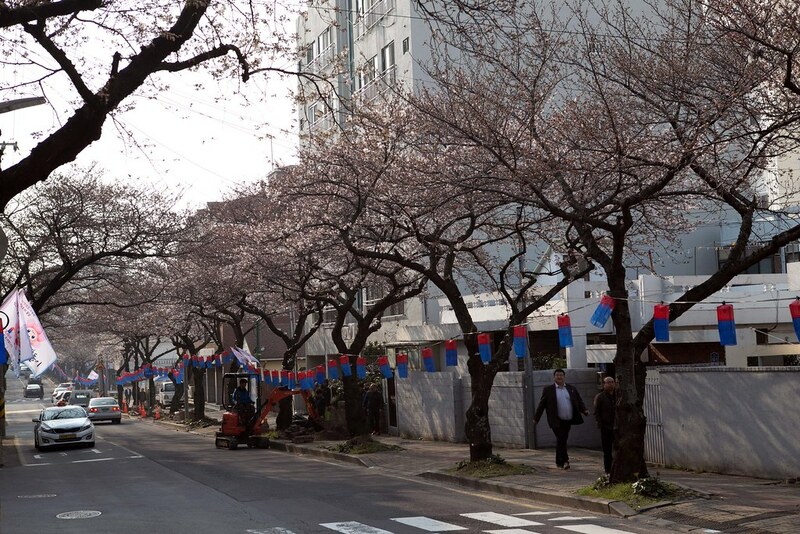 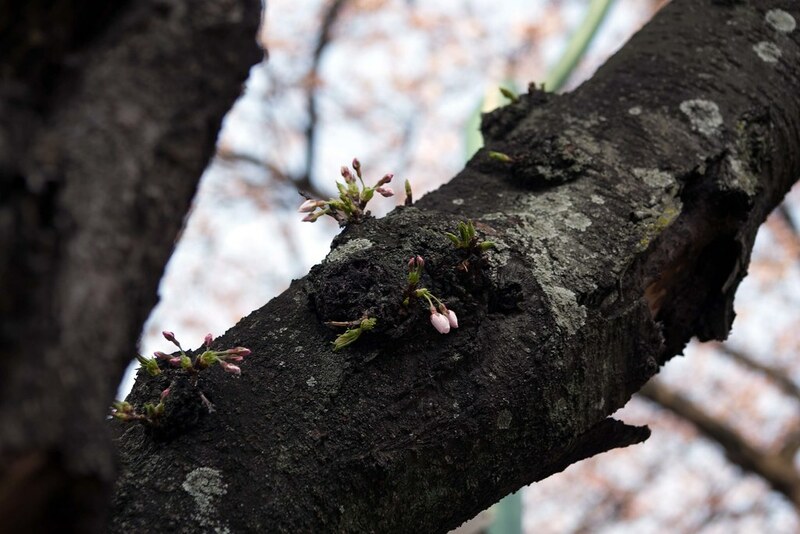 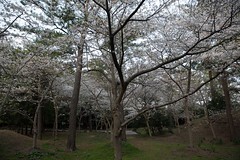 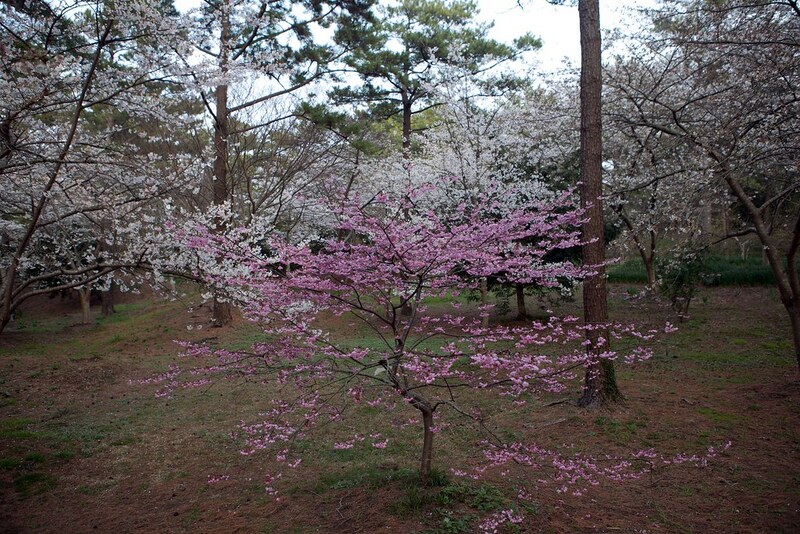 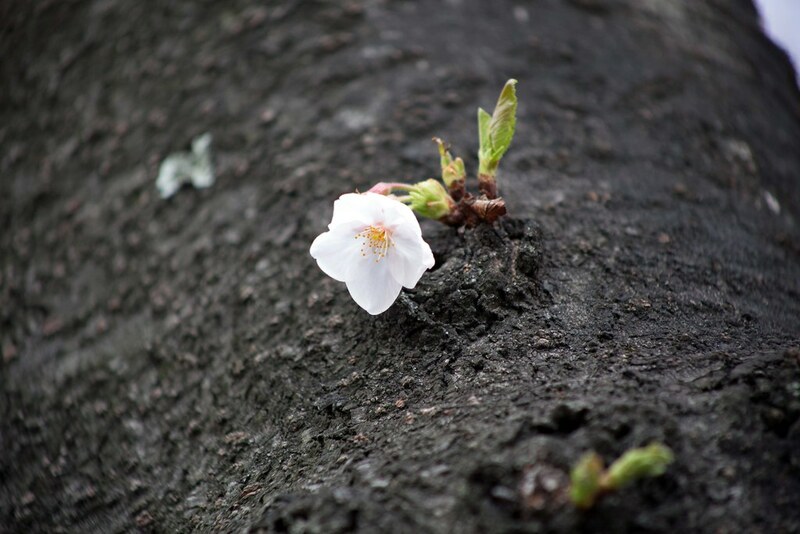 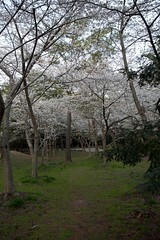 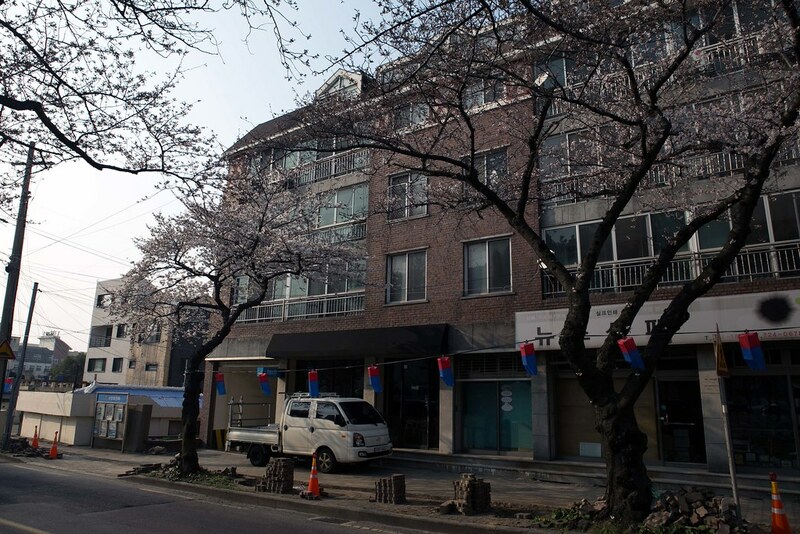 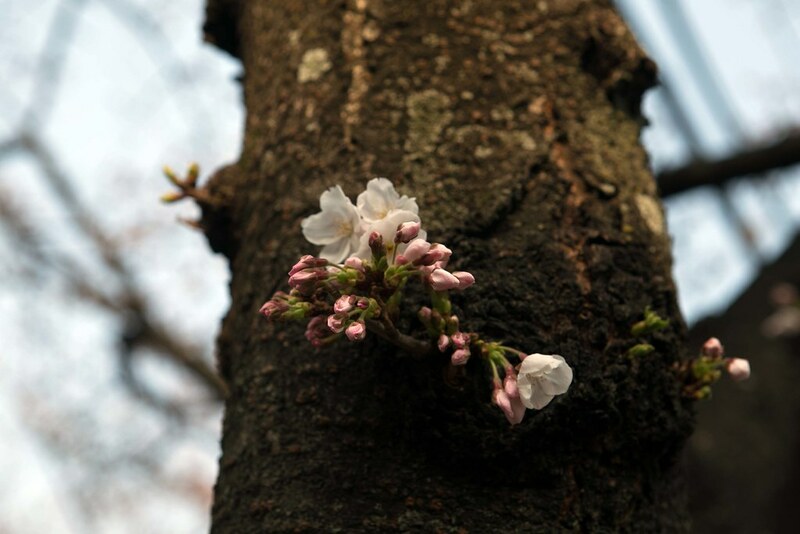 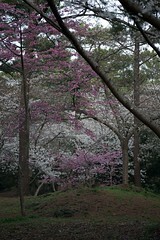 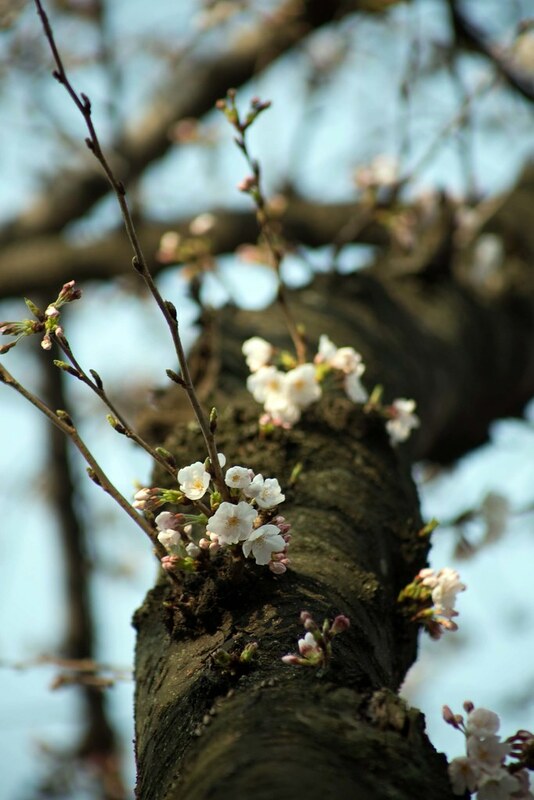 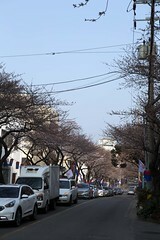 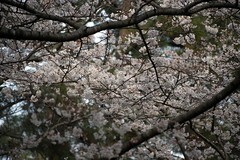 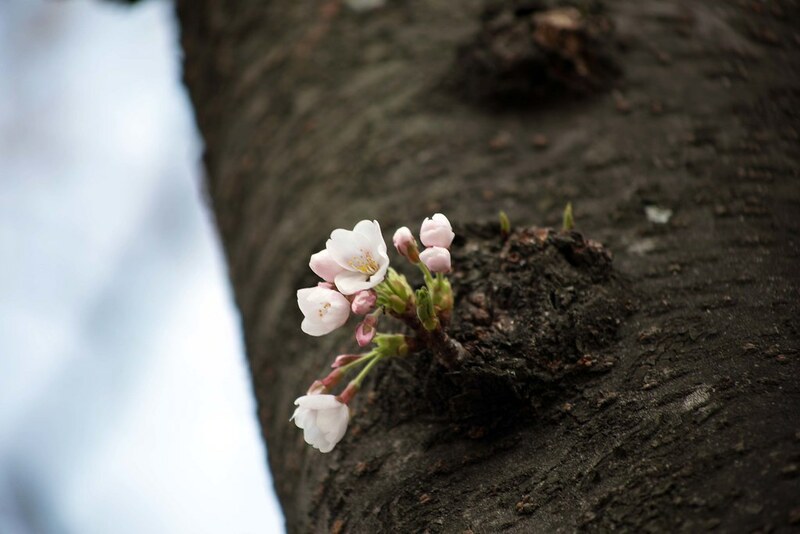 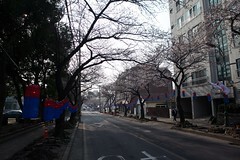 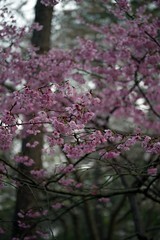 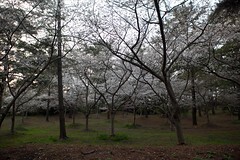 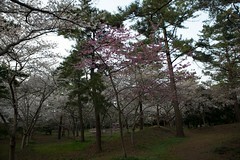 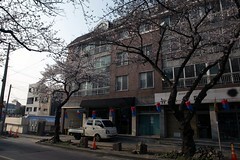 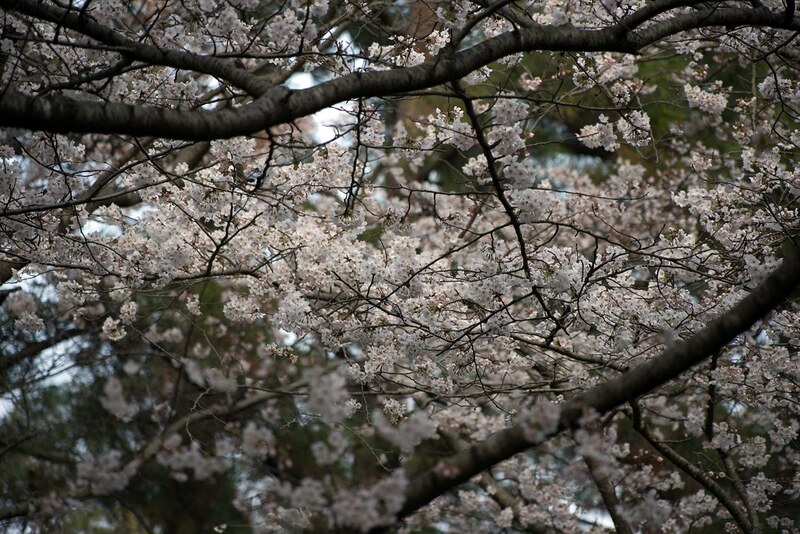 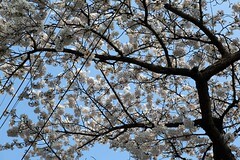 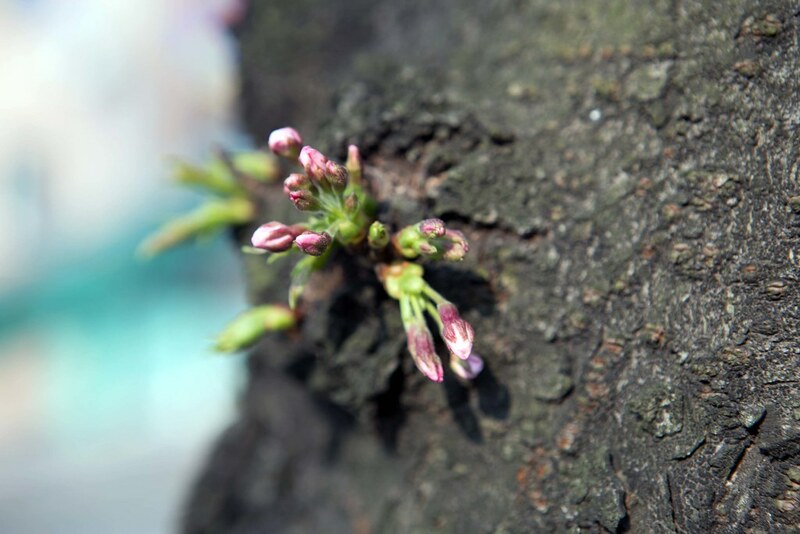 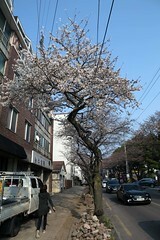 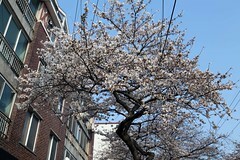 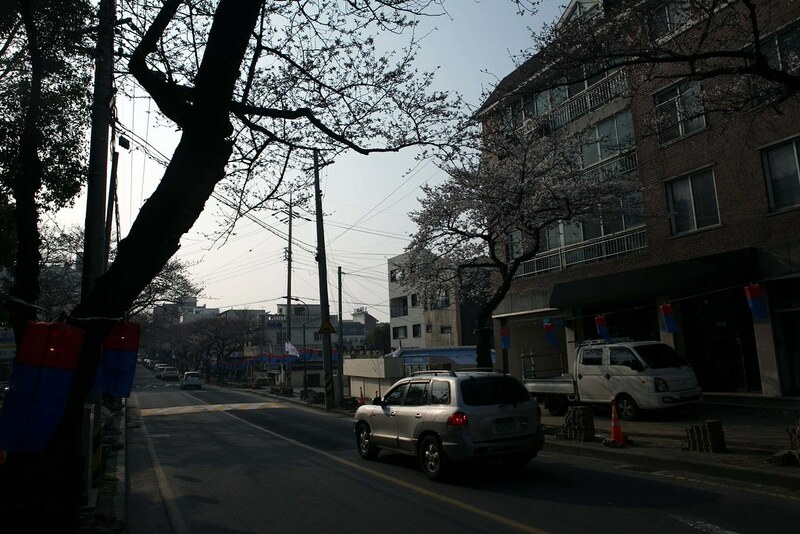 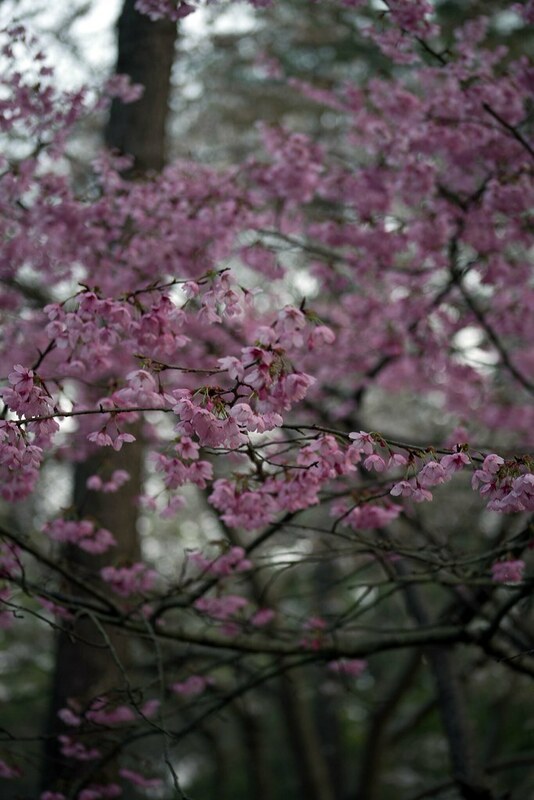 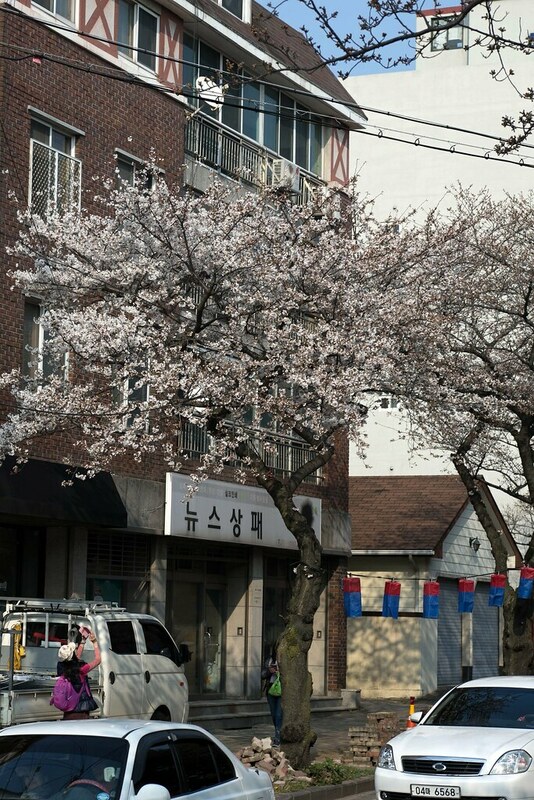 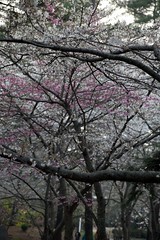 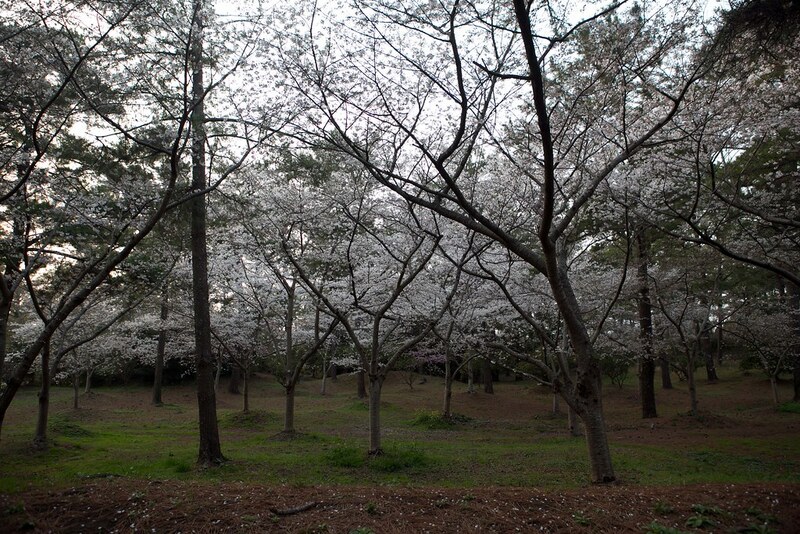 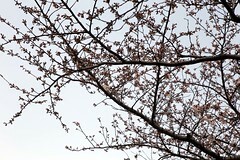 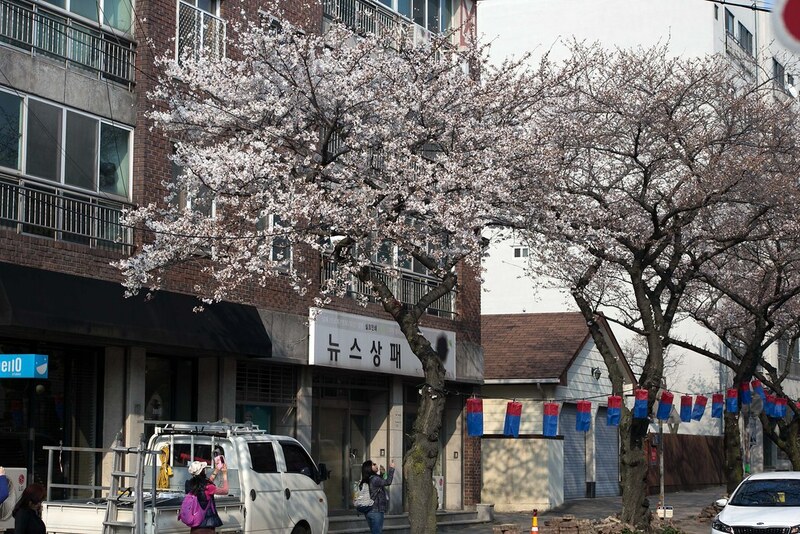 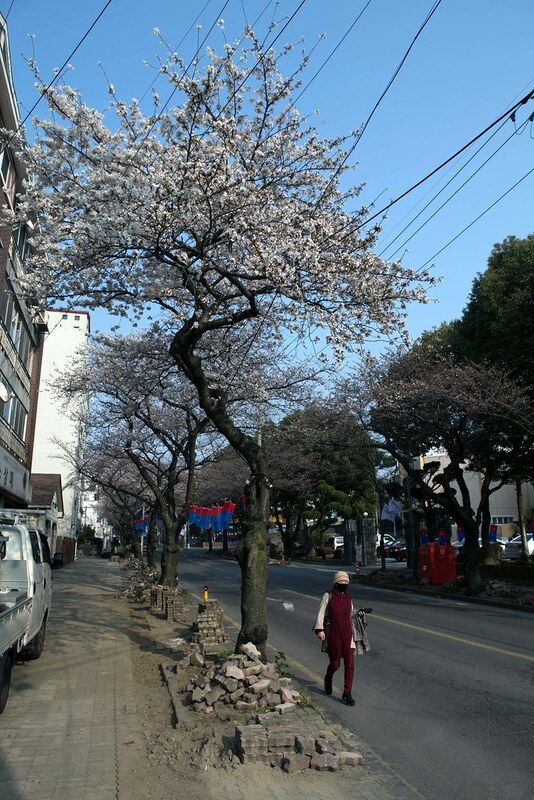 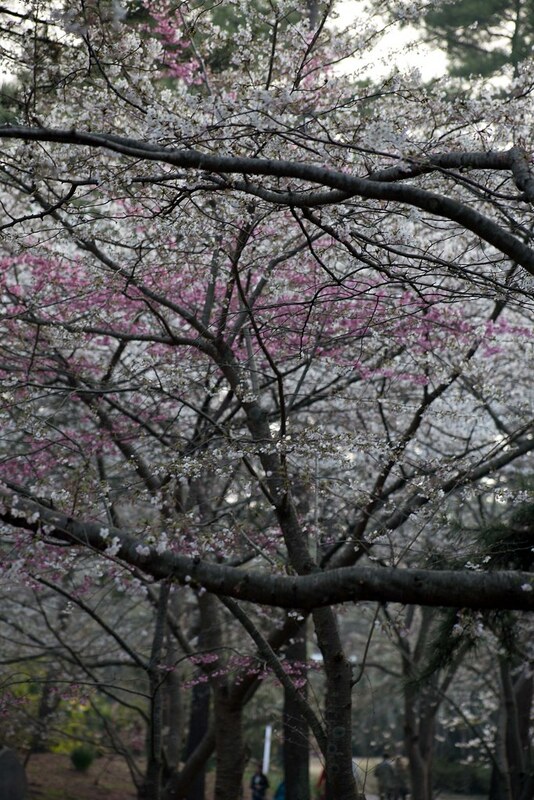 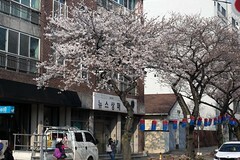 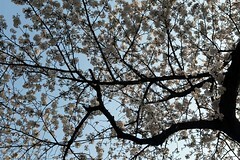 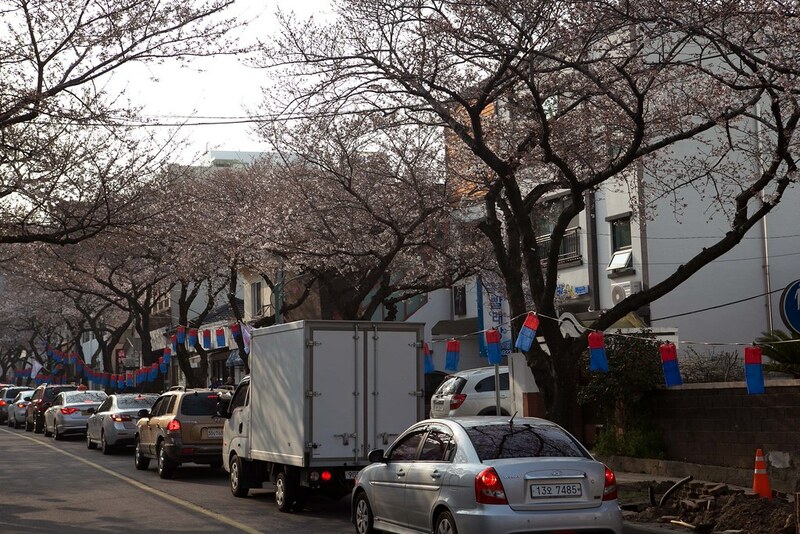 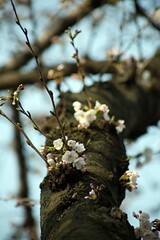 Some of these trees are more than 100 years old and the entire street is filled with cherry blossom during spring. 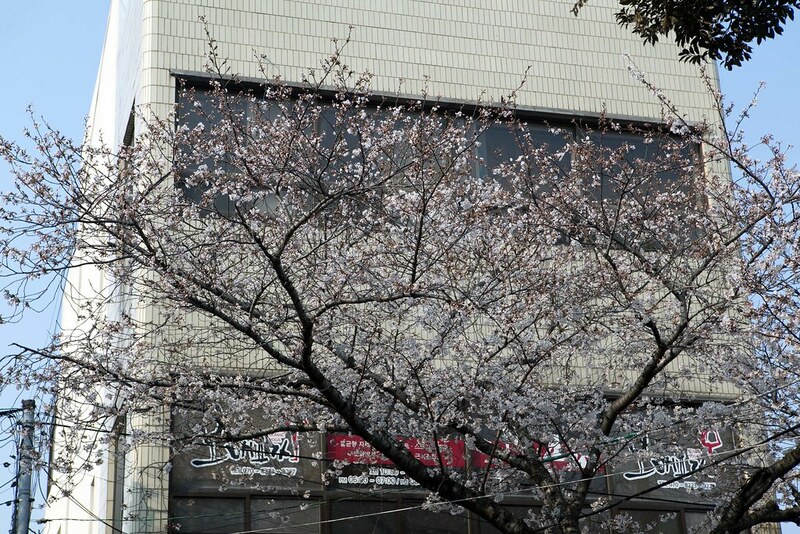 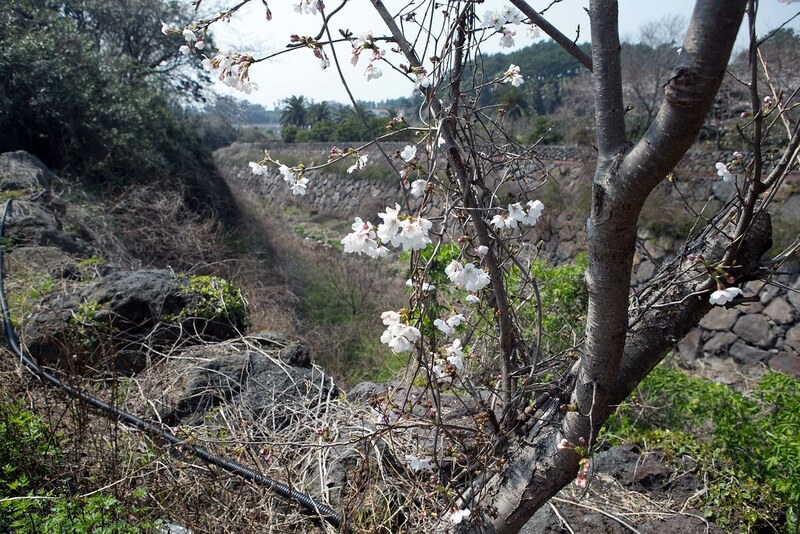 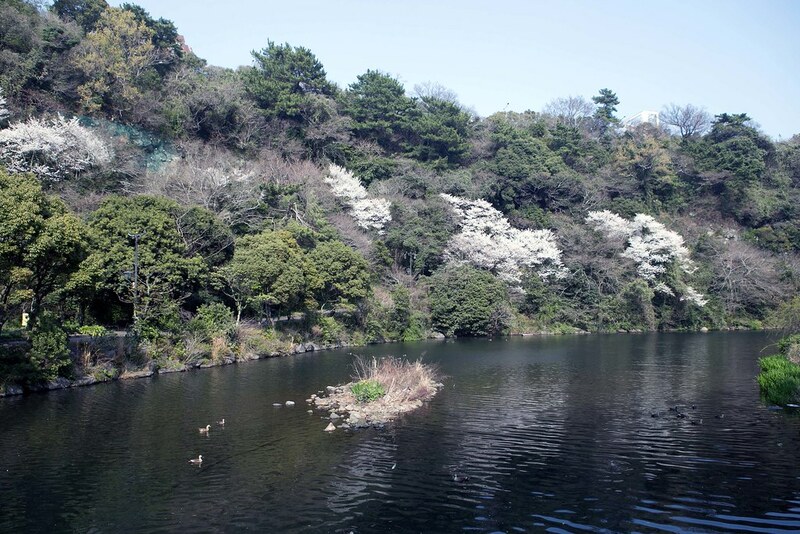 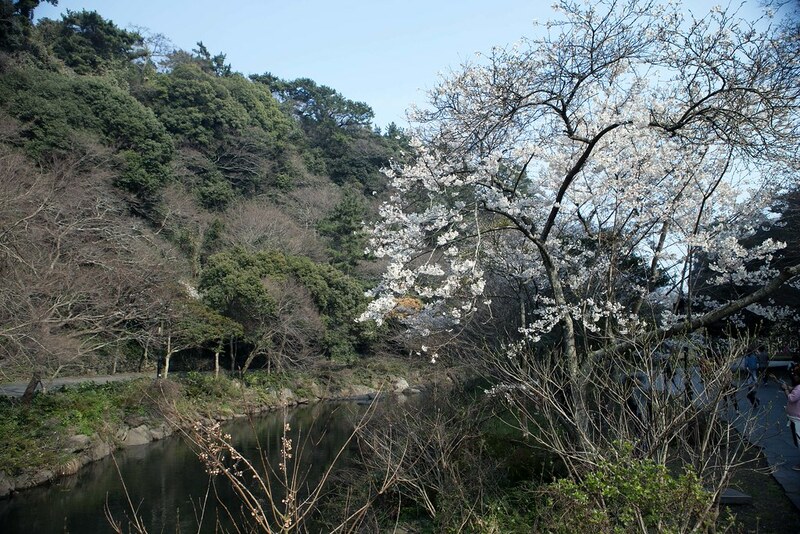 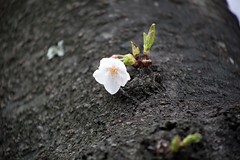 There is an annual cherry blossom festival held along this street during spring, please check out the tourism board before visiting. 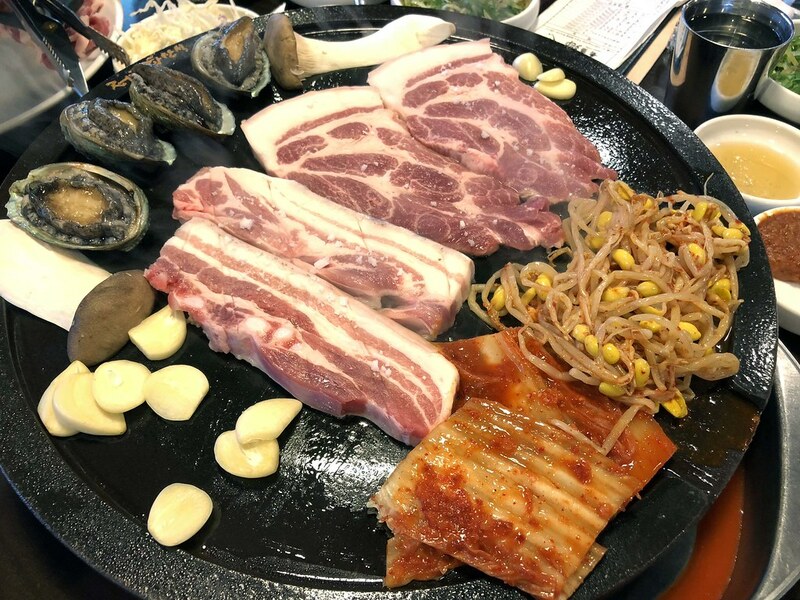 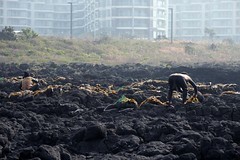 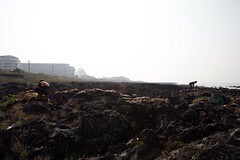 Jeju island is well known for black pork. 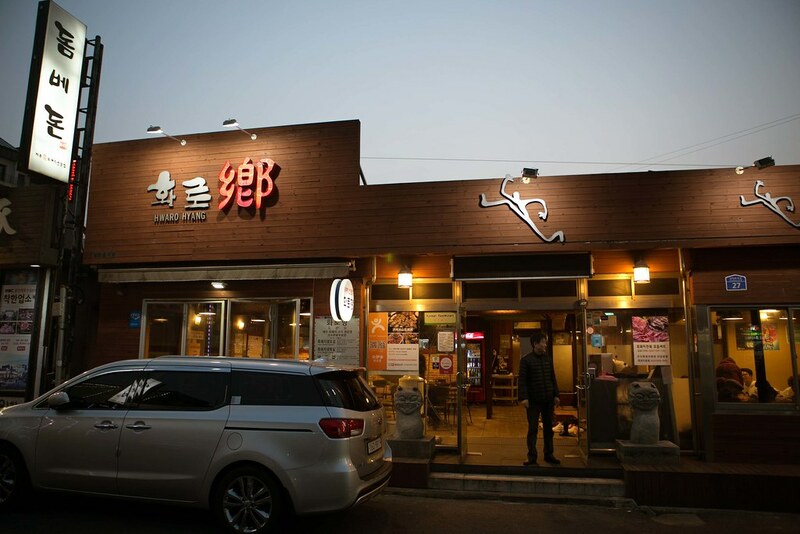 Black pork street has several restaurants selling BBQ black pork. 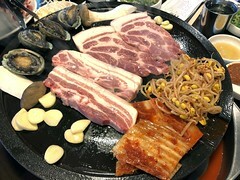 All the restaurants sell common Korean dishes as well if you do not like black pork. 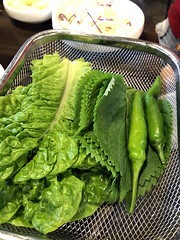 We went to “Hwaro Hyang” for dinner and the black pork does taste more tender compared to the normal pork. 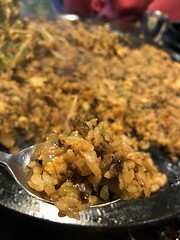 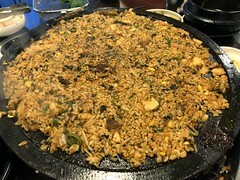 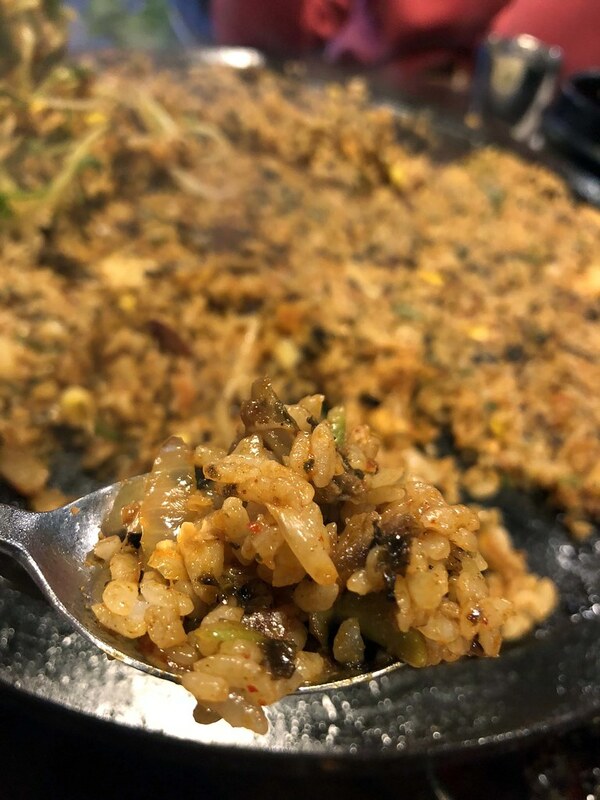 Fried rice is served last, it is cooked on the hotplate with your leftover cooked meat and vegetables. 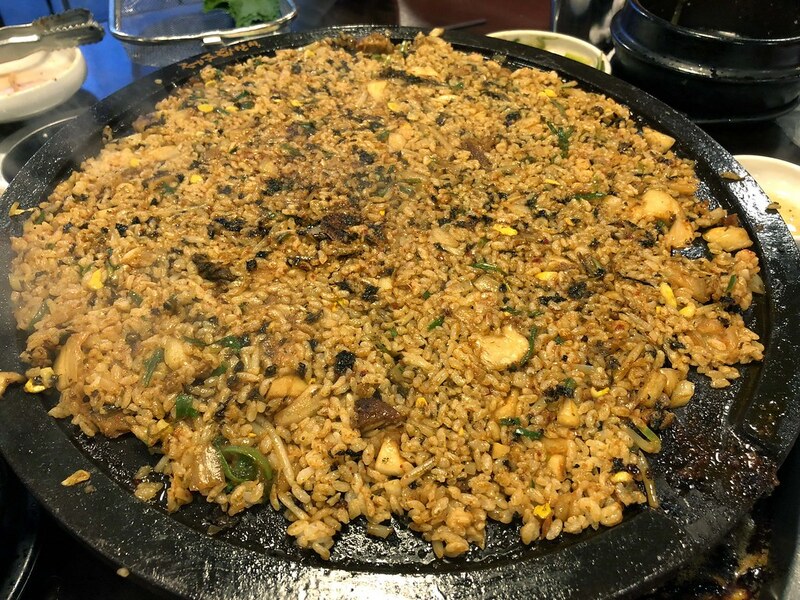 Remember not to finish all your food if you are ordering fried rice. 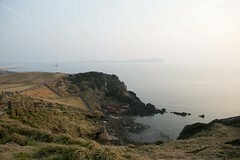 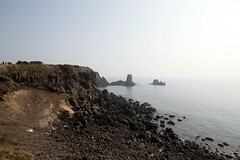 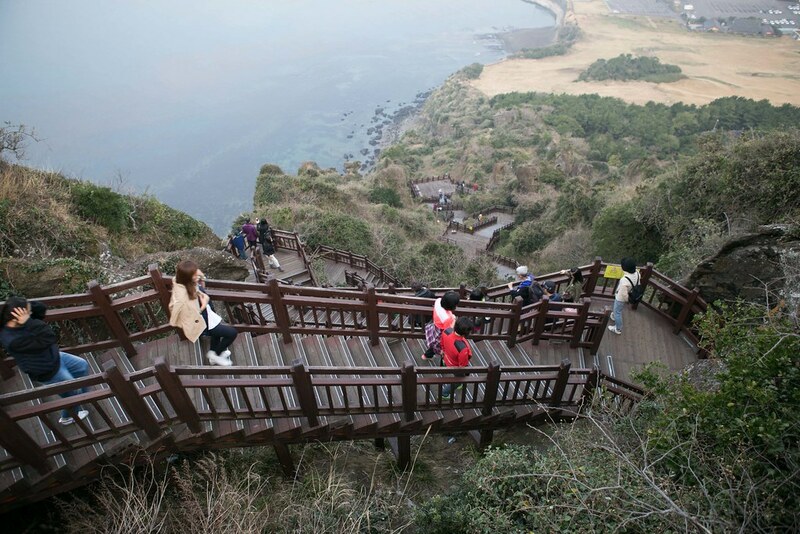 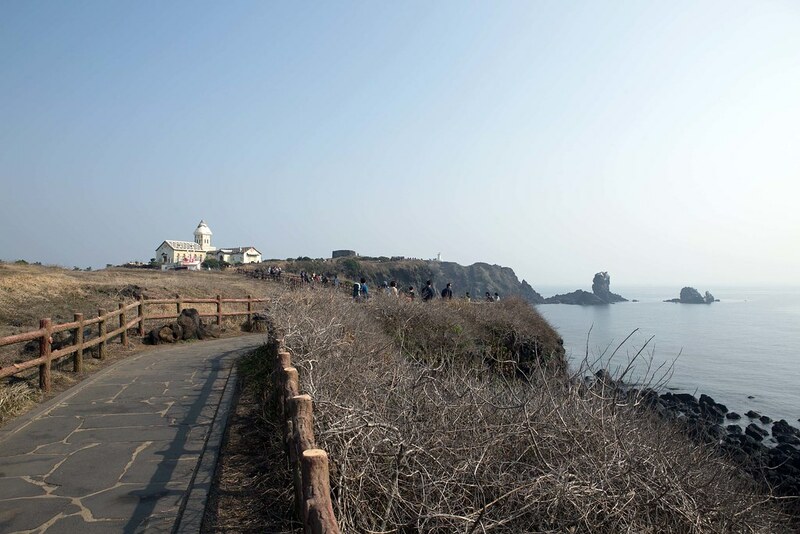 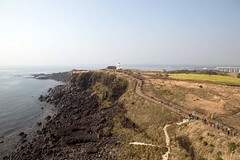 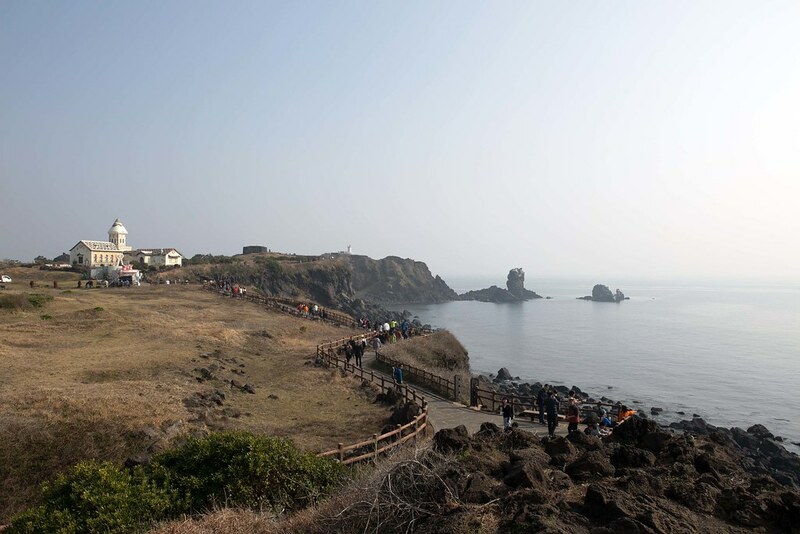 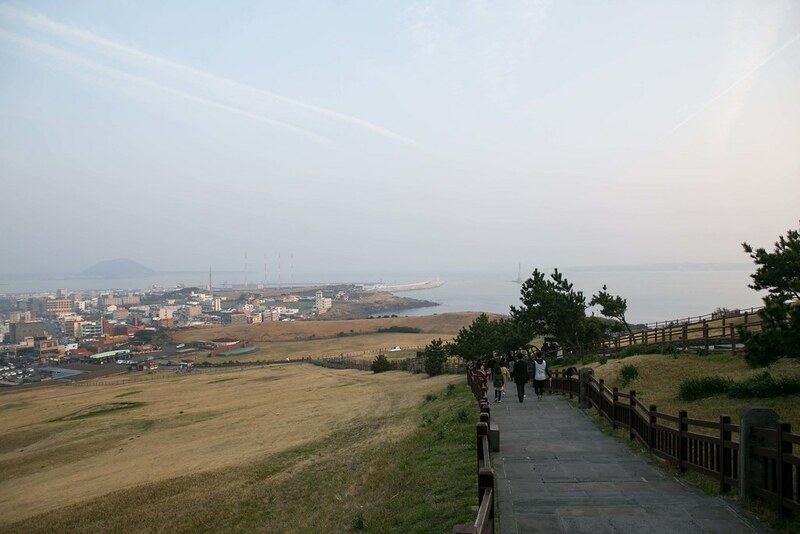 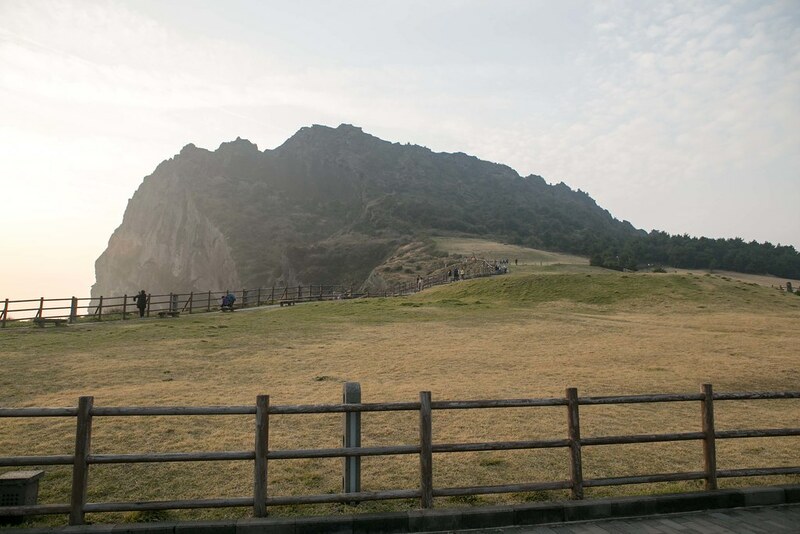 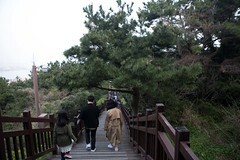 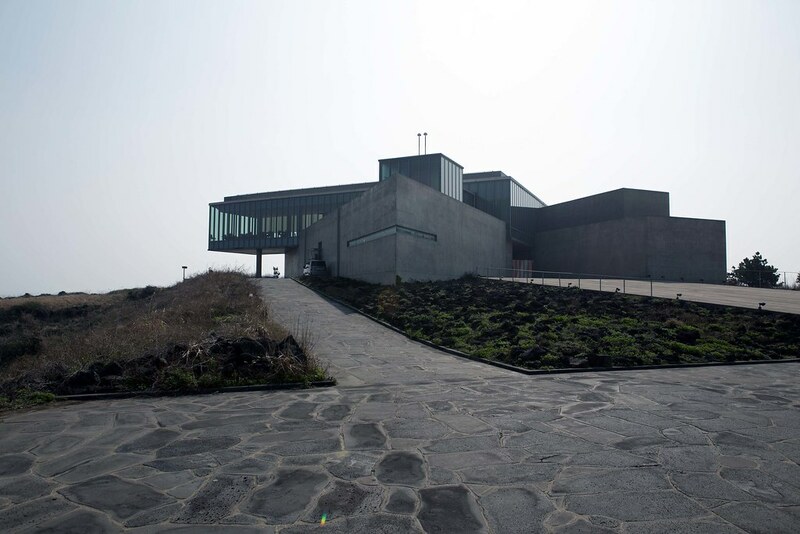 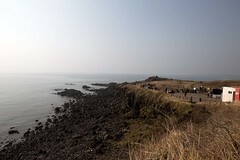 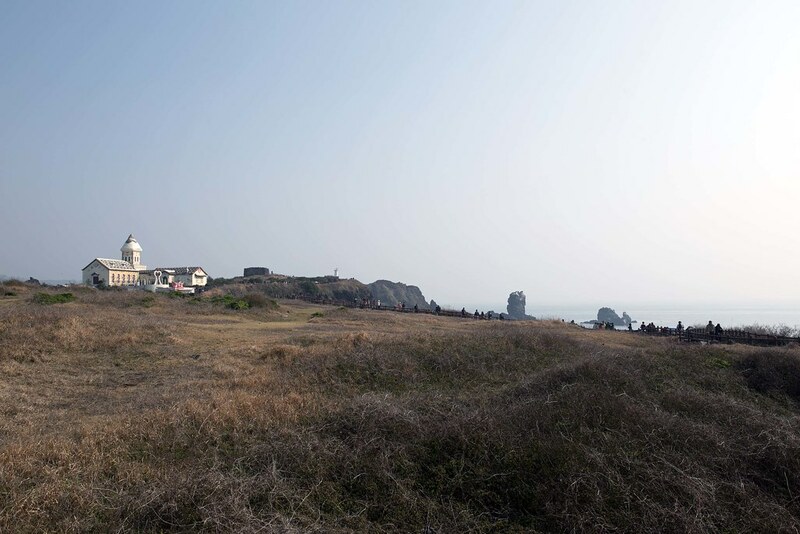 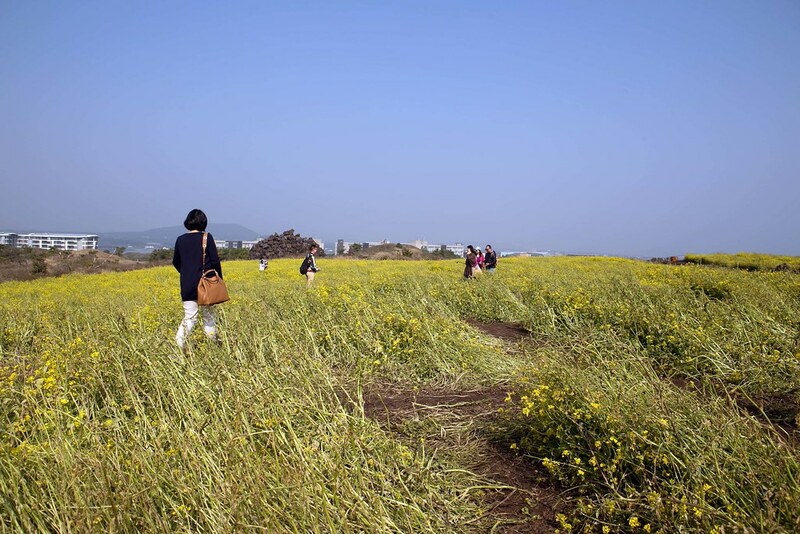 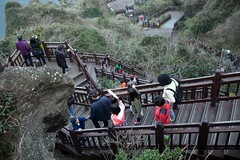 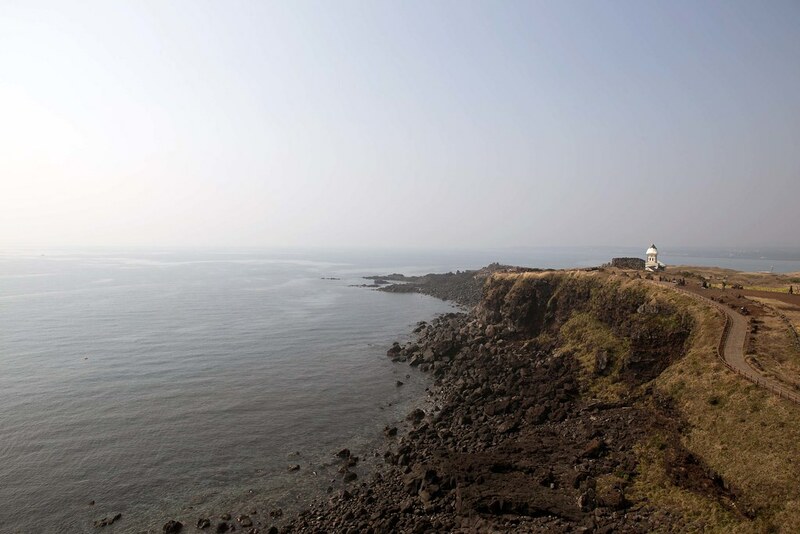 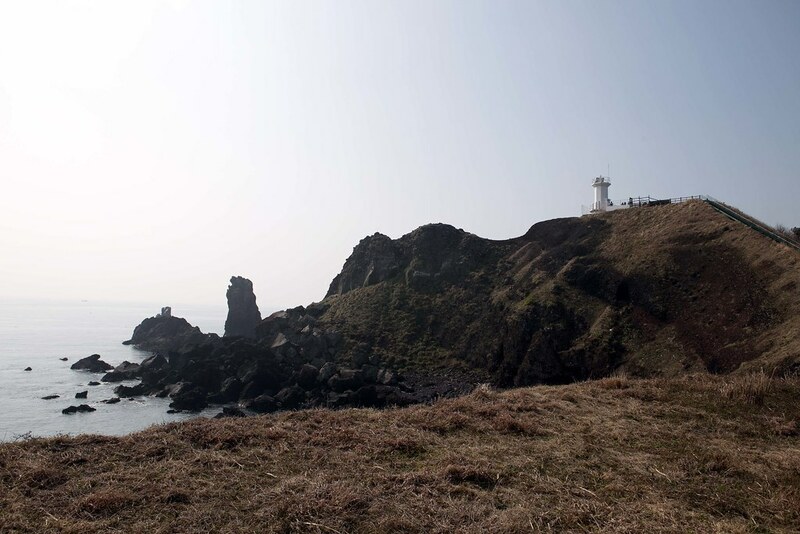 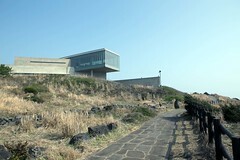 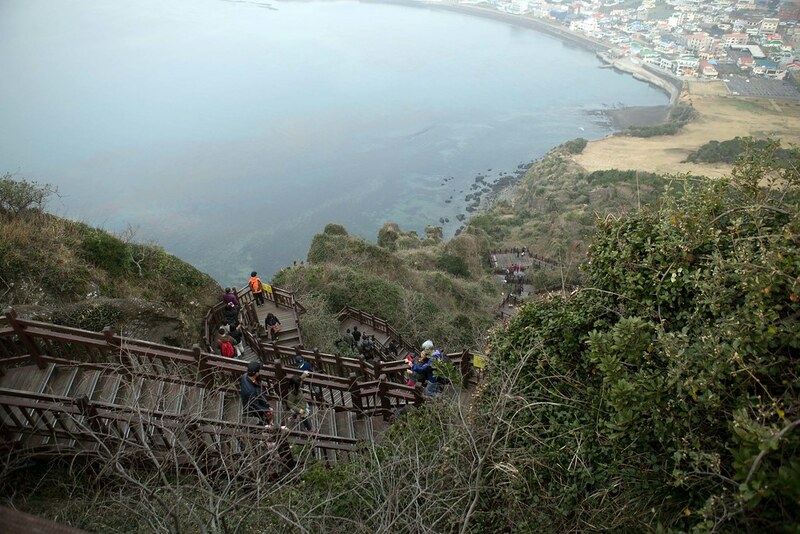 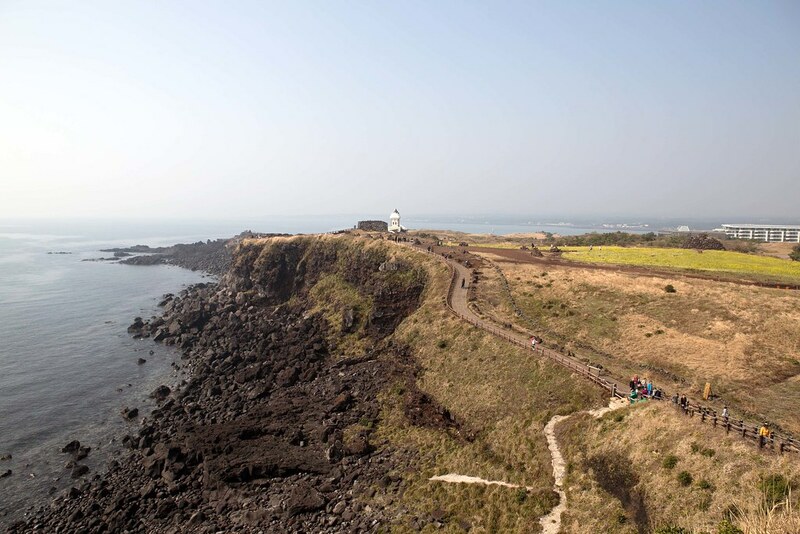 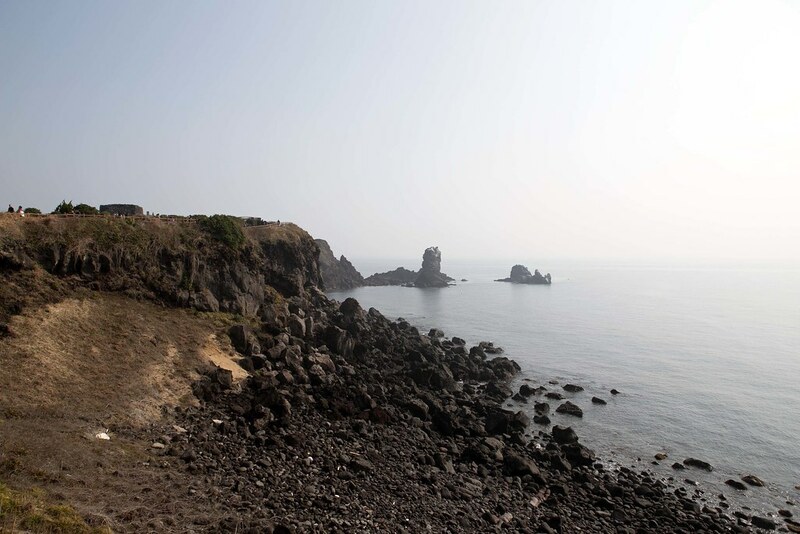 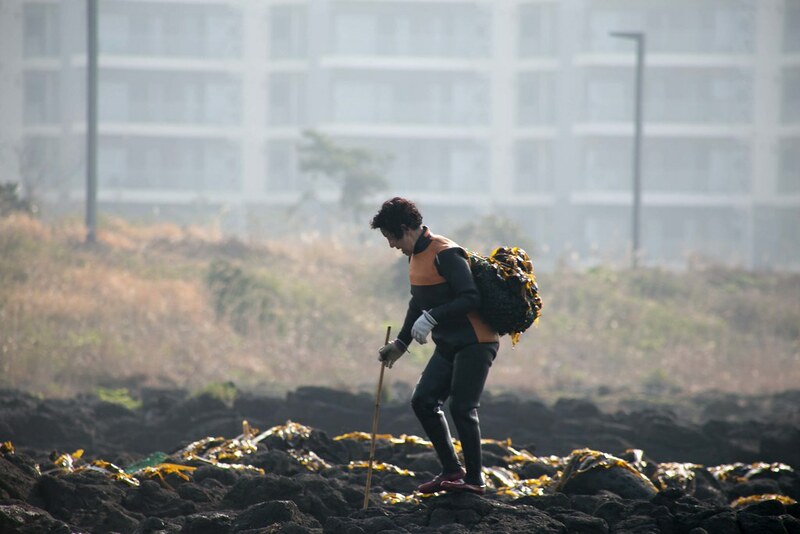 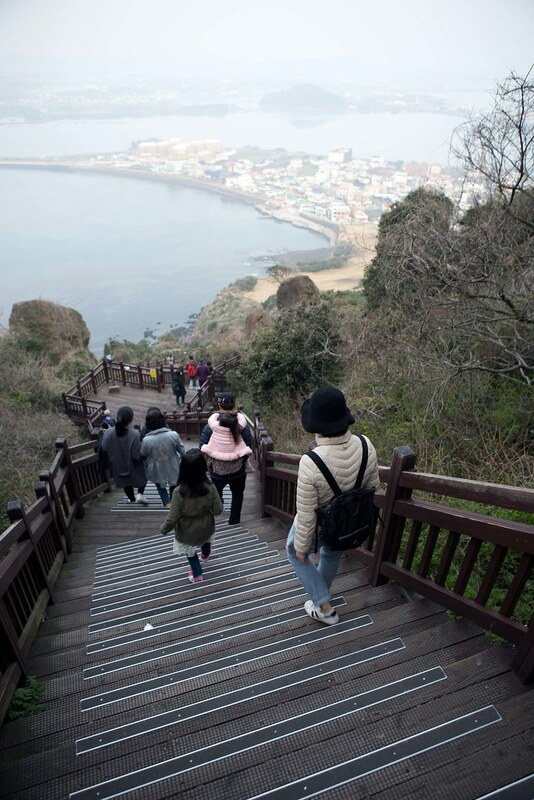 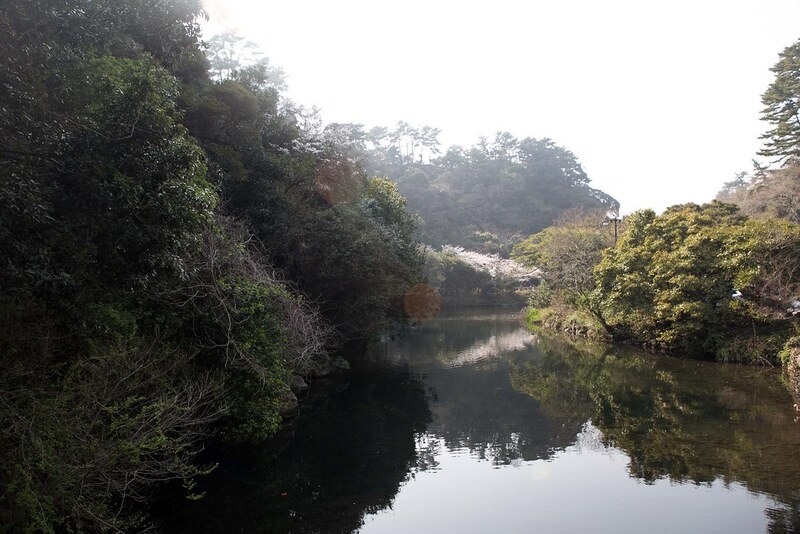 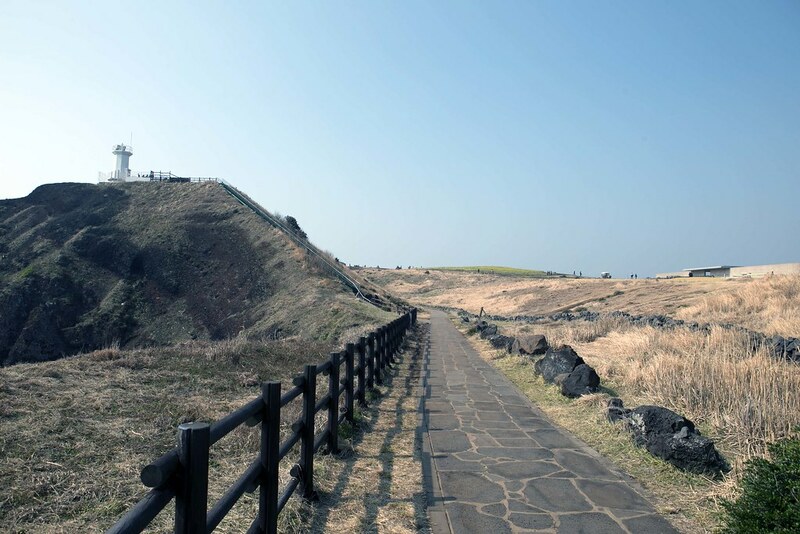 Seongsan Ilchulbong Peak is one of the must-visit attraction in Jeju island. 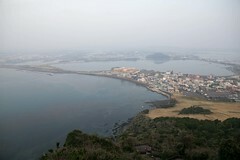 It was an active volcano 100,000 years ago and rises from the sea. 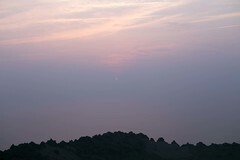 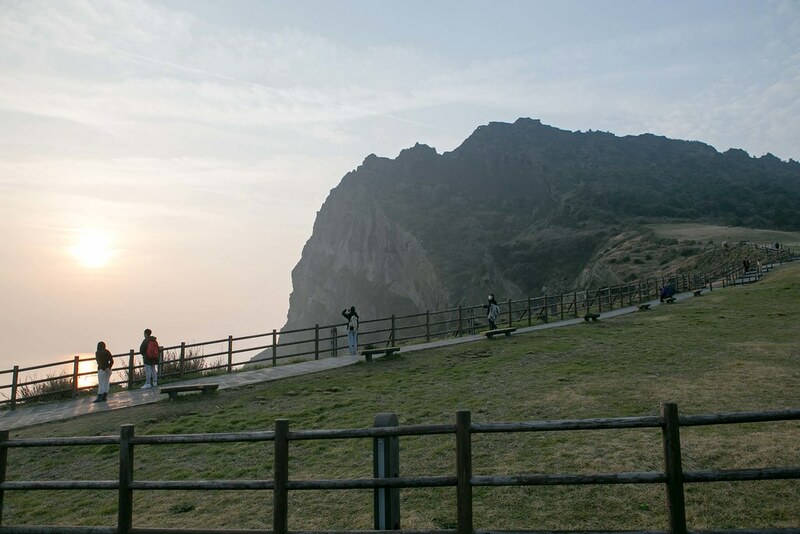 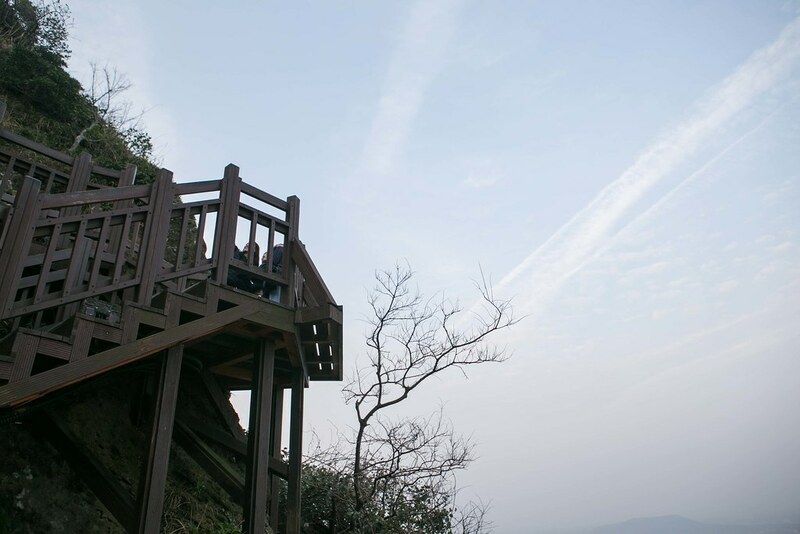 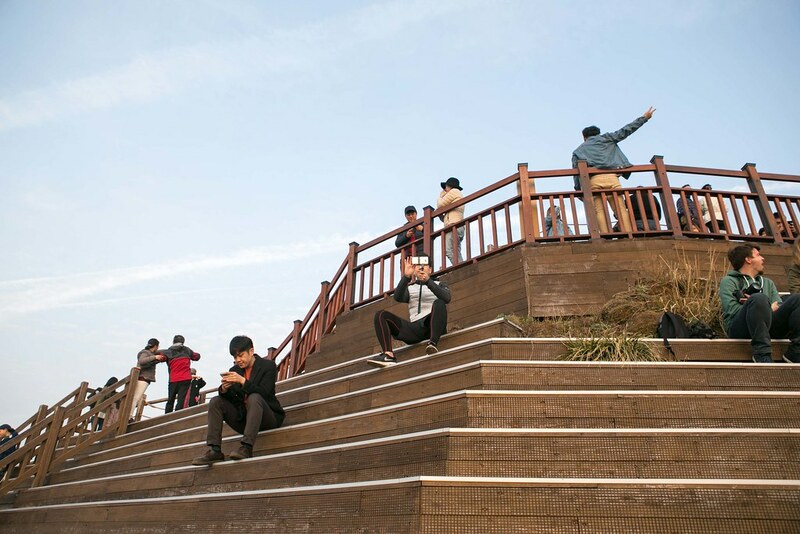 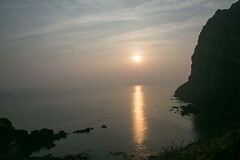 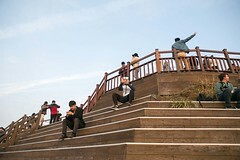 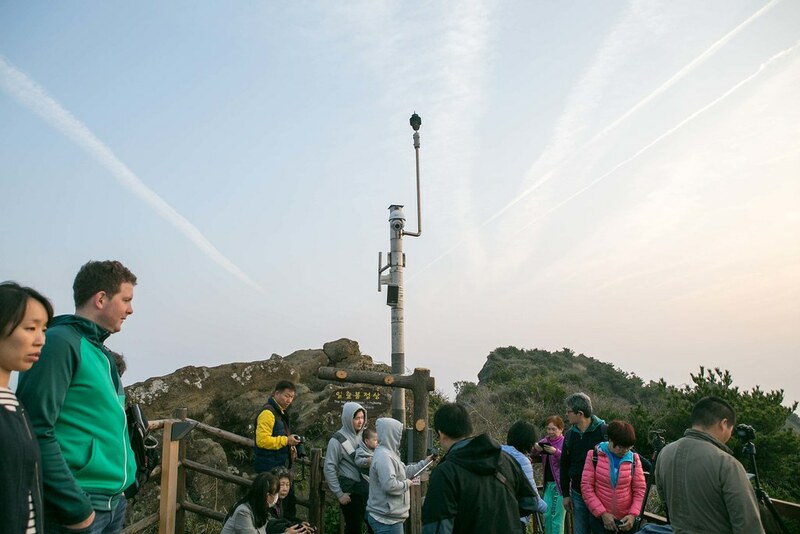 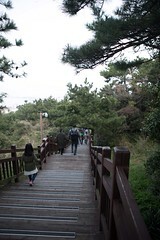 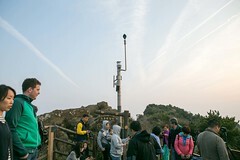 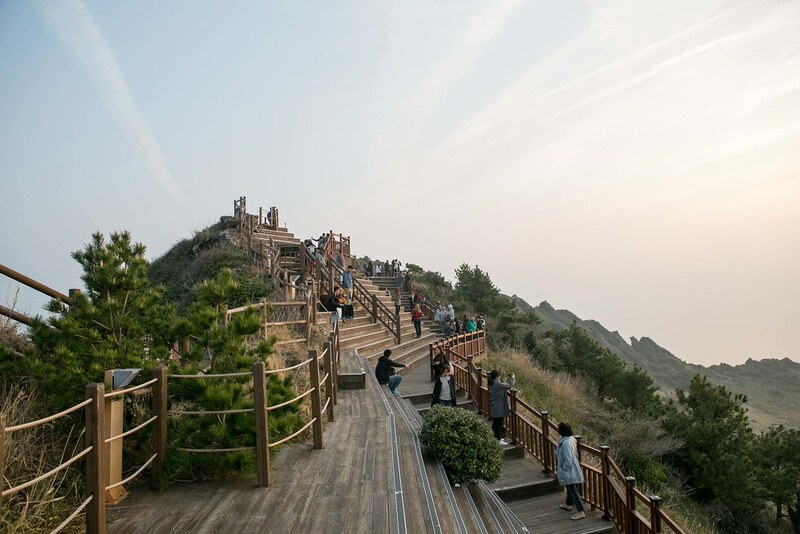 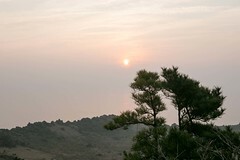 Seongsan Ilchulbong Peak is well known for sunrise viewing. 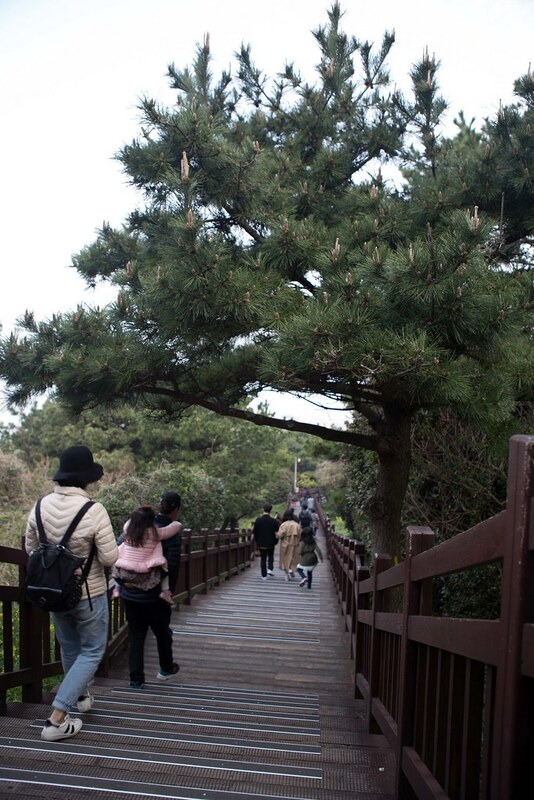 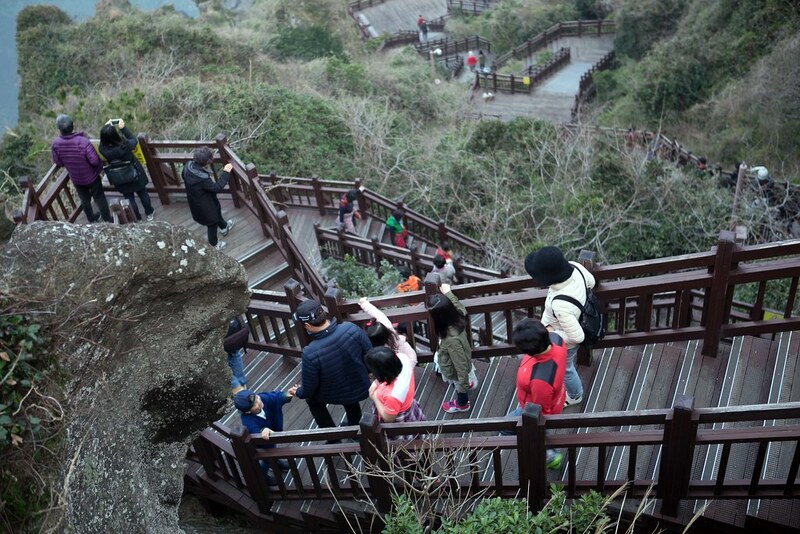 To get onto the peak you need to climb a fleet of stairs for around 20 mins – 40 mins depending on your physical. 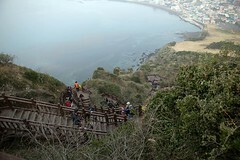 The stairs are safe and there are quite a few rest point. The ticketing counter is opened at 7 am. 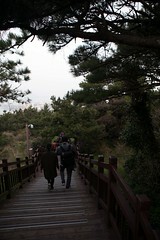 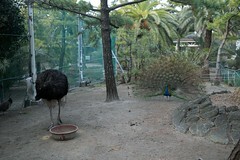 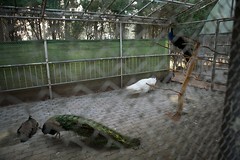 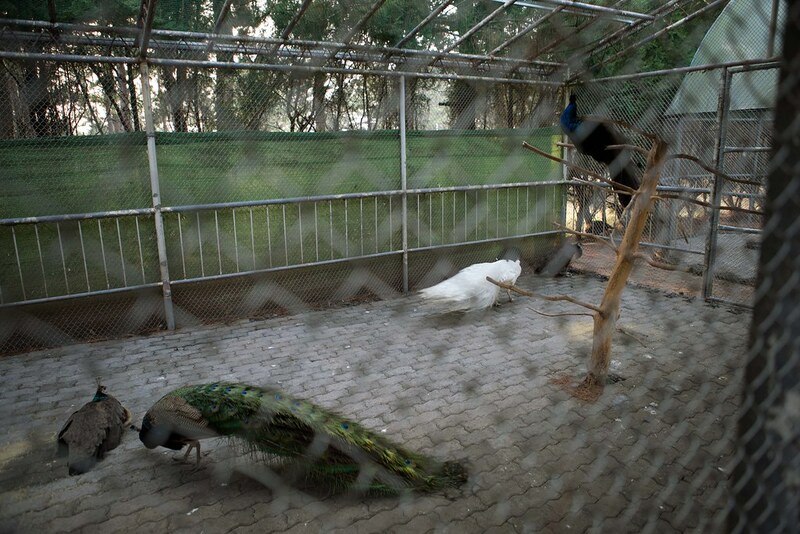 We reached the gate at 6 am and followed the locals proceeding to the peak free of charge. 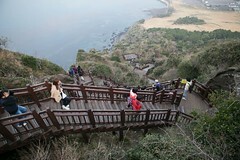 The view is magnificent and definitely worth the climb. 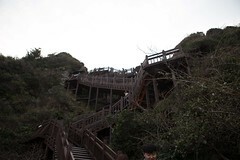 Do note that the path going up the peak and coming down is different. 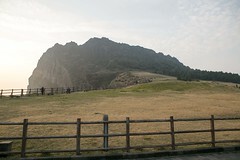 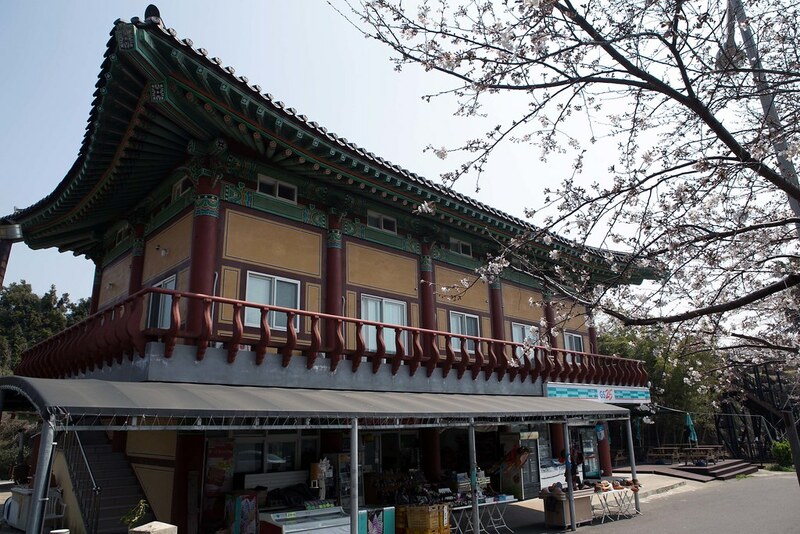 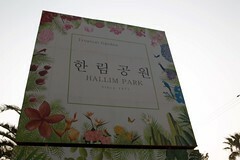 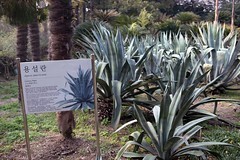 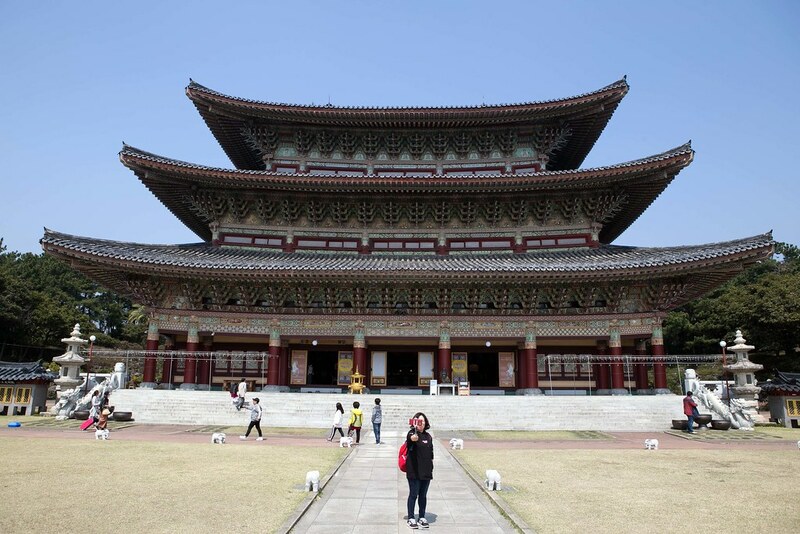 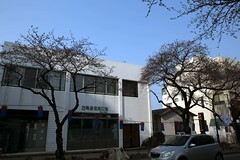 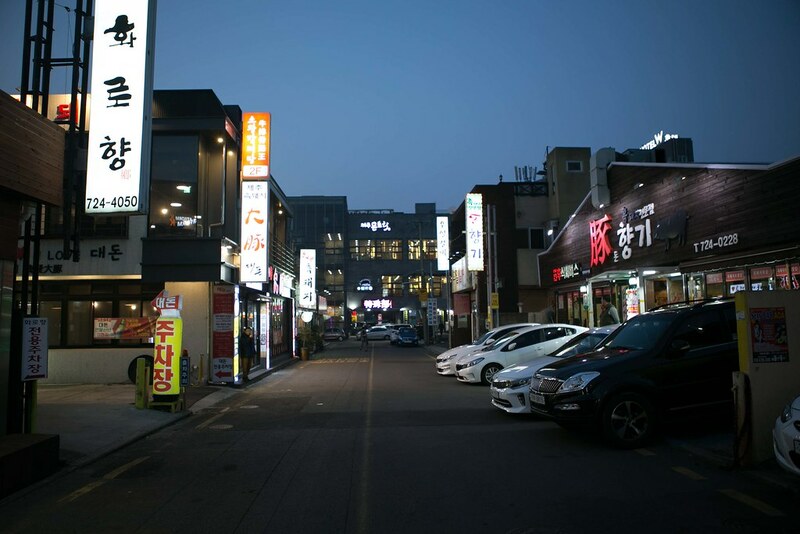 Several Korean dramas are filmed here and are a popular attraction. It has a beautiful scenery looking over the sea. 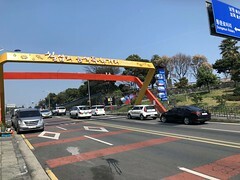 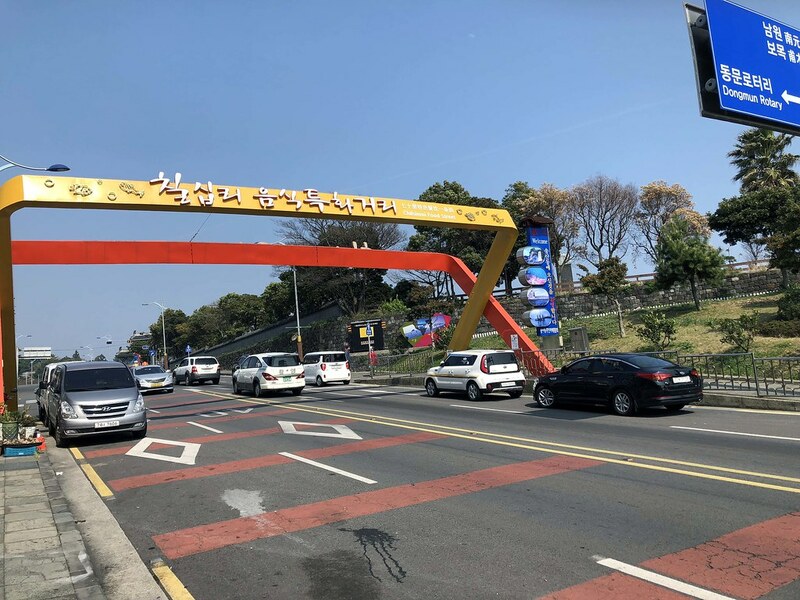 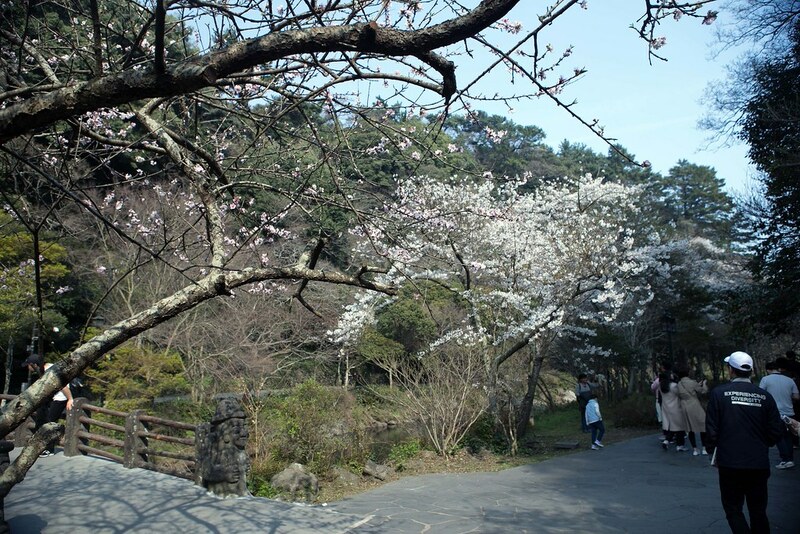 If you are driving to Seopjikoji hill, do look on your right at the bottom of the hill. 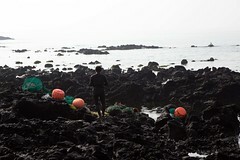 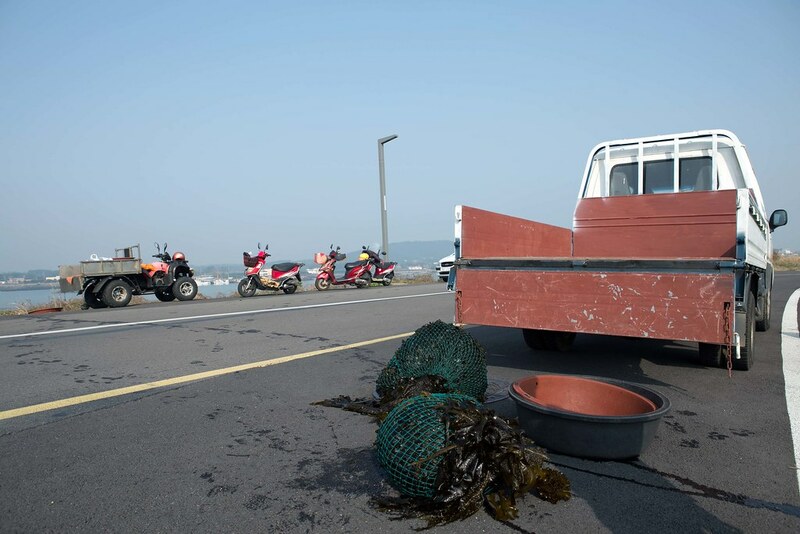 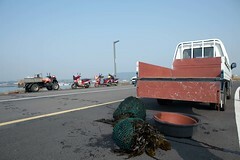 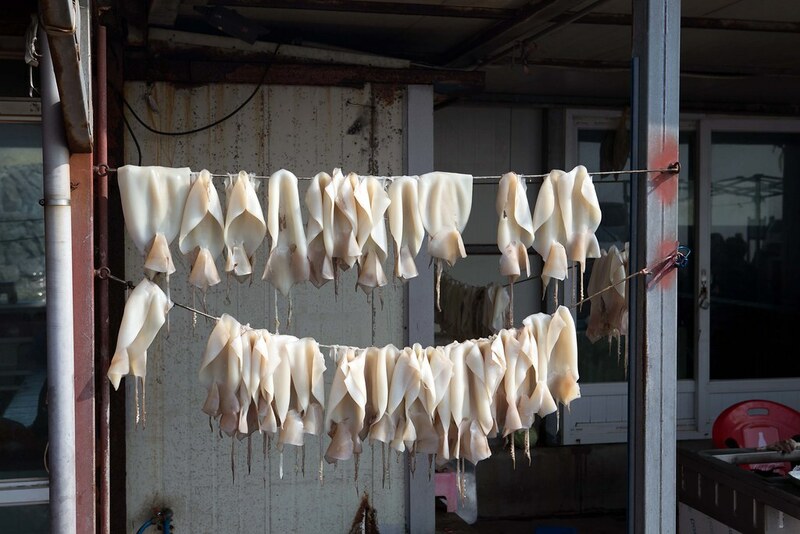 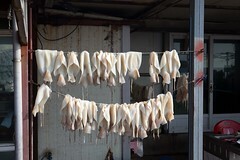 You will be able to see the some Haenyeo (Sea Women). 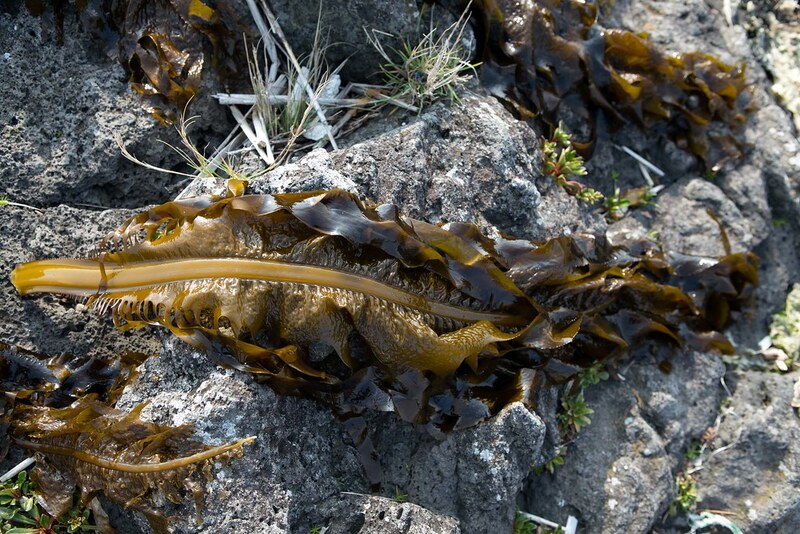 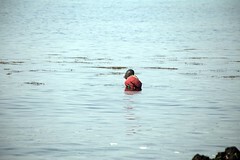 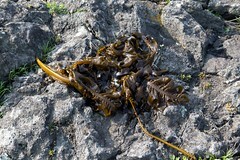 Some of the sea women are granny in good health conditions. 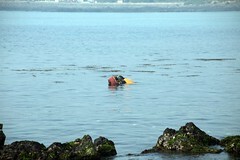 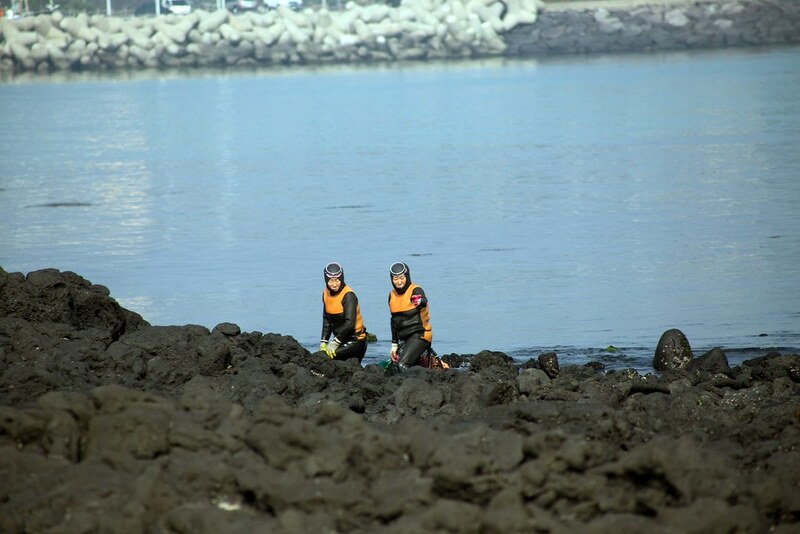 They are out in the sea searching for seaweeds, abalone or sea urchins. 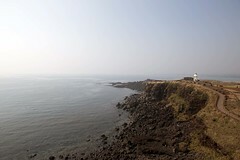 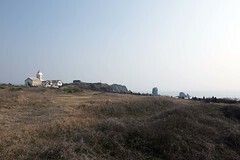 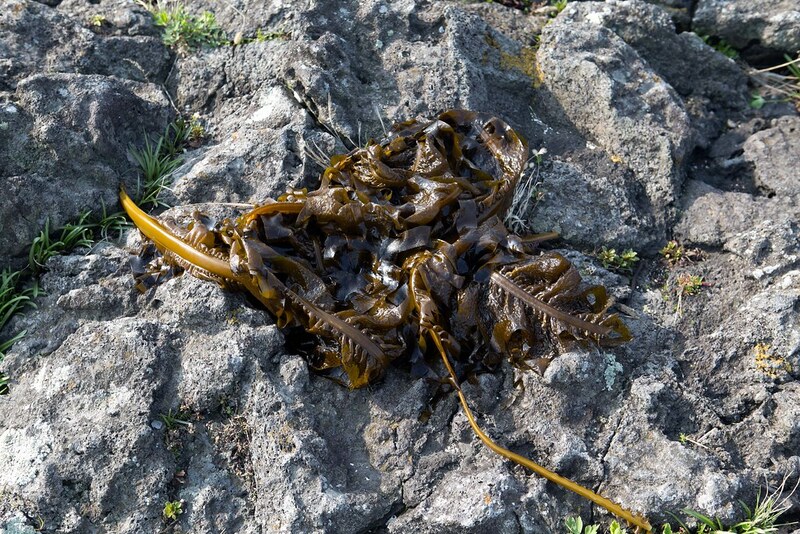 It required approximate 30 mins – 40 mins walk from the starting point to the lighthouse. 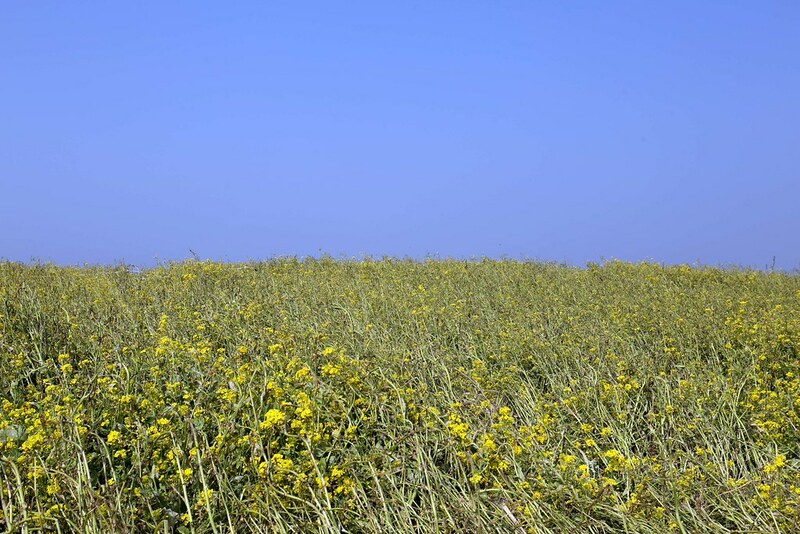 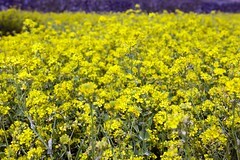 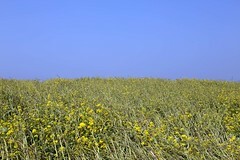 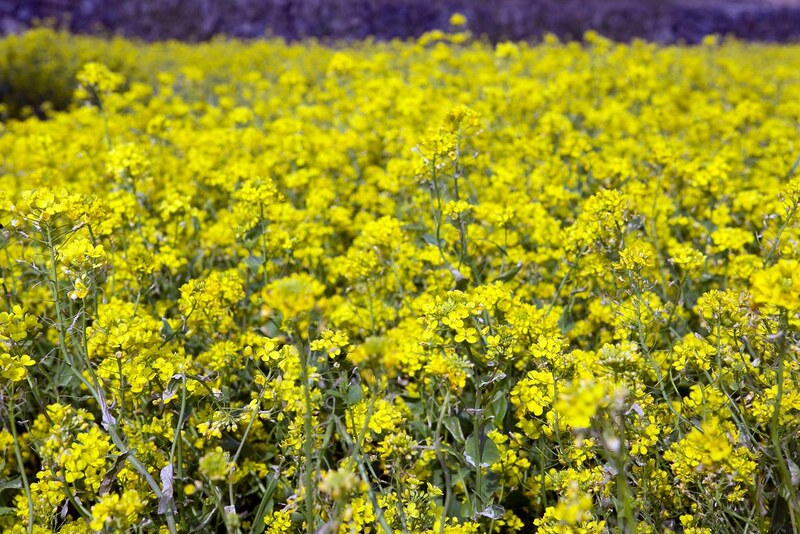 You can expect yellow canola flowers in full bloom across this hill during April. 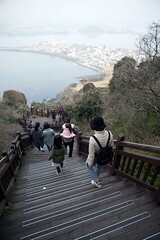 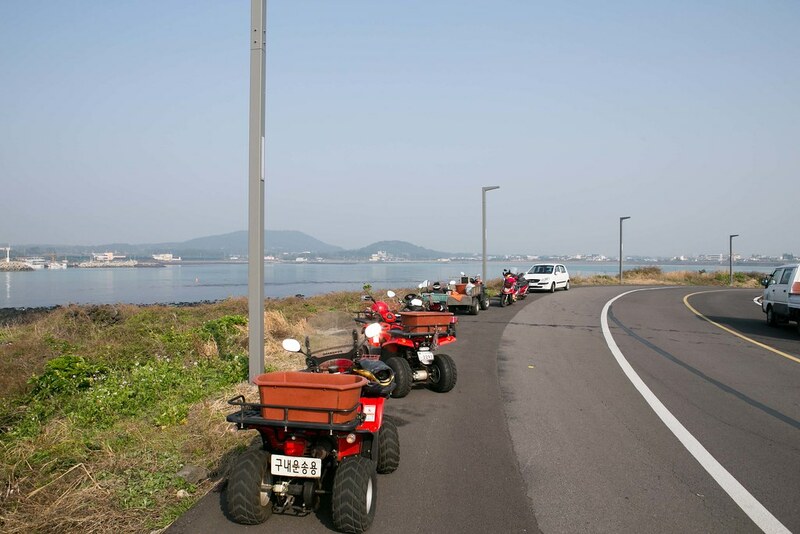 You can enjoy the beautiful sea view along the way. 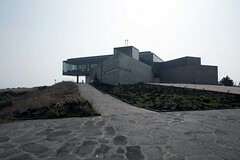 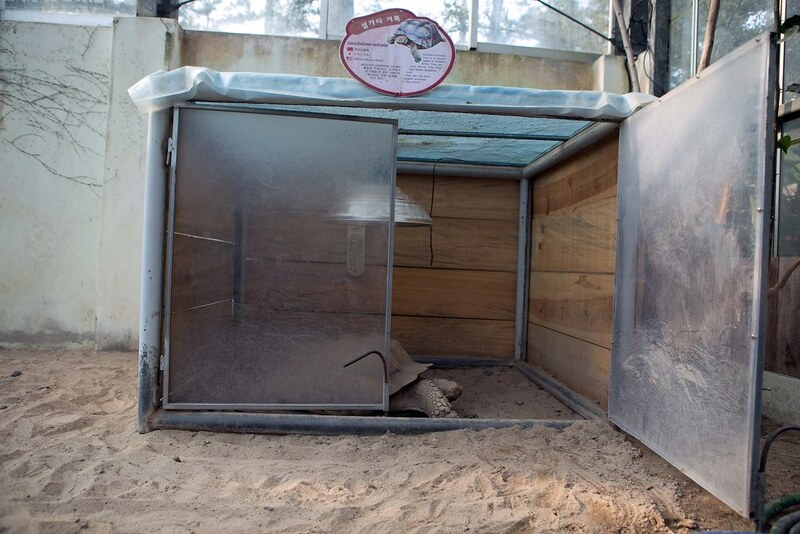 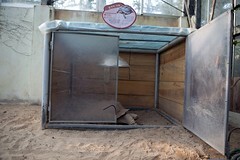 There is a cozy house which you can visit. 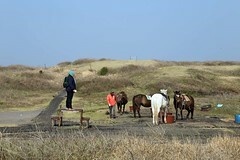 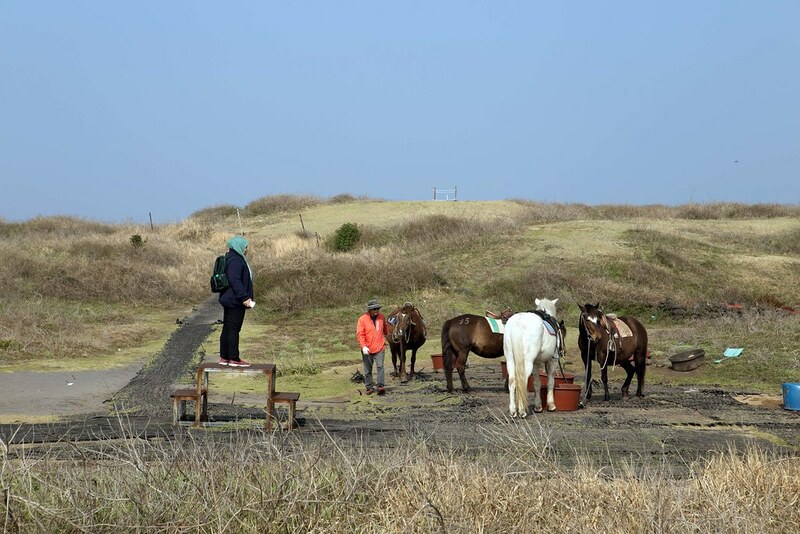 Horse riding is available too. 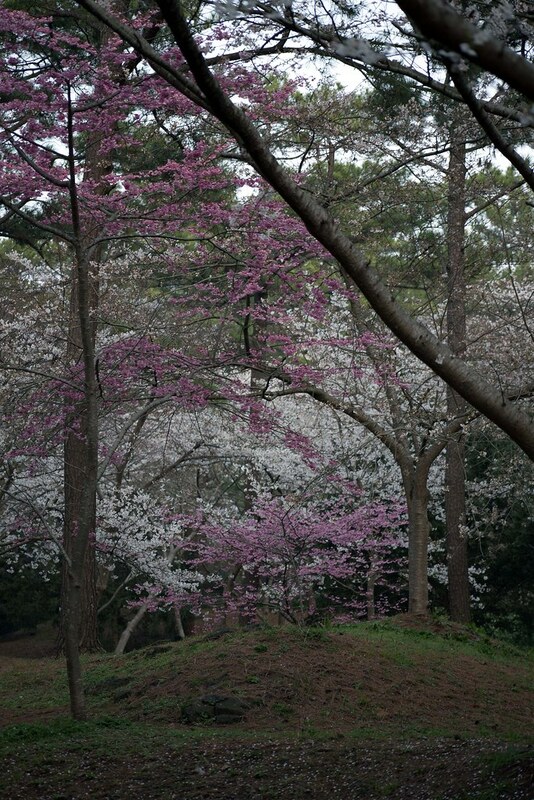 I enjoyed the beautiful scenery at this hill. 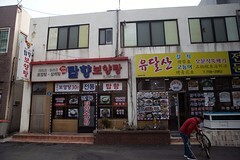 Chilisimni food street has many seafood restaurants. 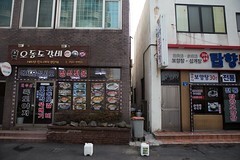 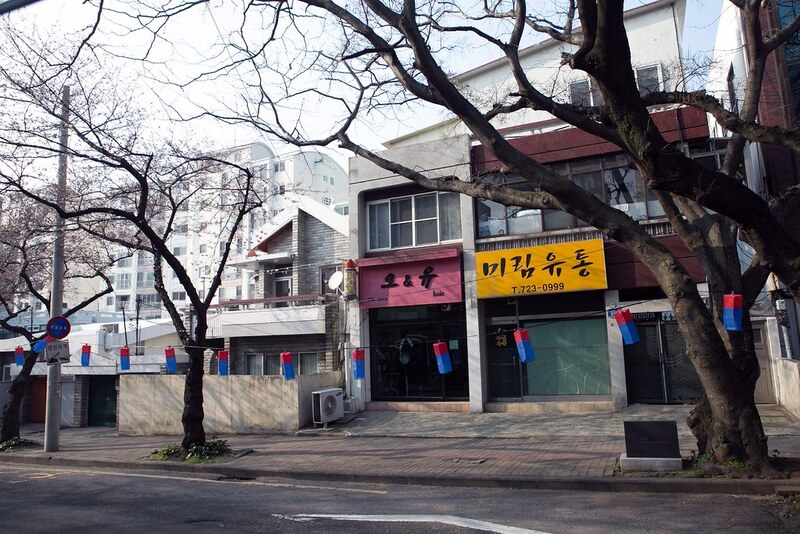 Cutlassfish is one of their delicacy along this street. 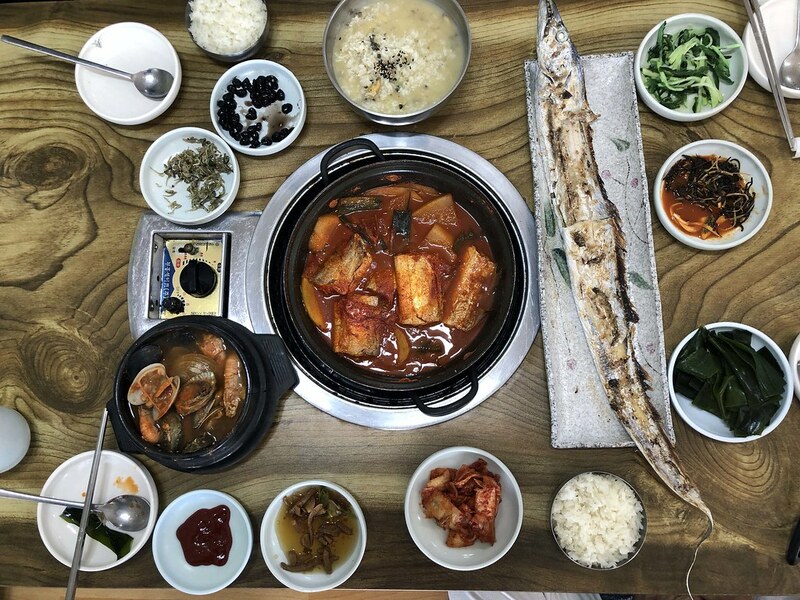 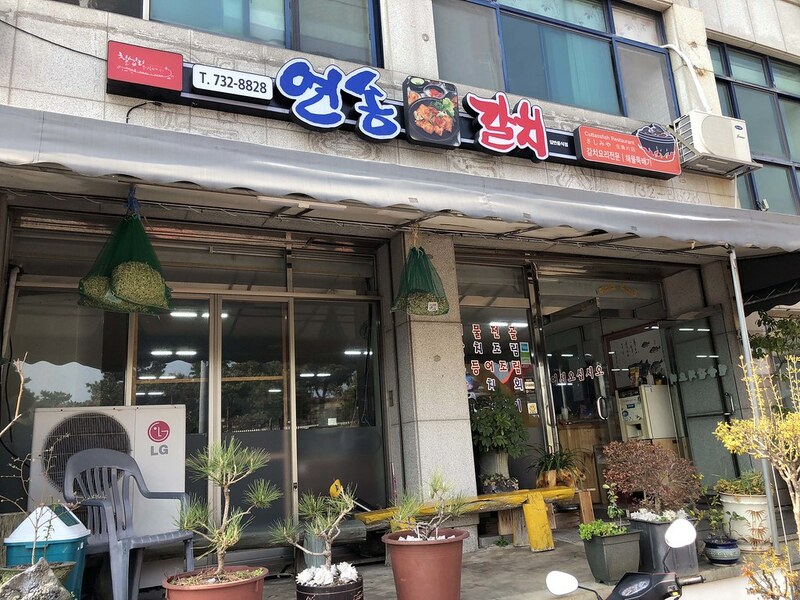 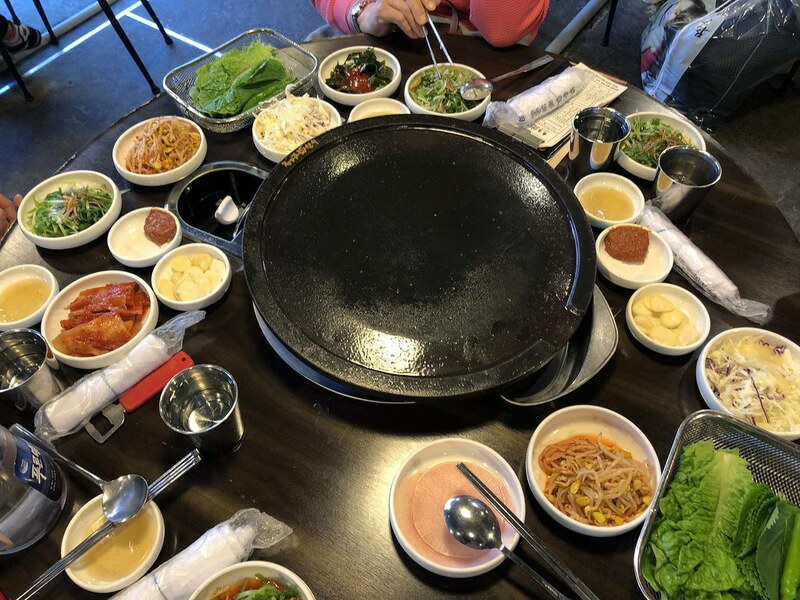 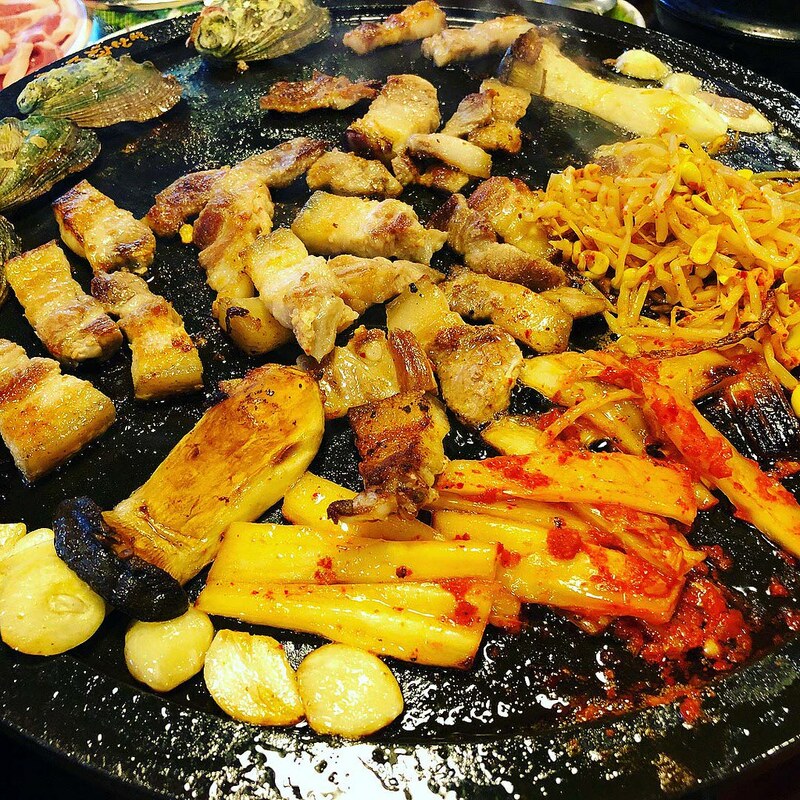 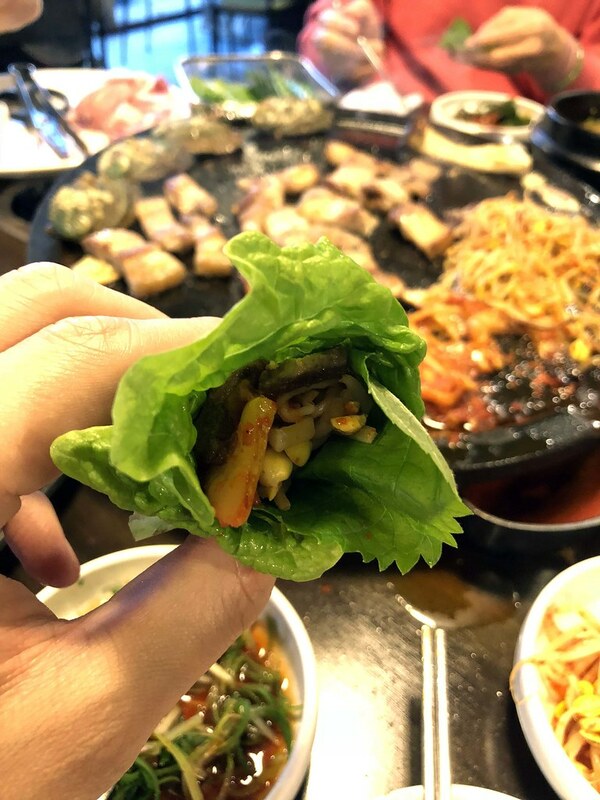 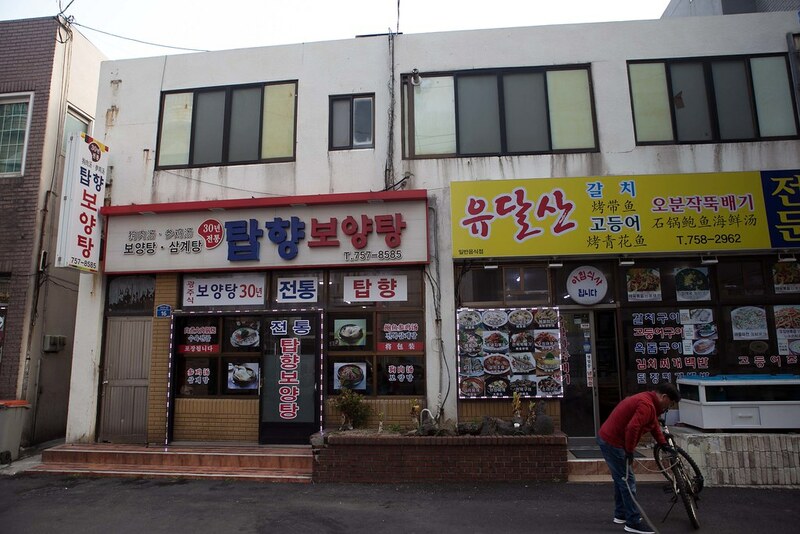 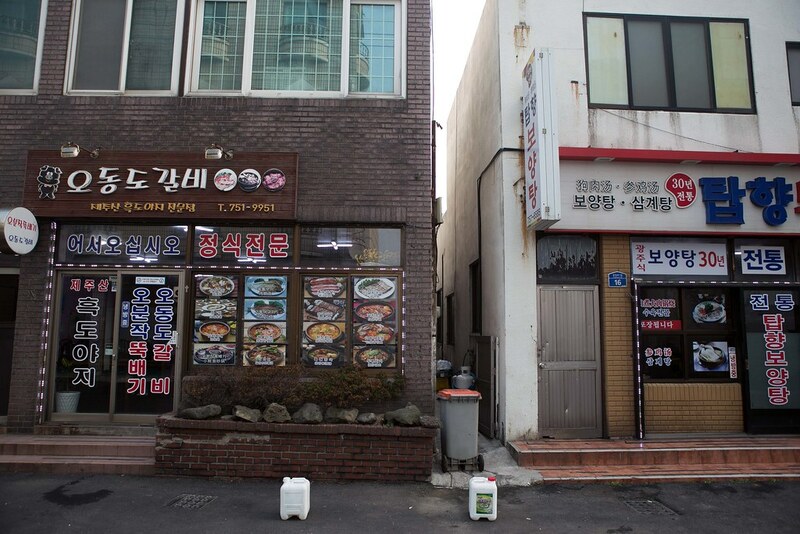 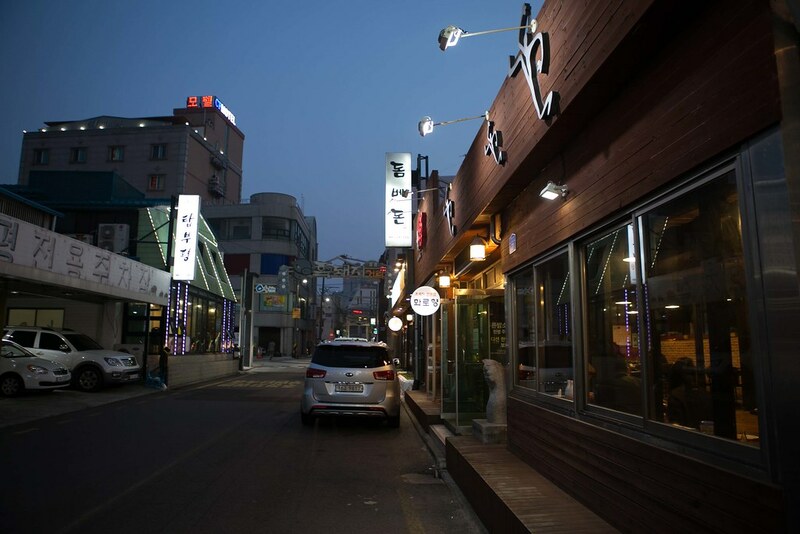 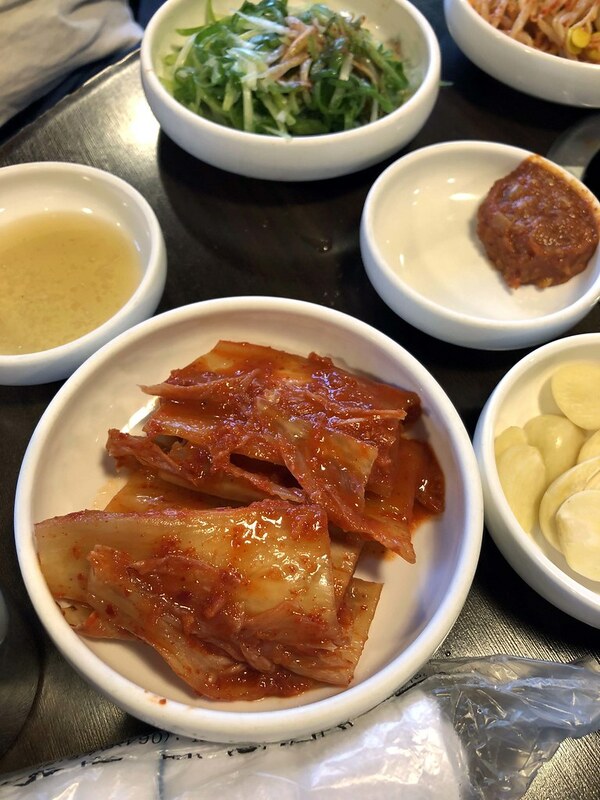 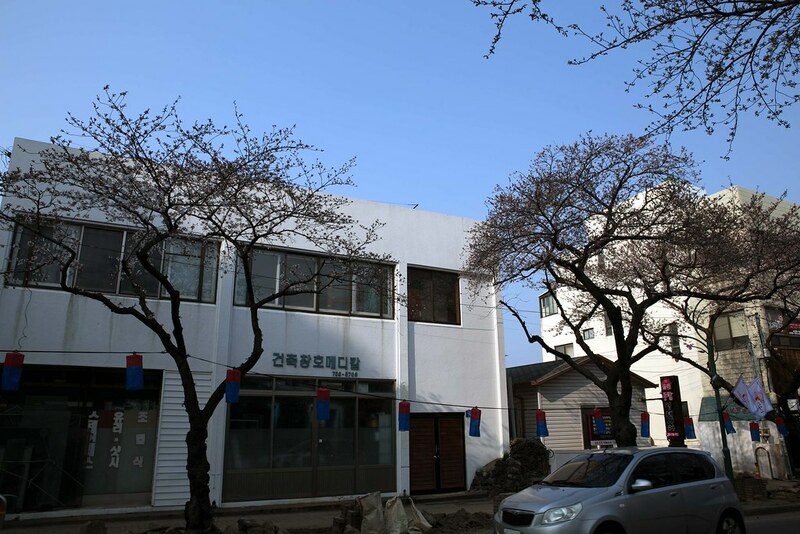 We tried this restaurant by the name “연송갈치” and the food was delicious. 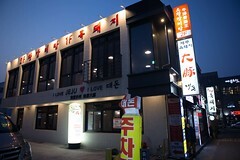 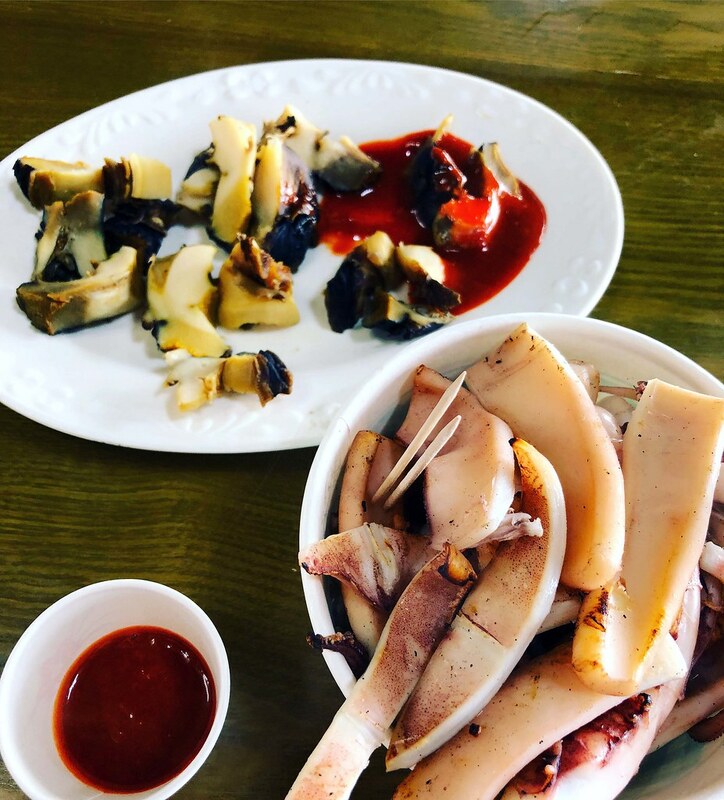 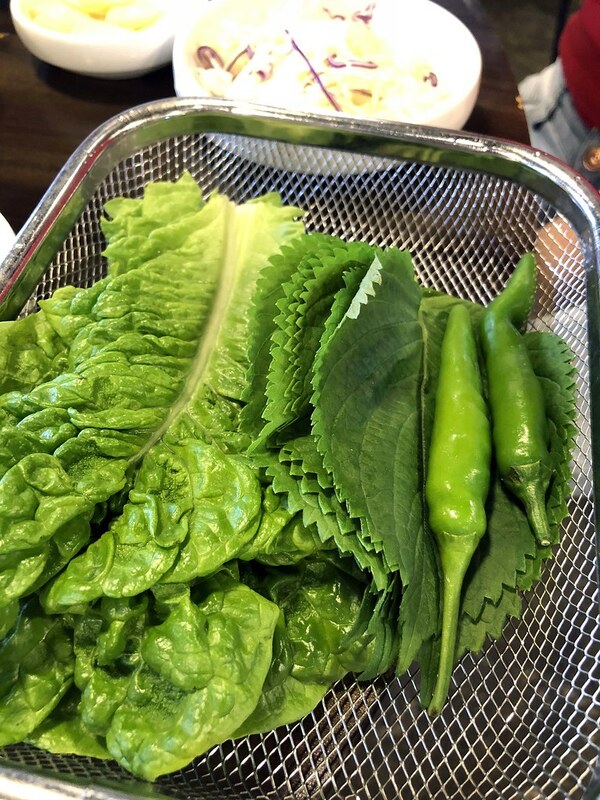 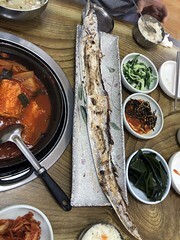 We choose the Jeju cutlassfish and love it. 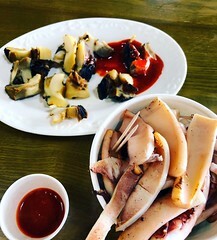 The fish is grilled with some salt on it and it tastes delicious. 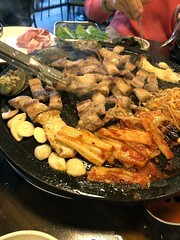 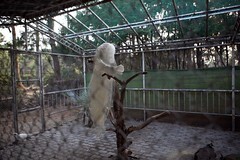 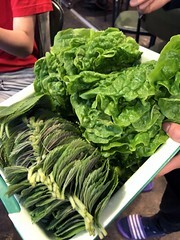 The meat is fresh and tender. 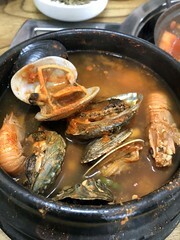 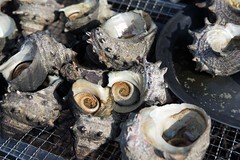 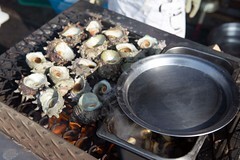 Seafood stew is another delicious dish, the soup has abalone, shellfish, and baby lobster. You can taste the fresh strong seafood taste in the soup. 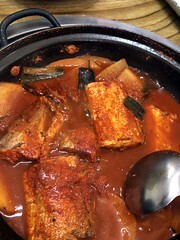 The kimchi cutlassfish is good as well. You will find pumpkins and white carrot in it which add on to the sweetness in the soup. 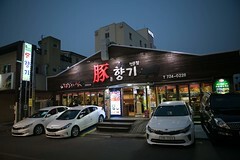 This store is near a 7-11 store. 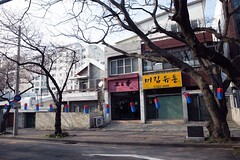 3rd store on the right while facing 7-11. 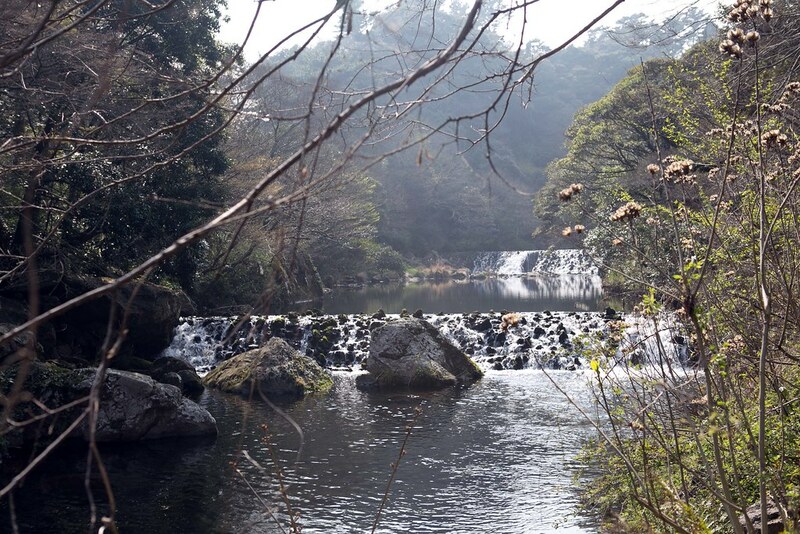 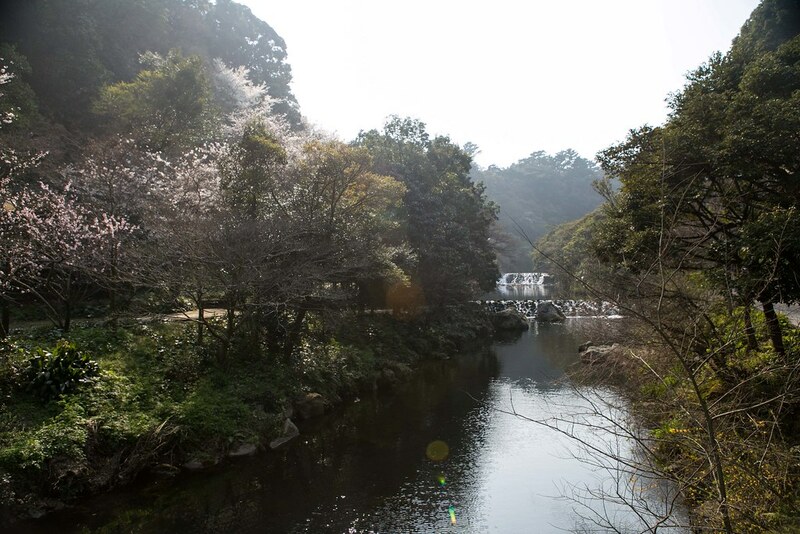 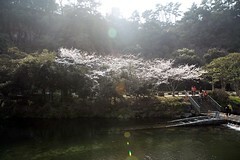 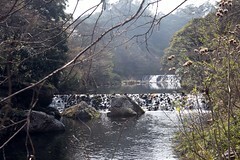 Cheonjeyeon waterfall which means “The Pond of God” is at a beautiful park. 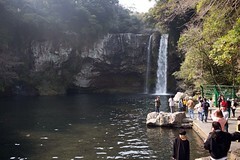 It’s about a kilometer from the entrance to the waterfall. 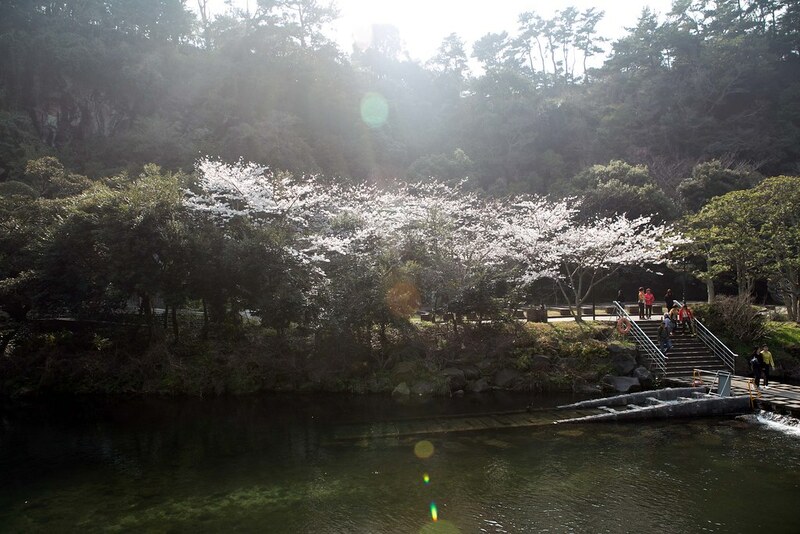 You can also visit the Seonimgyo Bridge, it’s an arch bridge with 7 nymphs carved on the side. 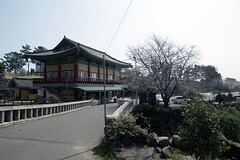 Yakchunsa Temple is a quiet and peaceful temple. 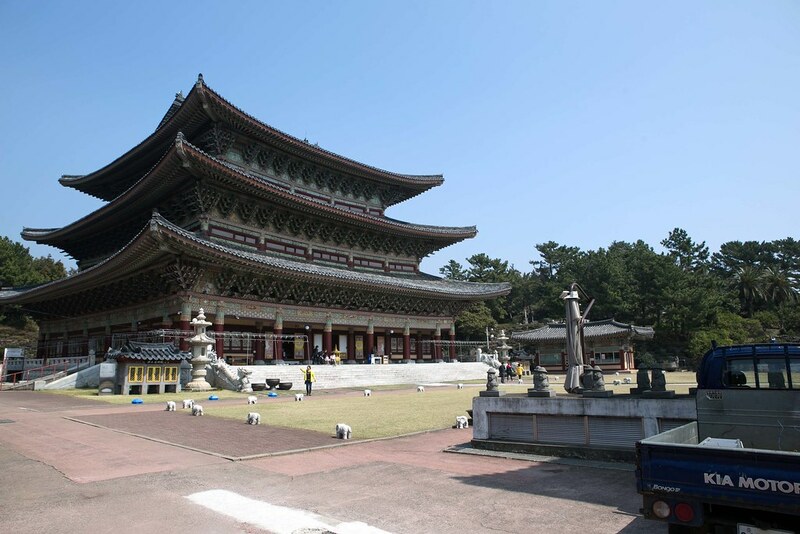 You can climb to the 3rd story to enjoy the beautiful interior view of the temple. 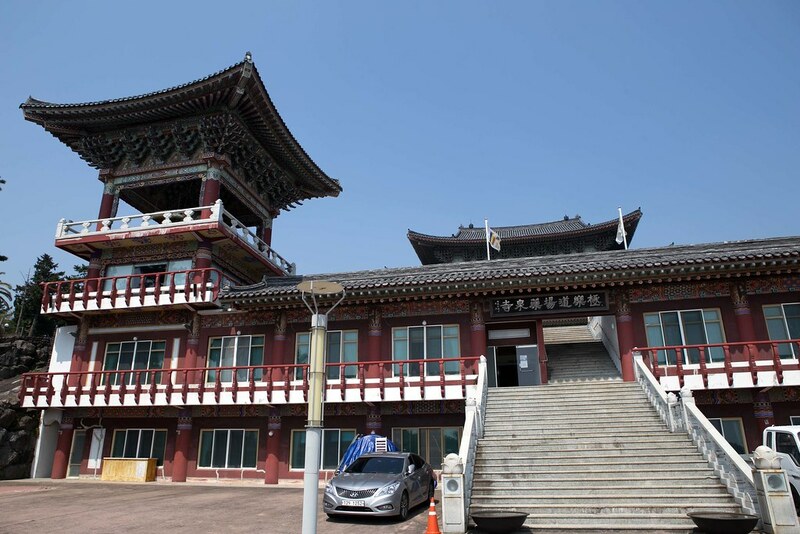 This temple is built on a big land space, do take your time to walk around and enjoy the peace. You can request for temple stay if you are interested. 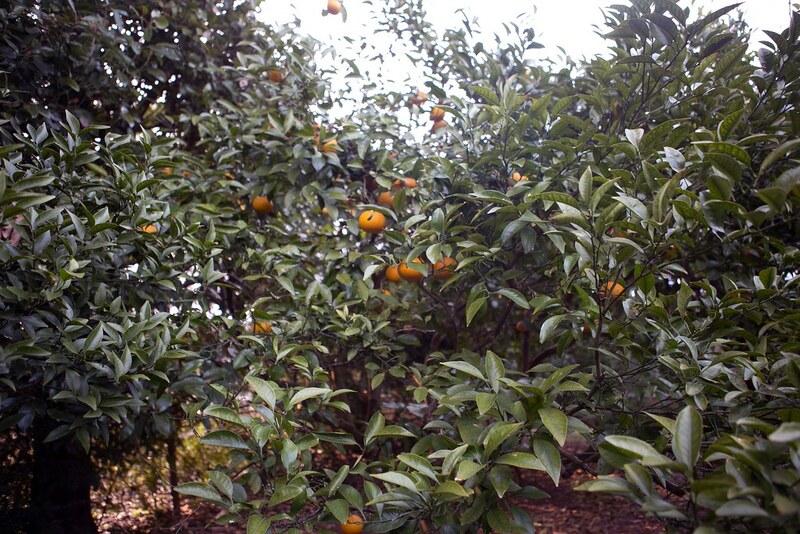 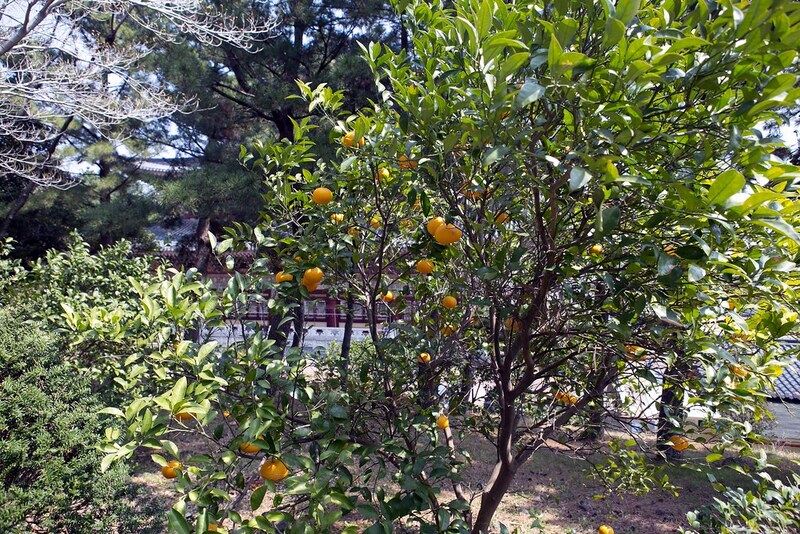 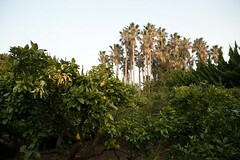 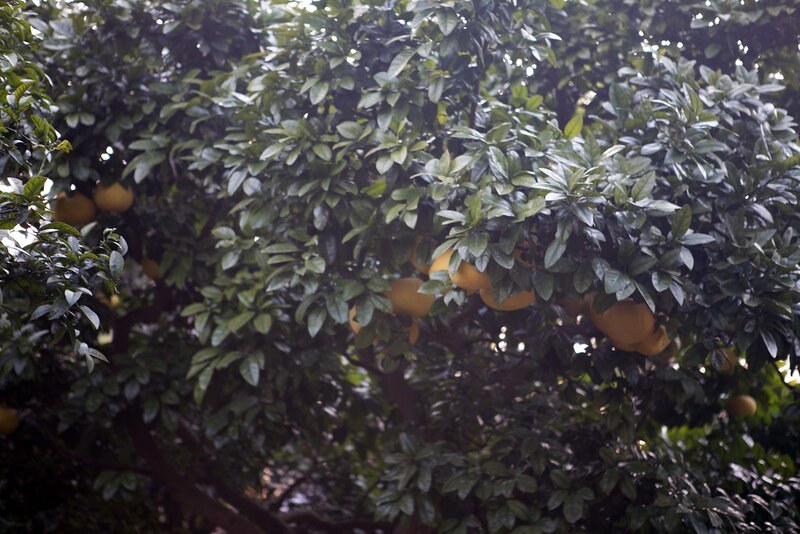 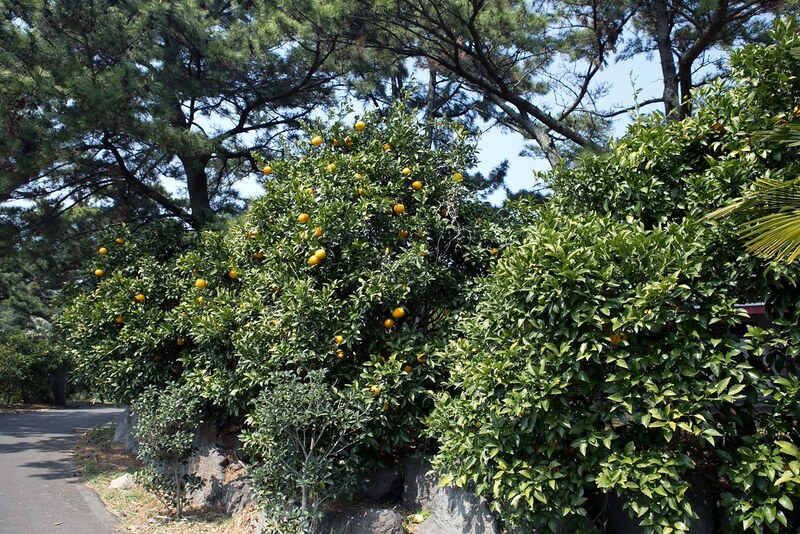 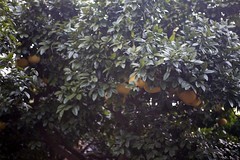 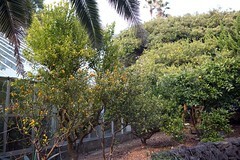 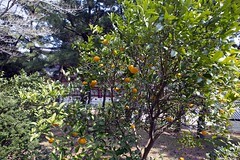 We are lucky to see big mandarin oranges hanging on the tree due to the harvesting season. 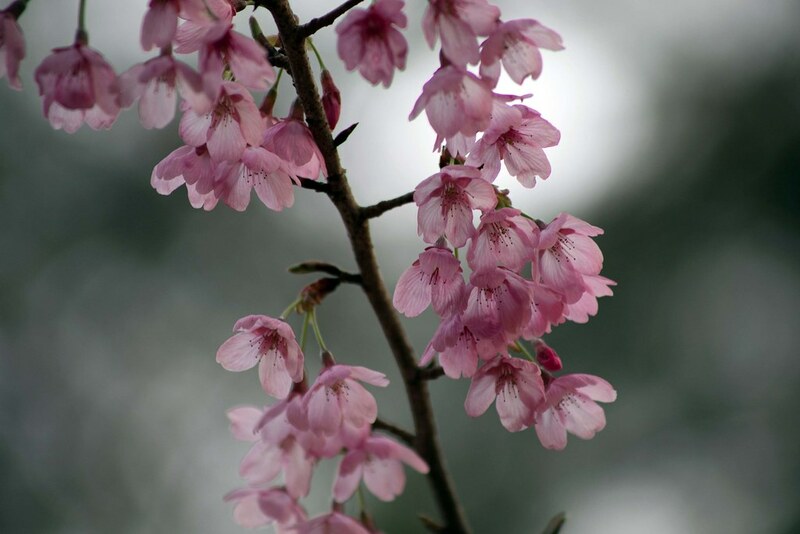 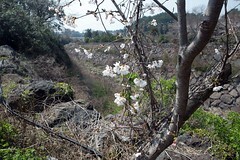 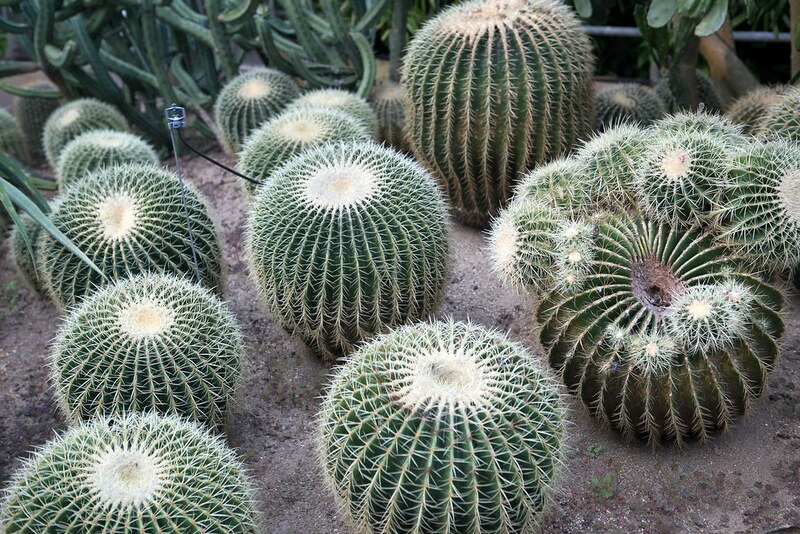 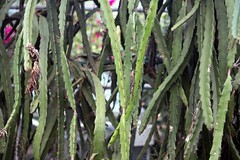 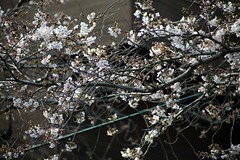 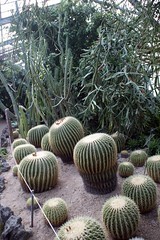 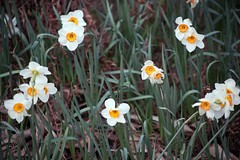 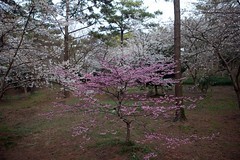 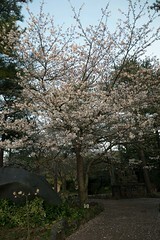 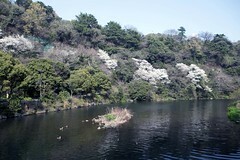 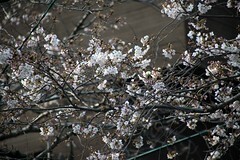 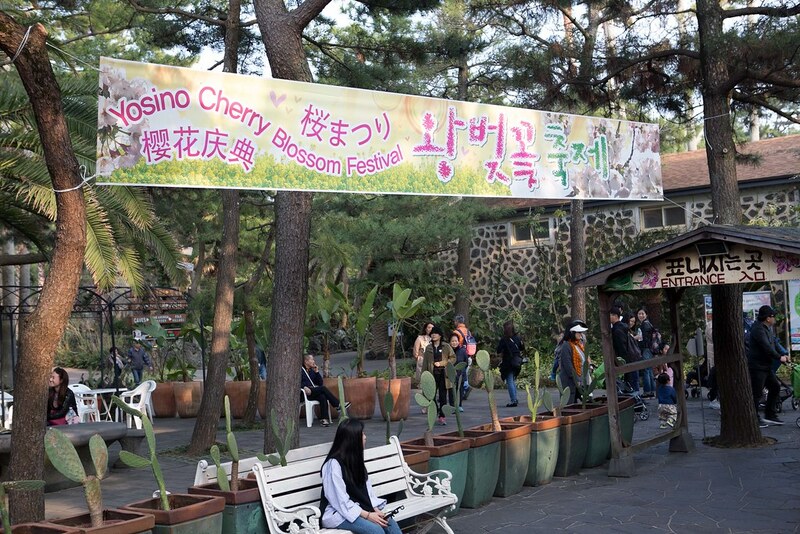 There are several flower festival around the year. 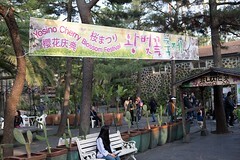 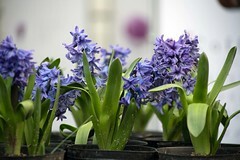 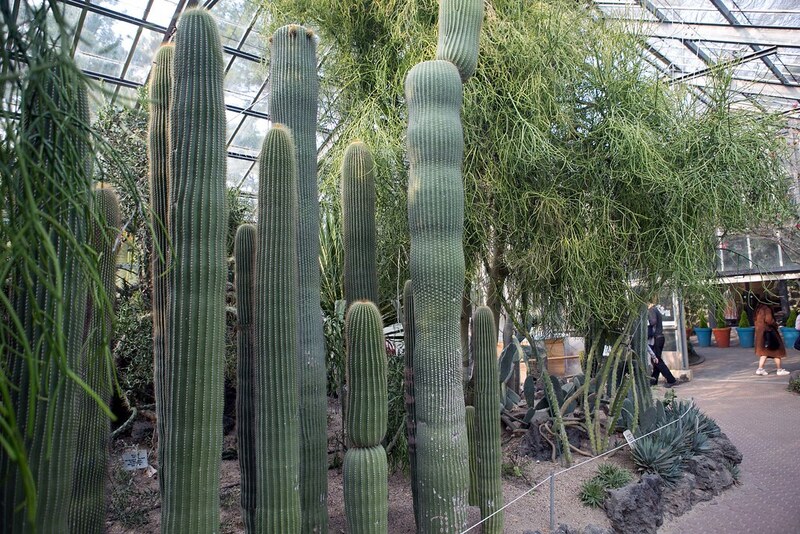 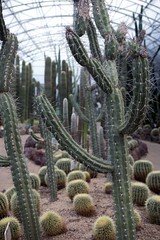 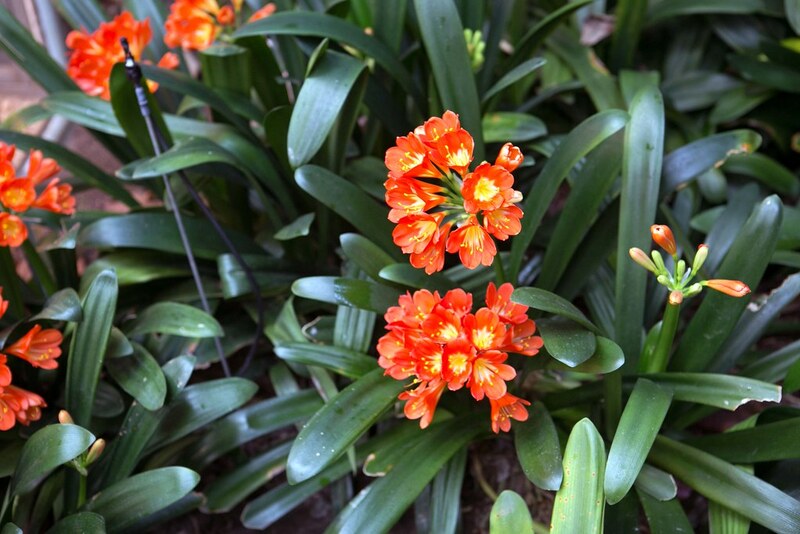 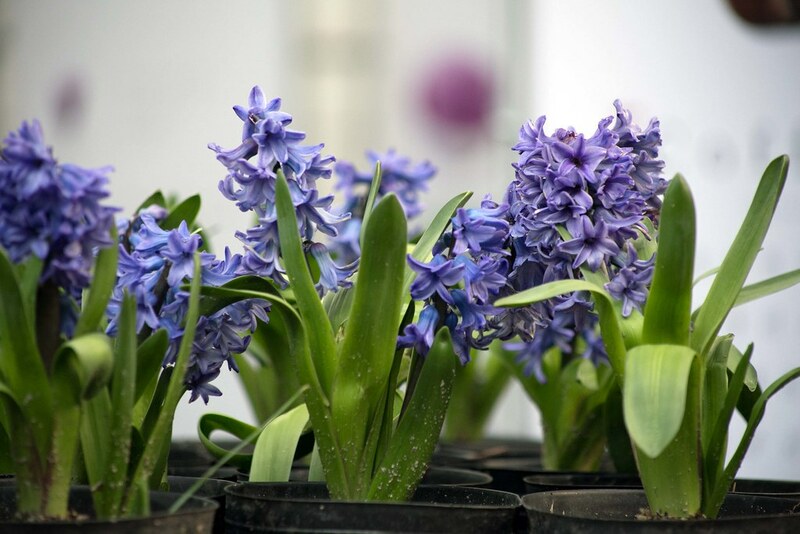 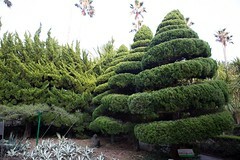 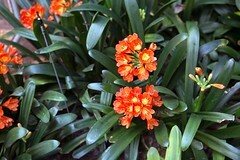 Spring flower festival, Calanthe Exhibition, and Chrysanthemum Festival.